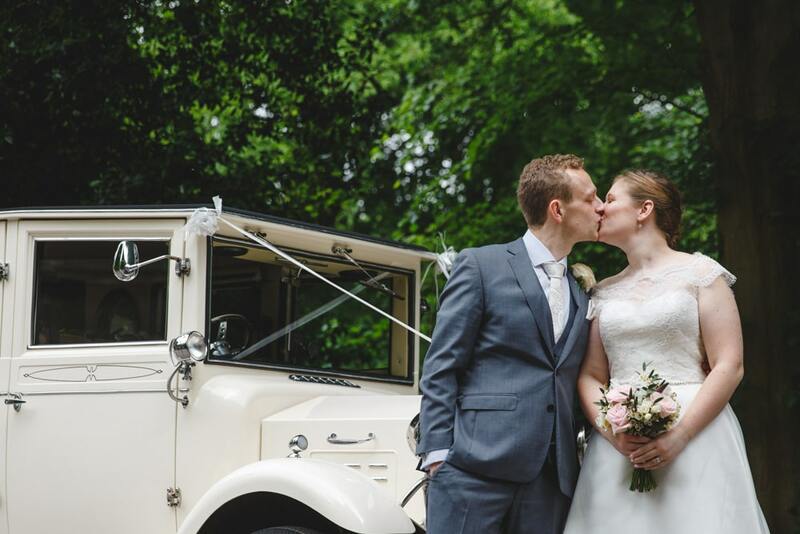 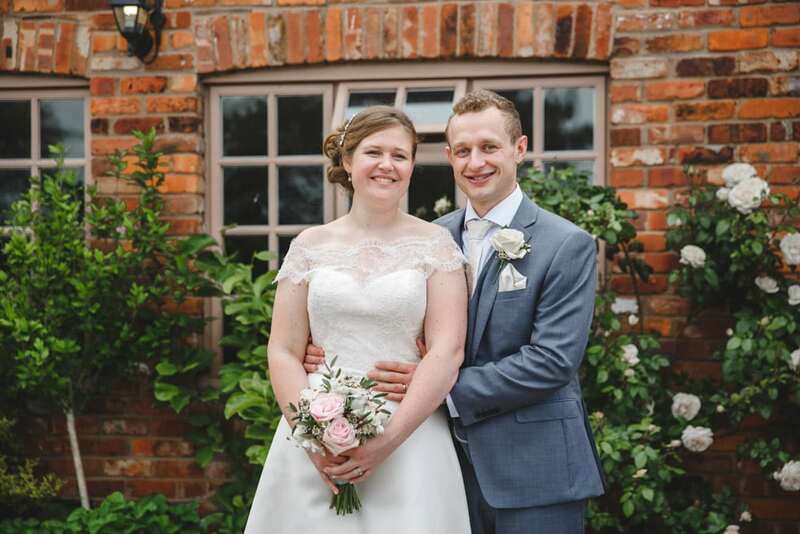 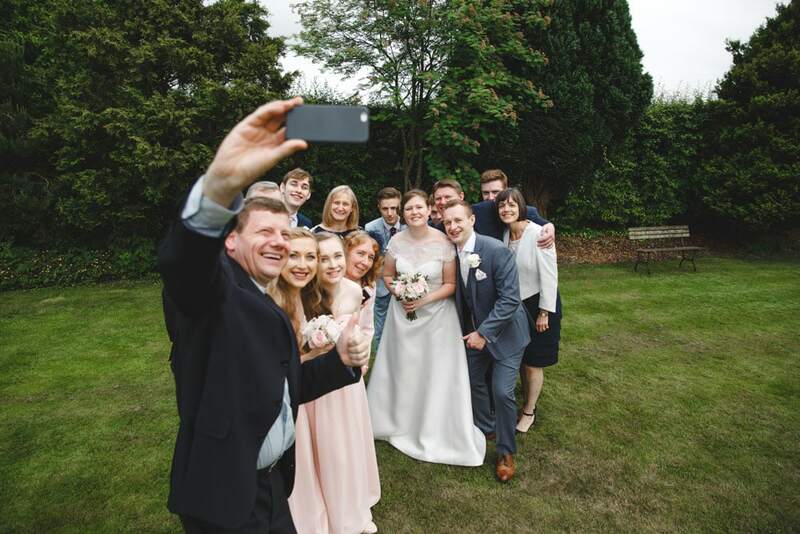 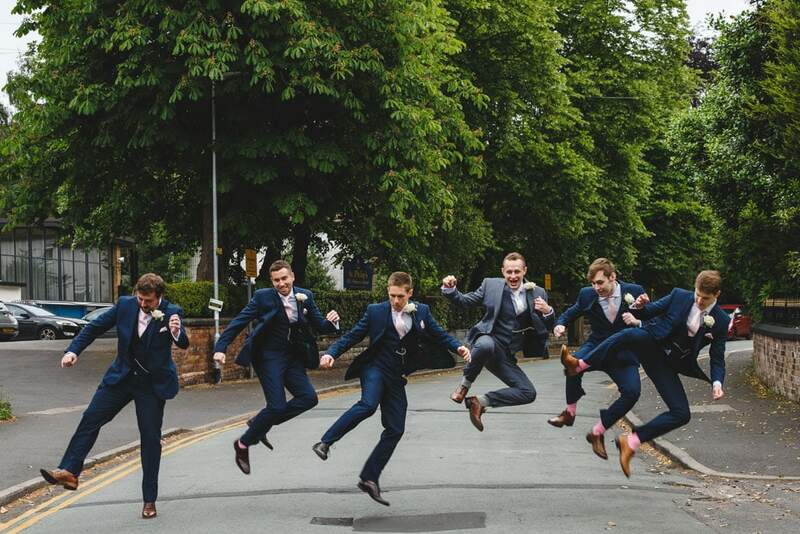 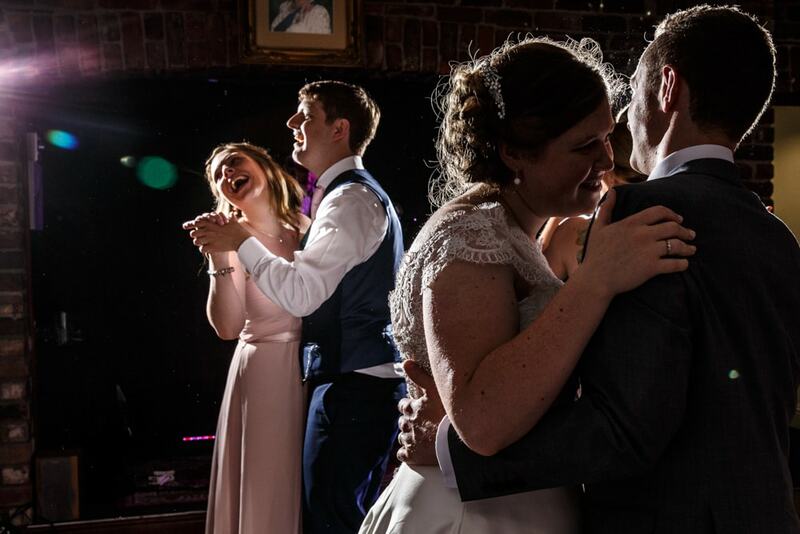 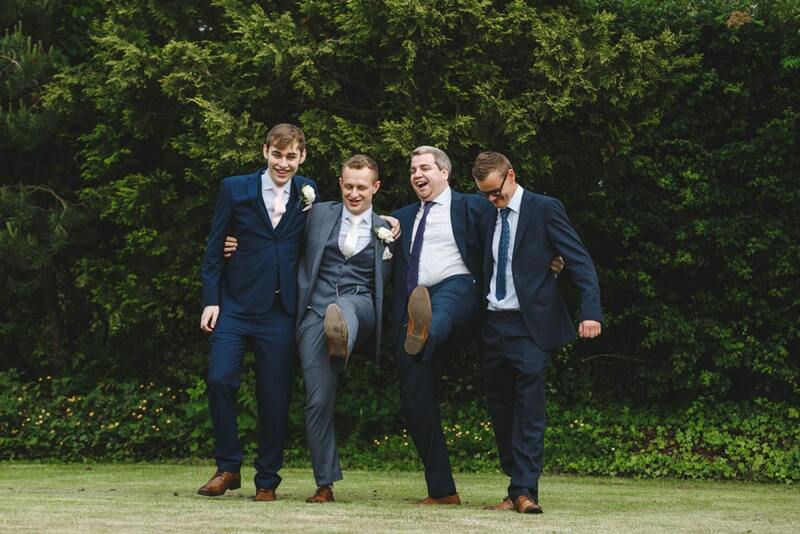 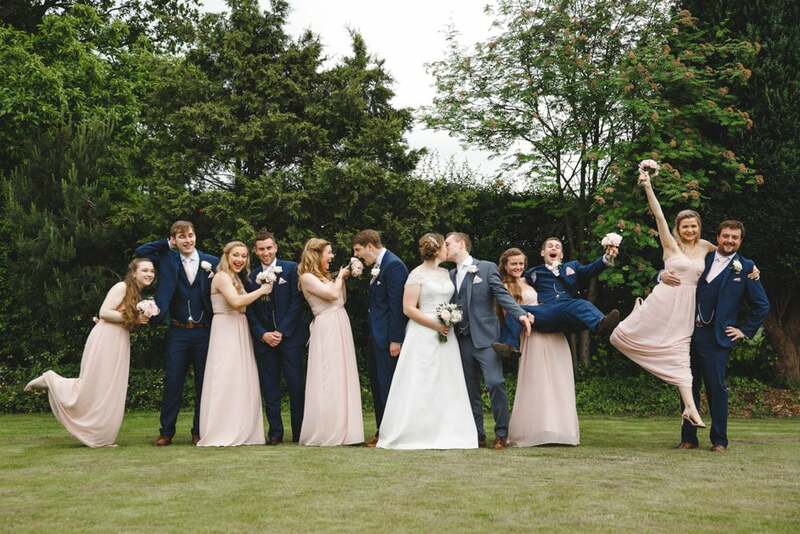 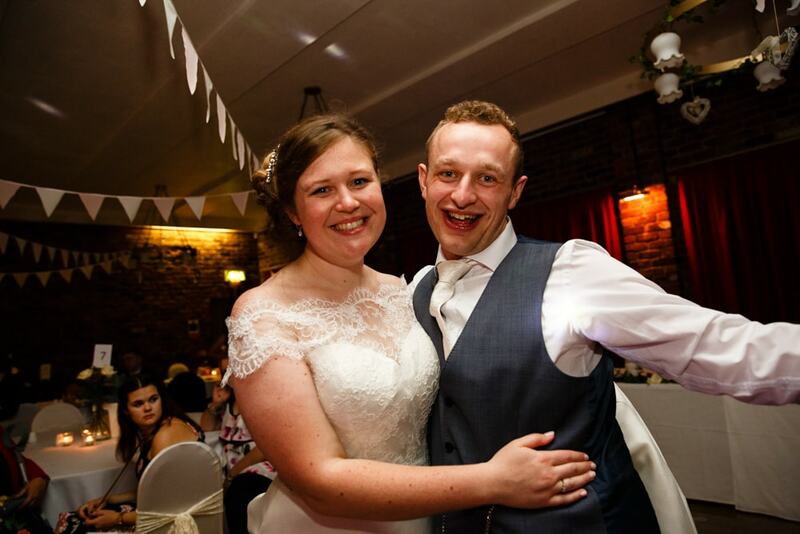 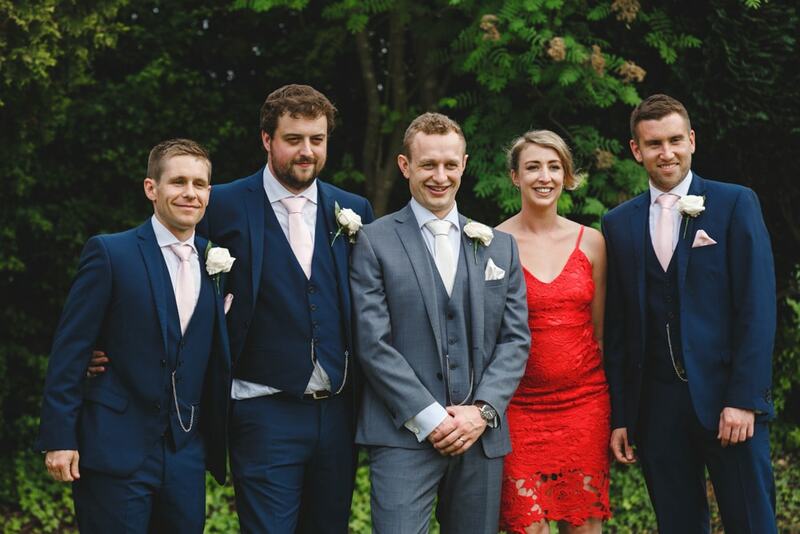 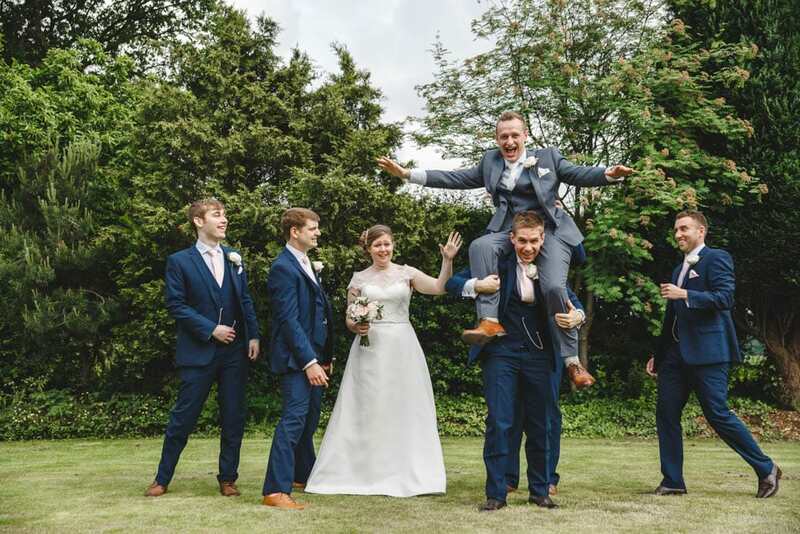 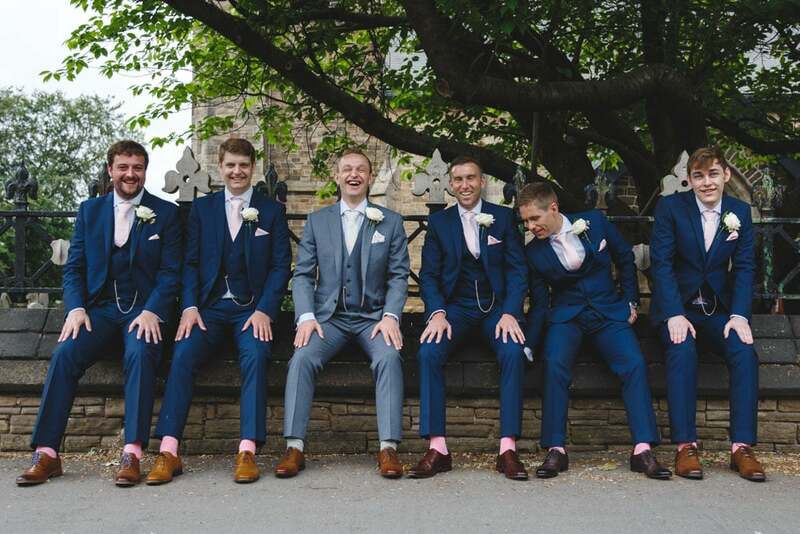 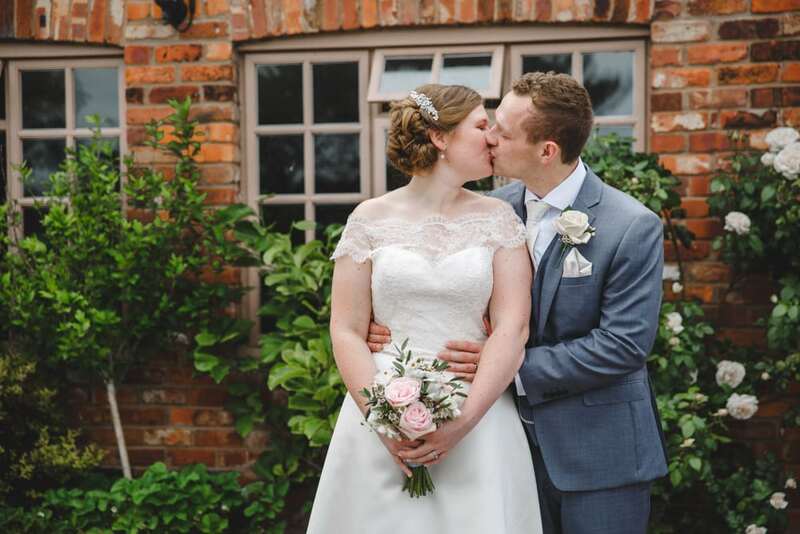 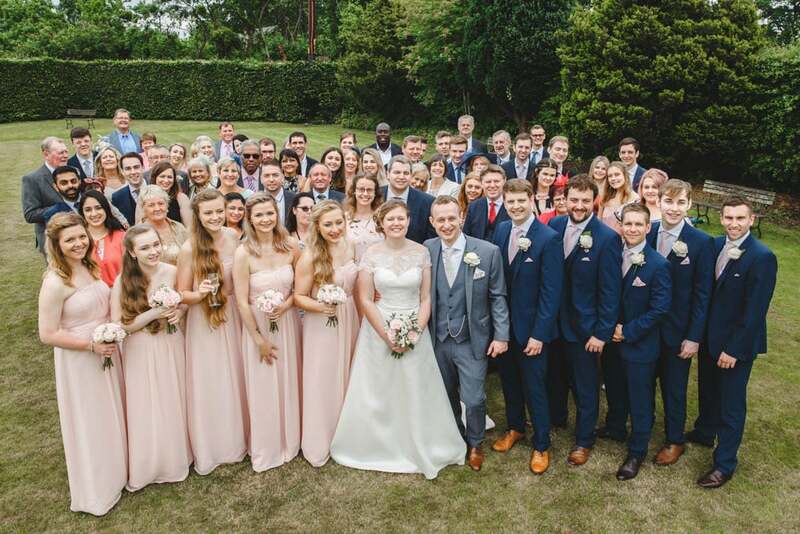 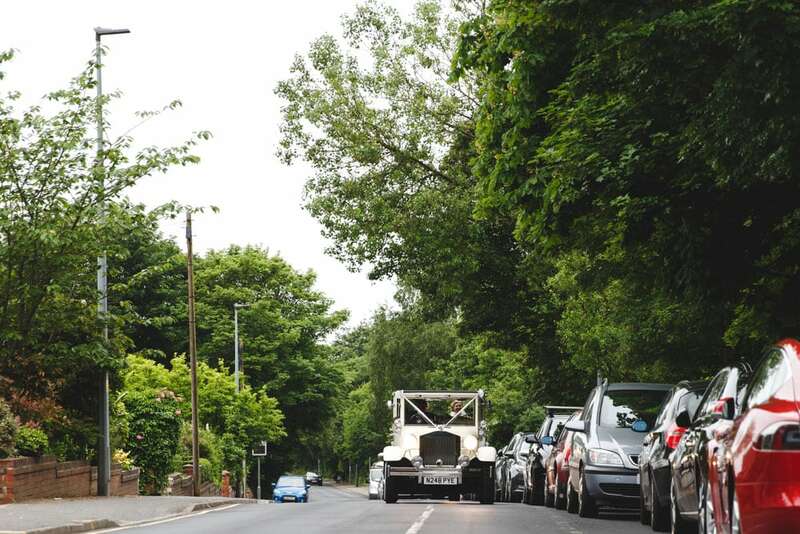 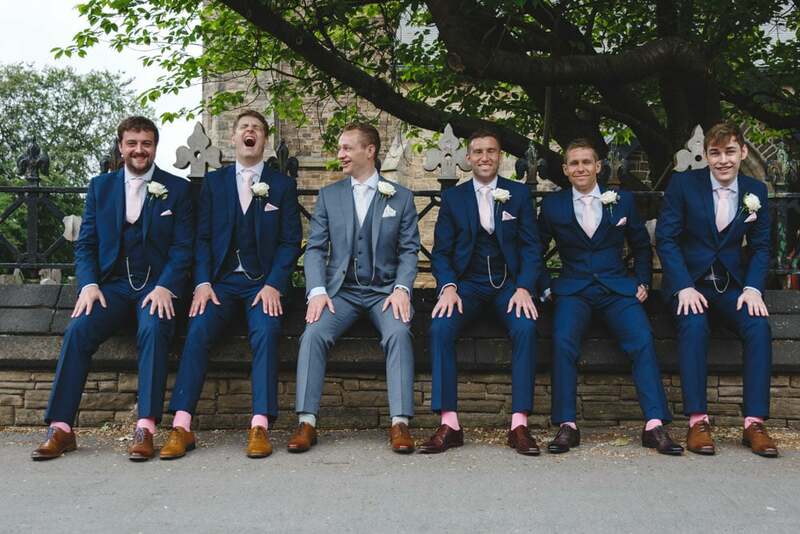 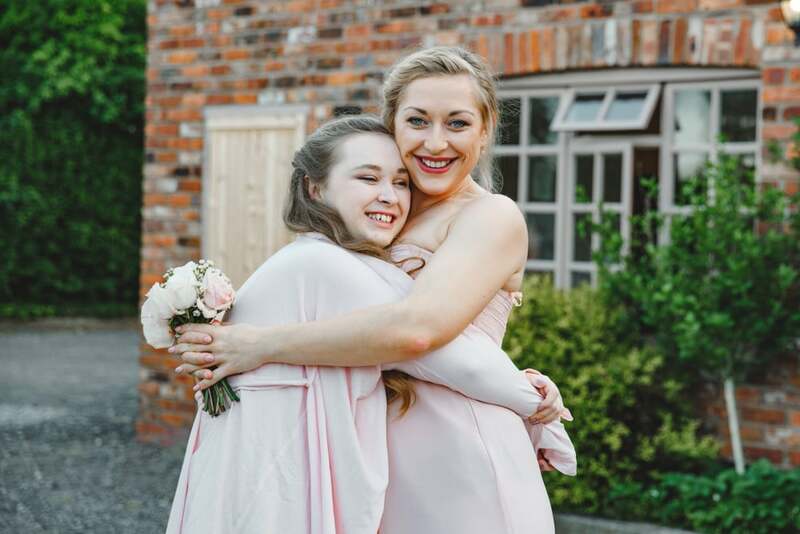 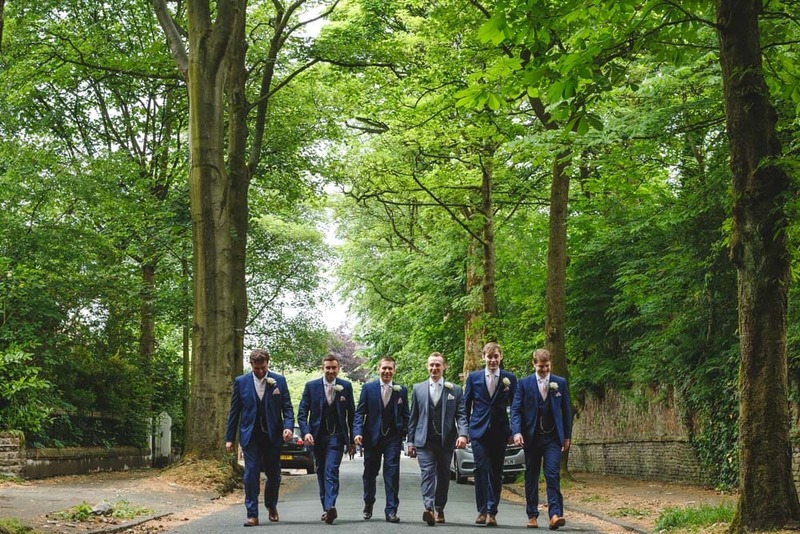 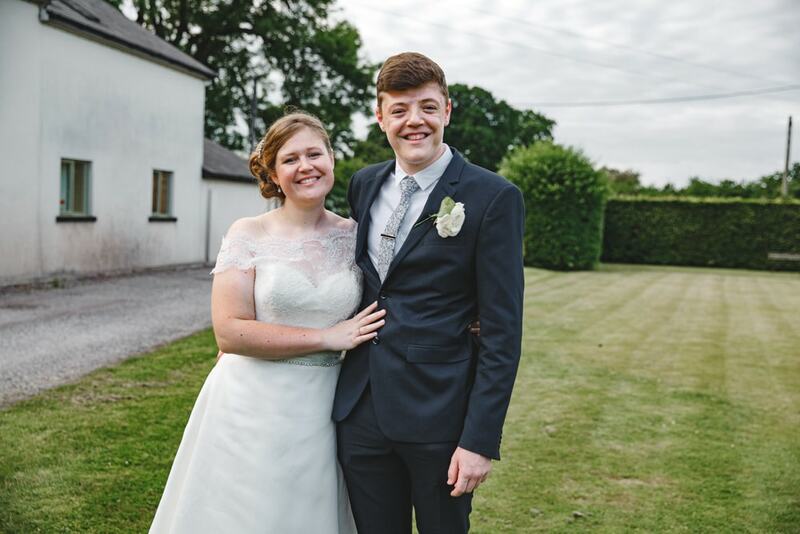 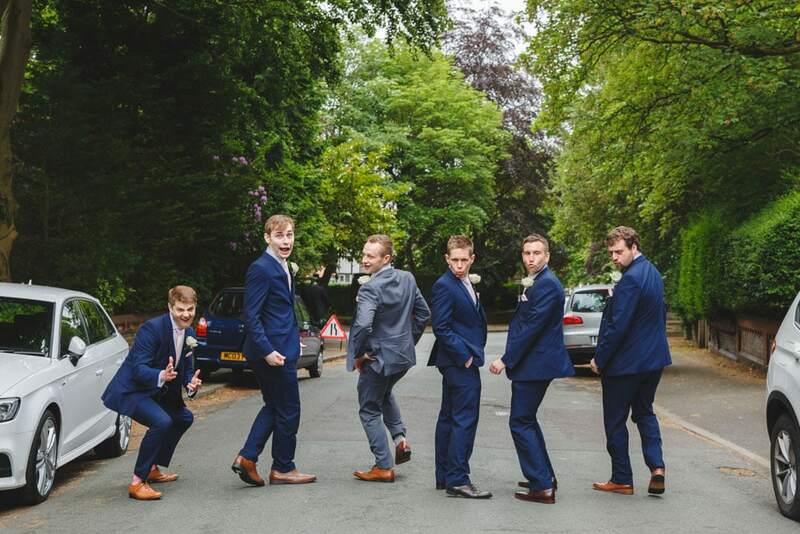 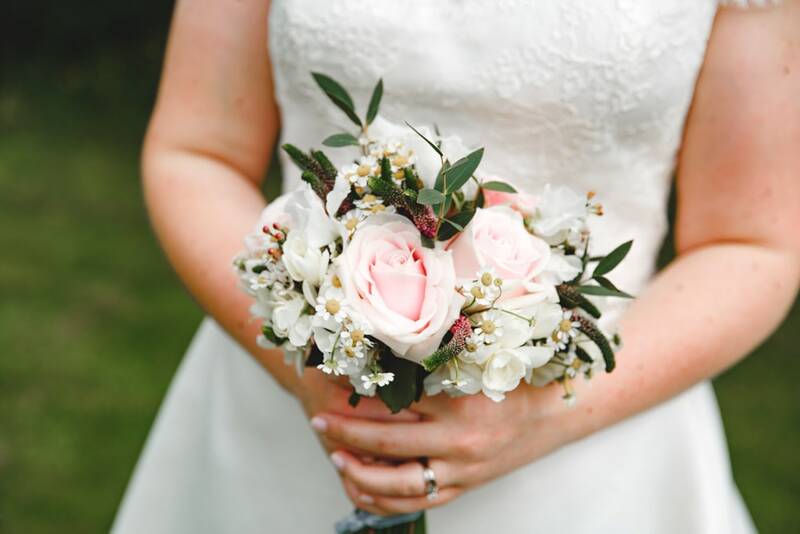 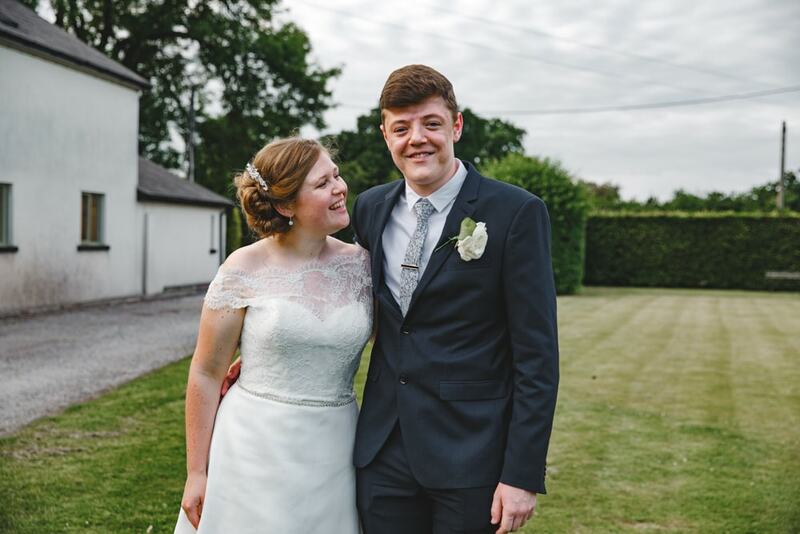 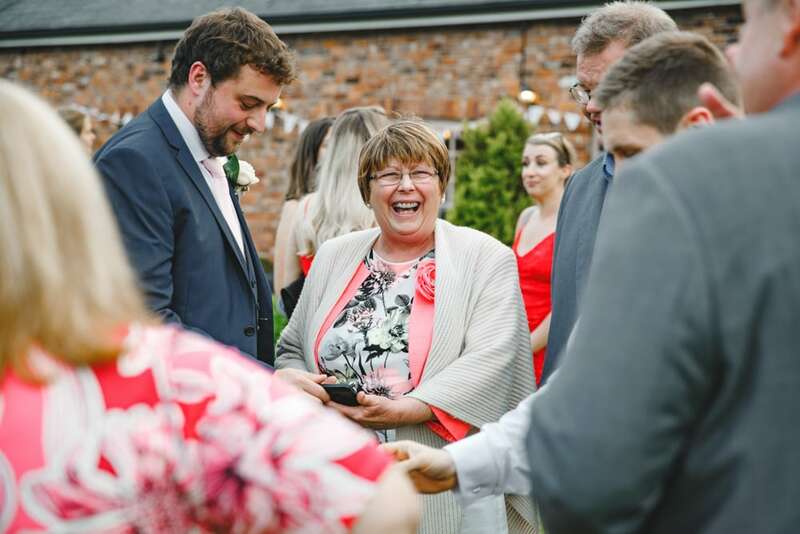 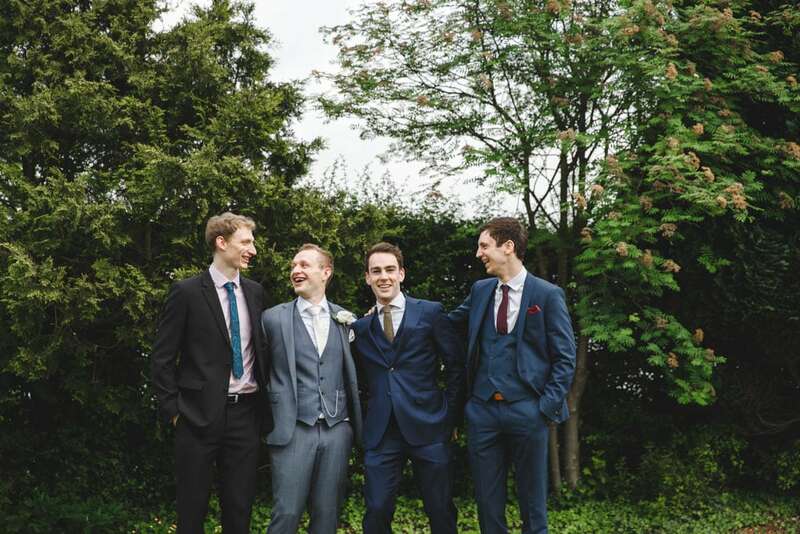 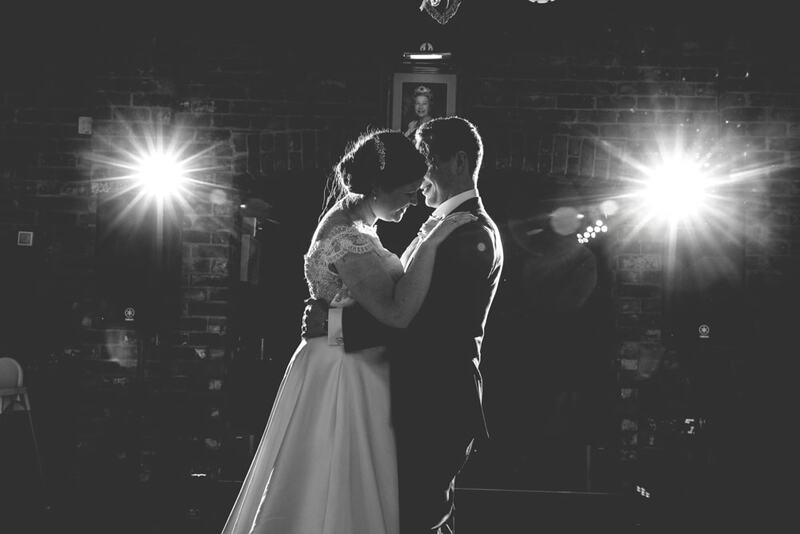 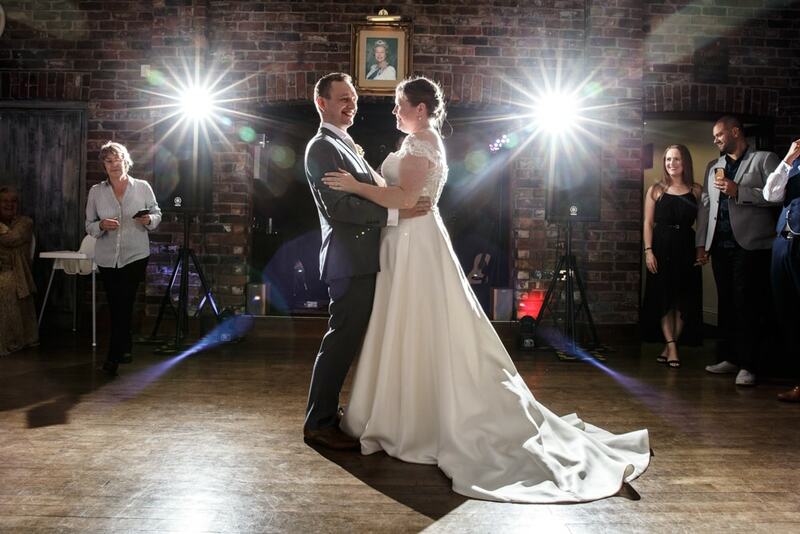 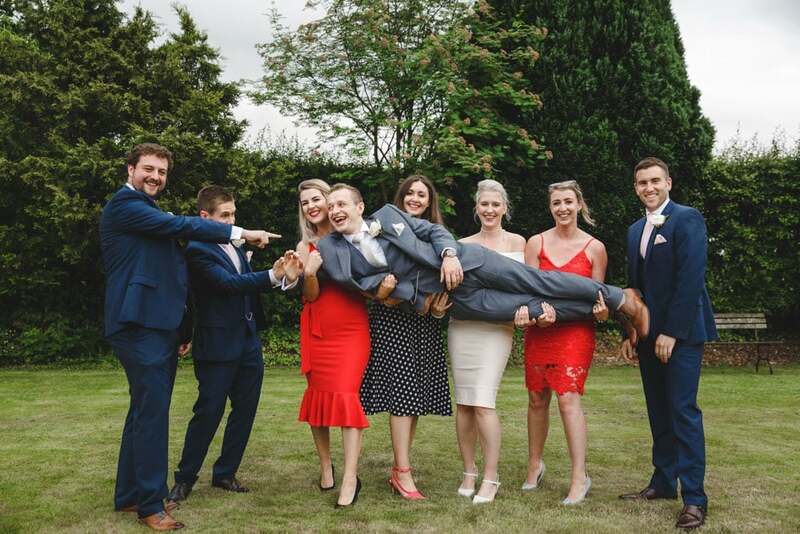 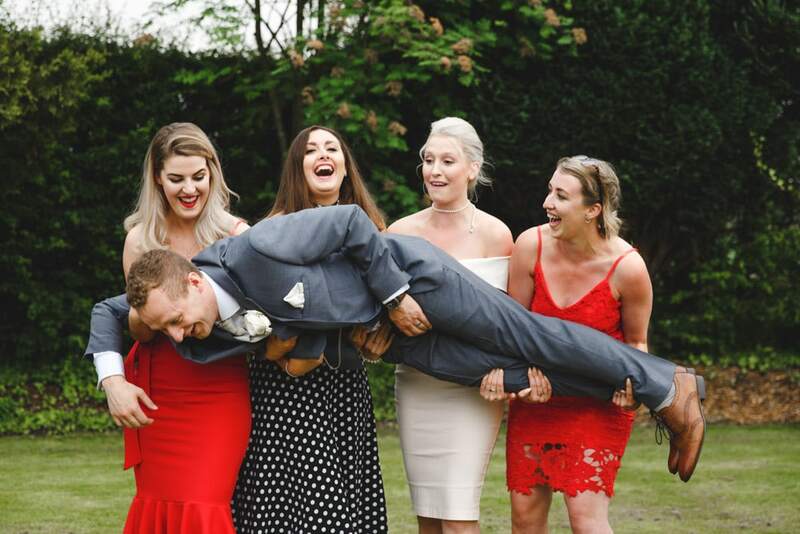 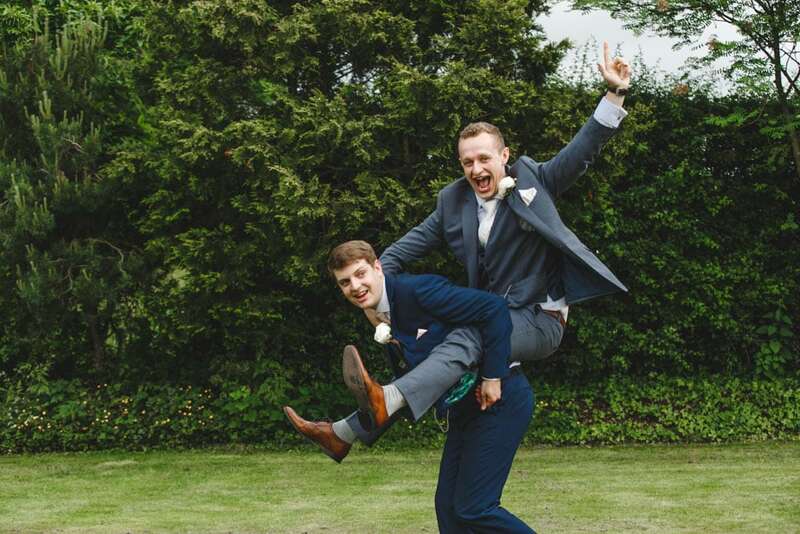 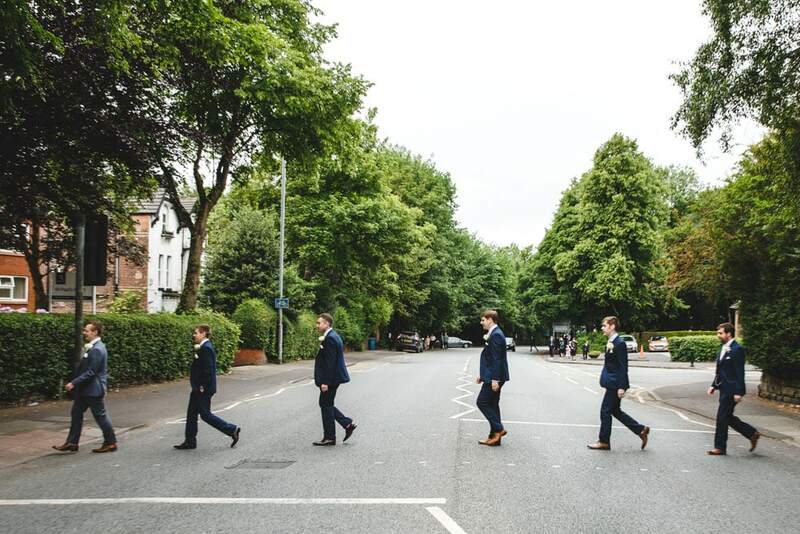 It’s time to look at the amazing wedding of Kate + Chris Beck at Leicester Warren Hall in Knutsford. 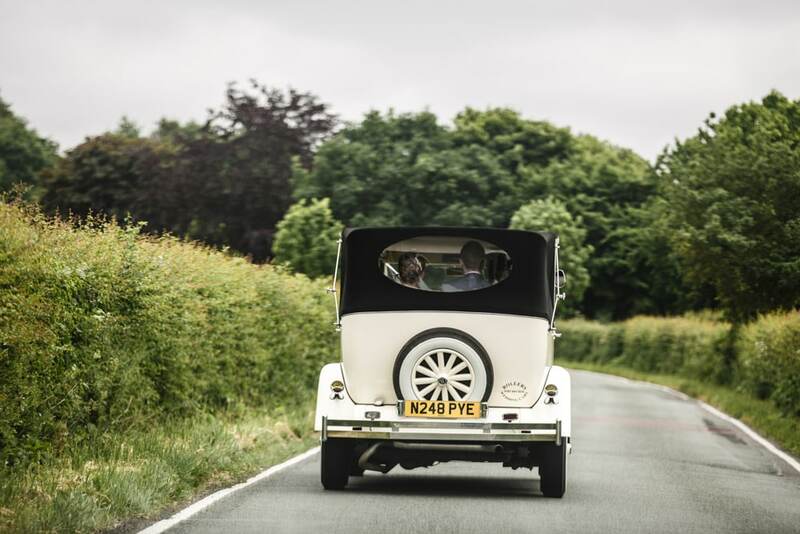 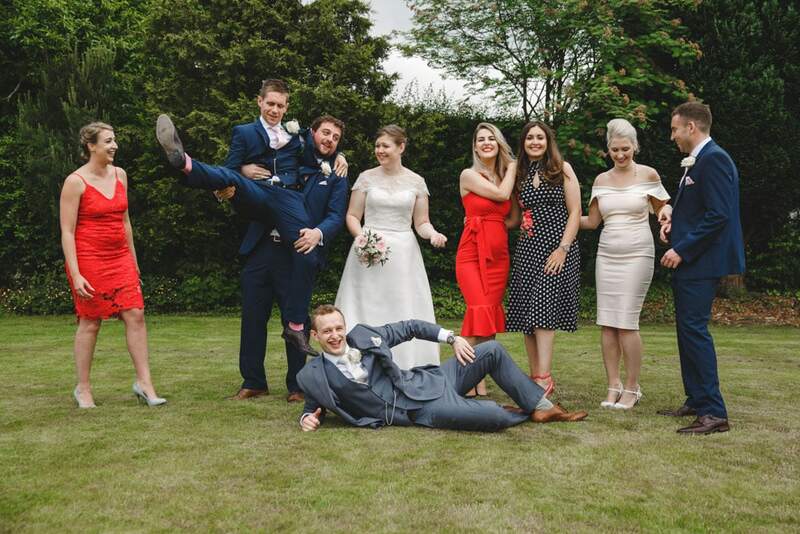 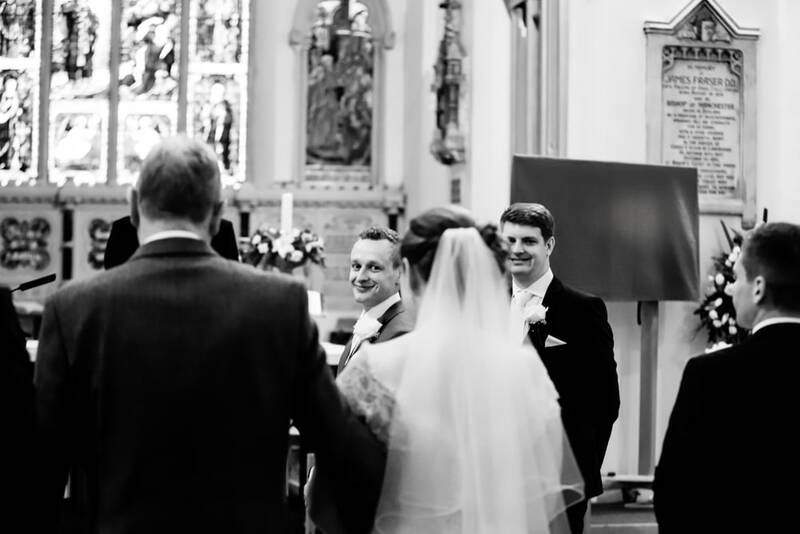 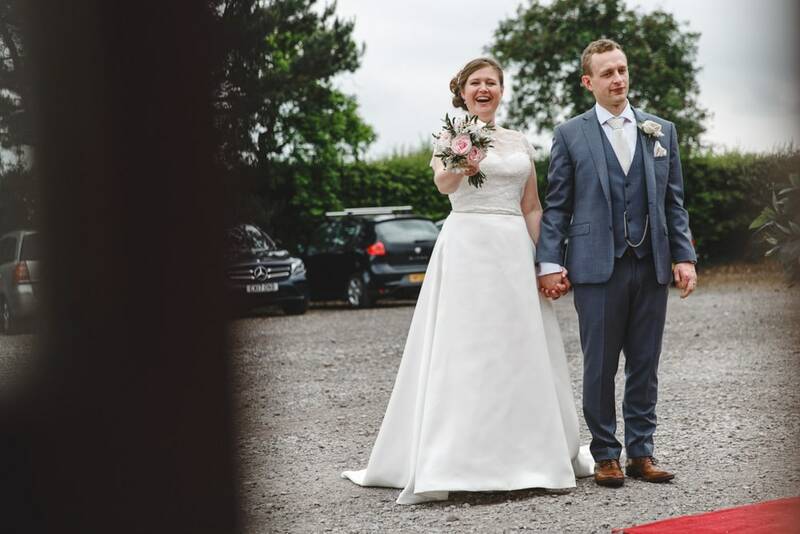 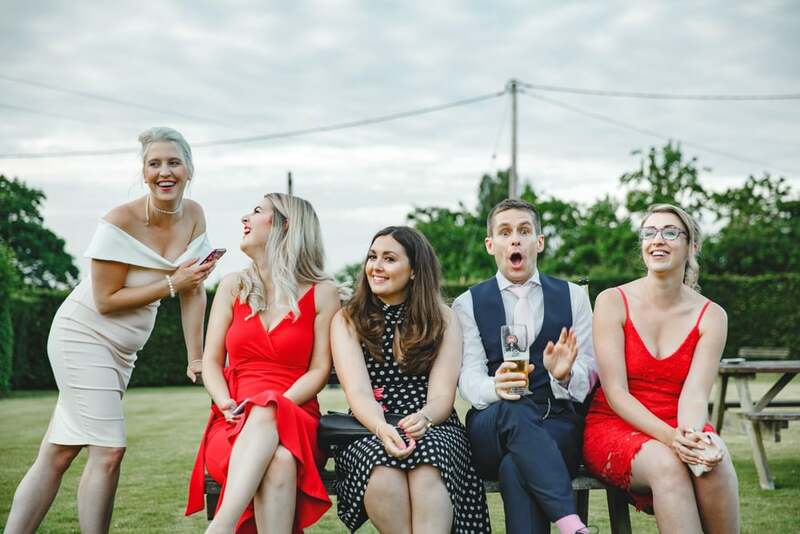 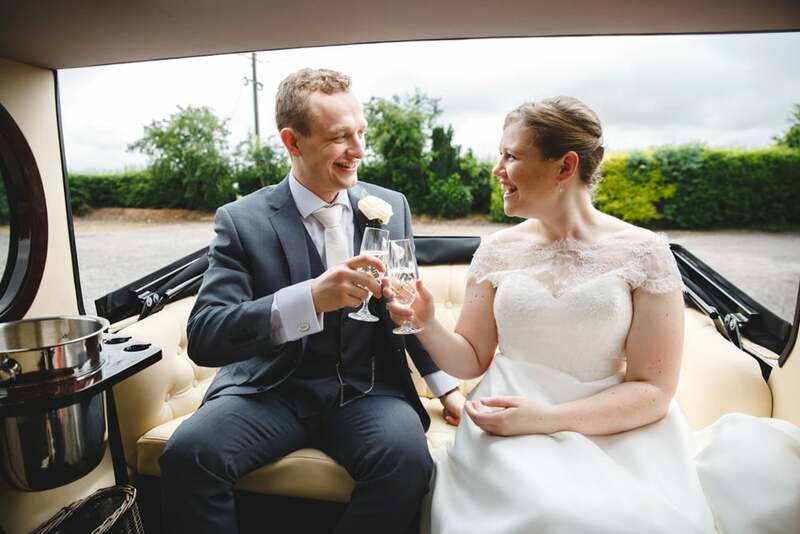 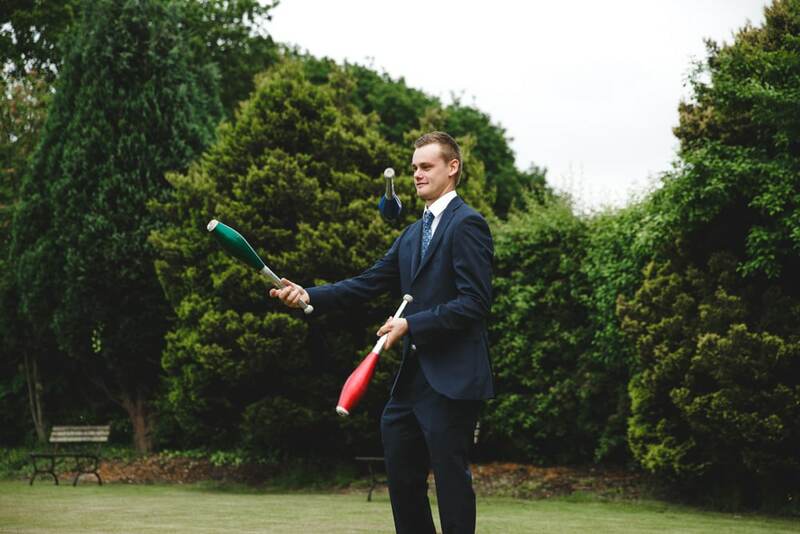 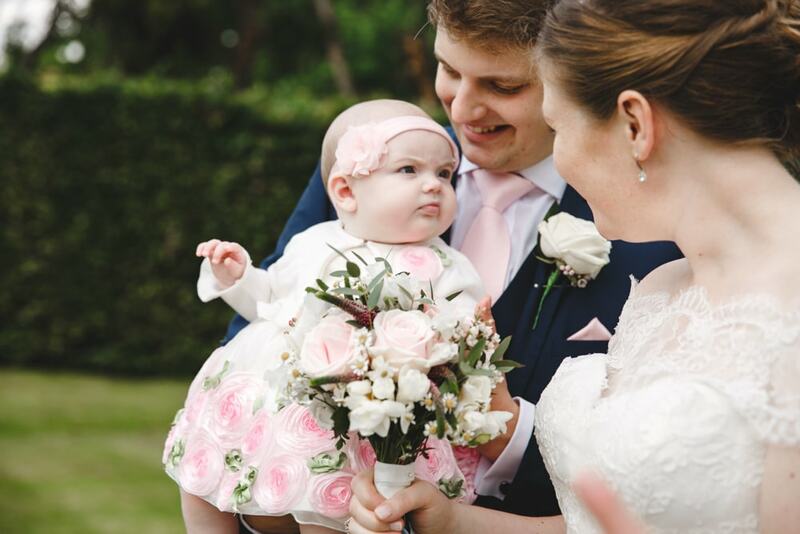 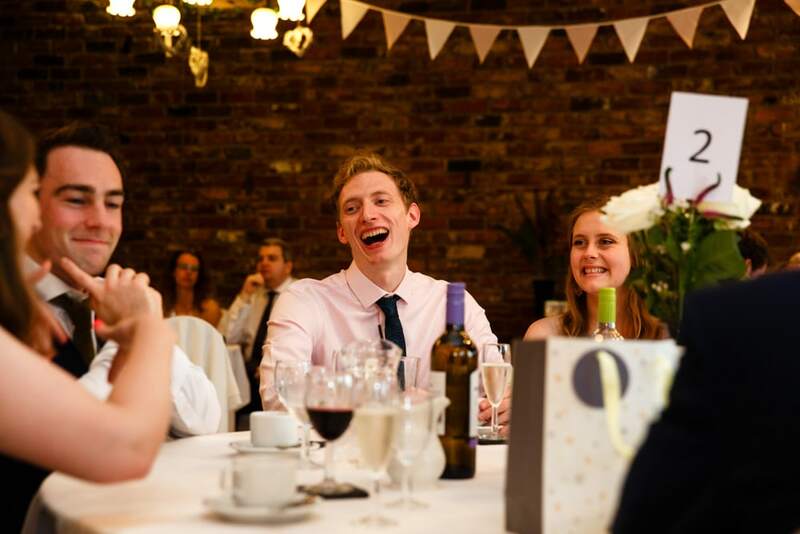 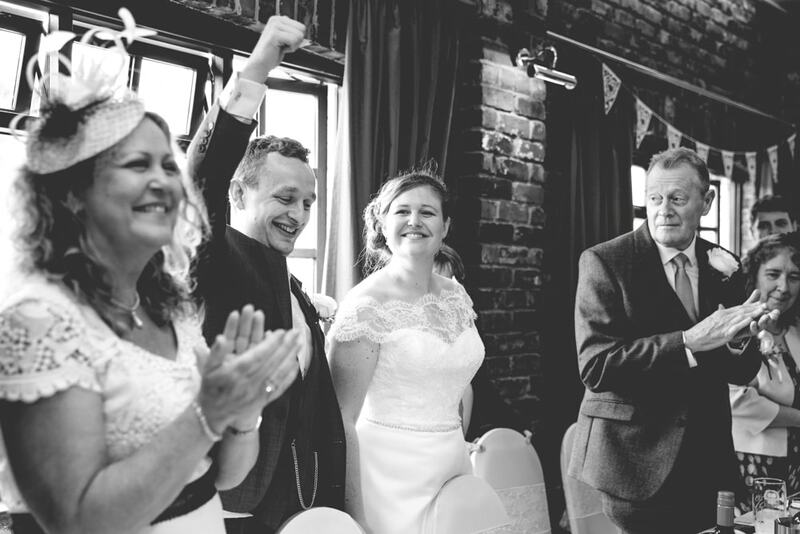 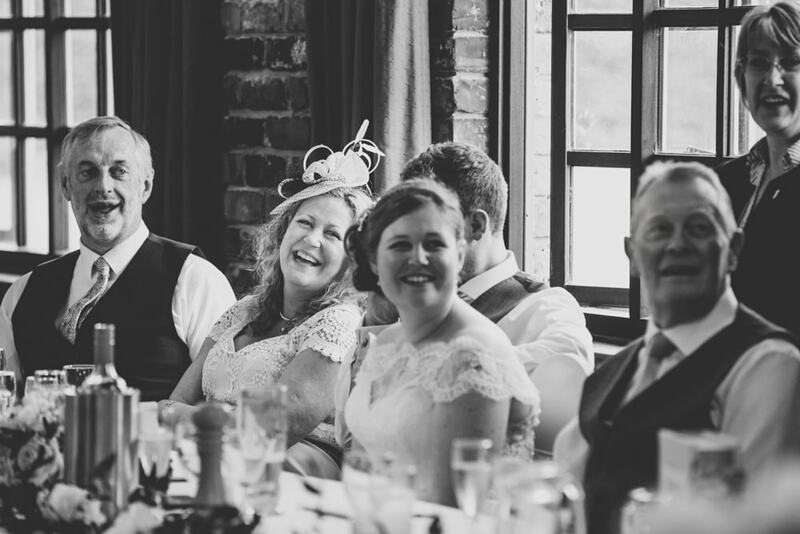 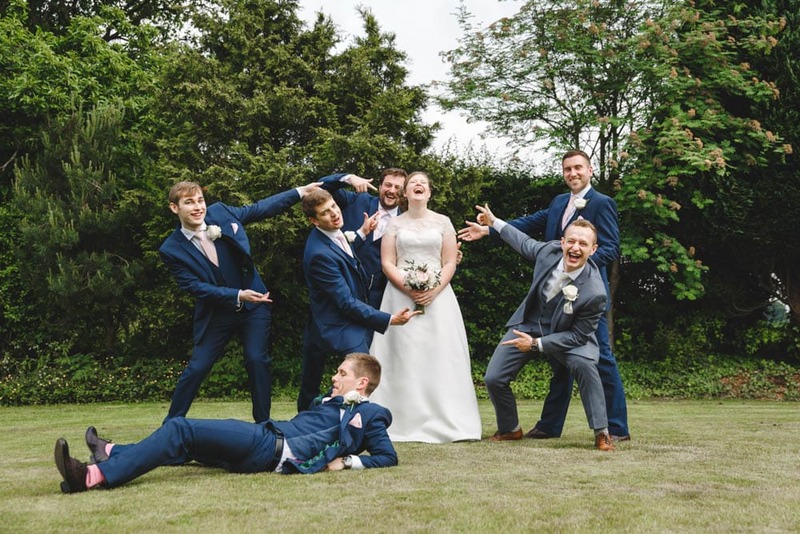 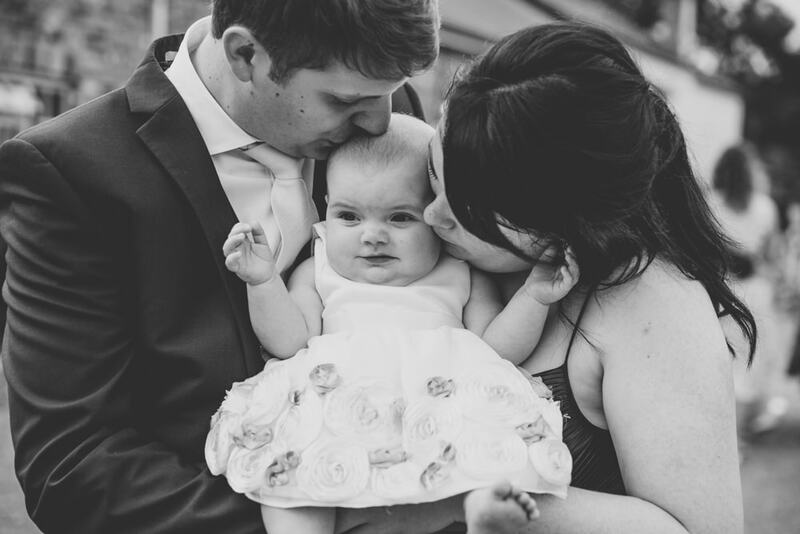 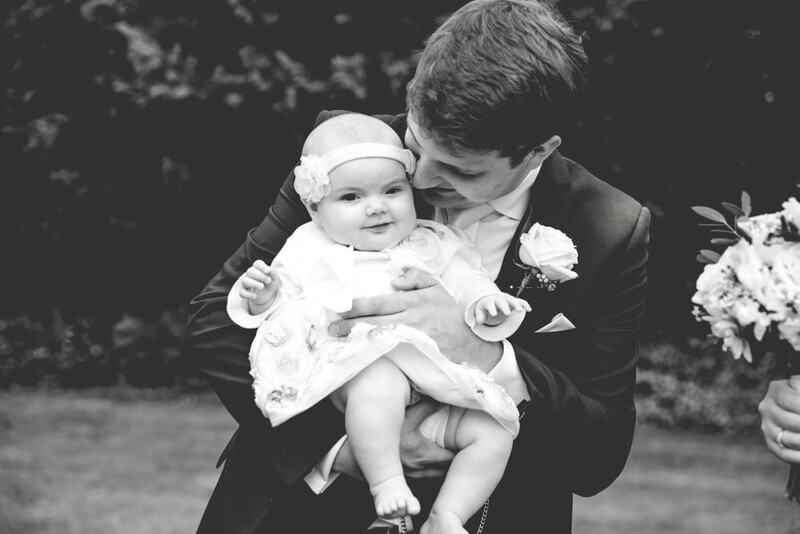 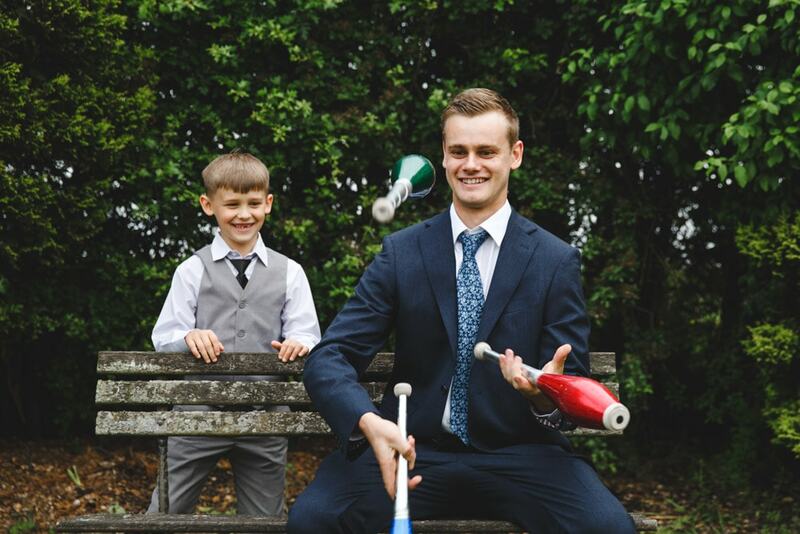 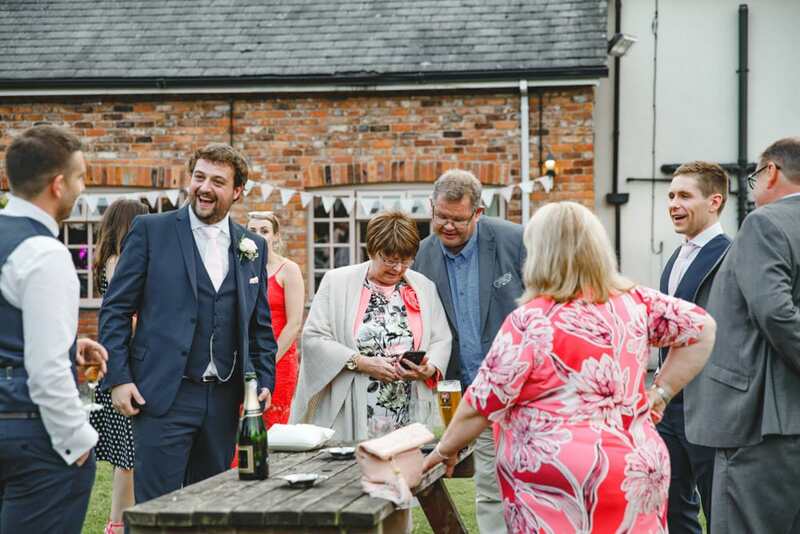 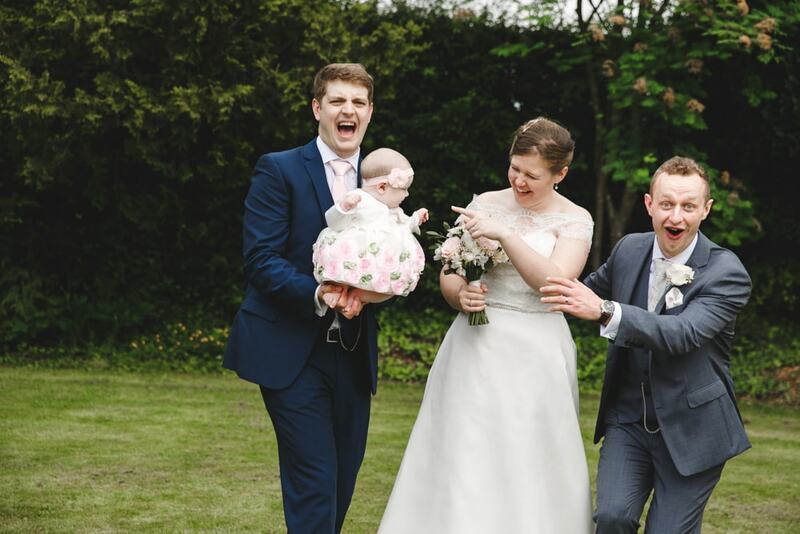 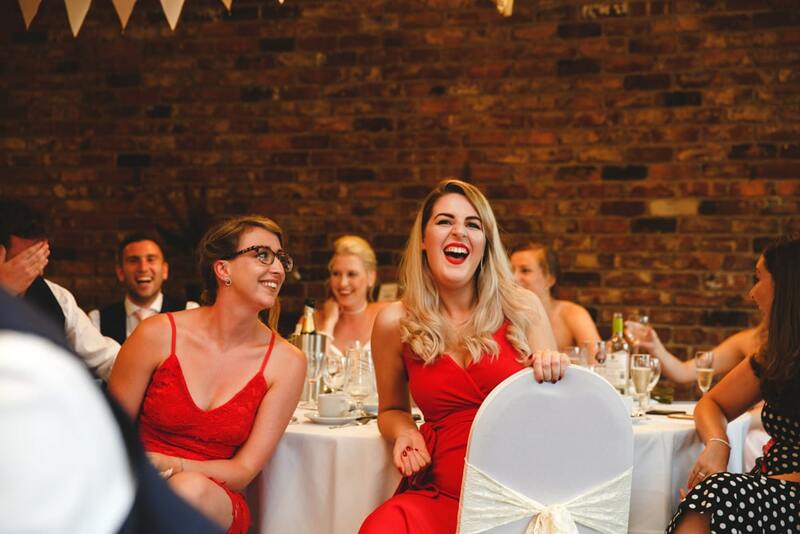 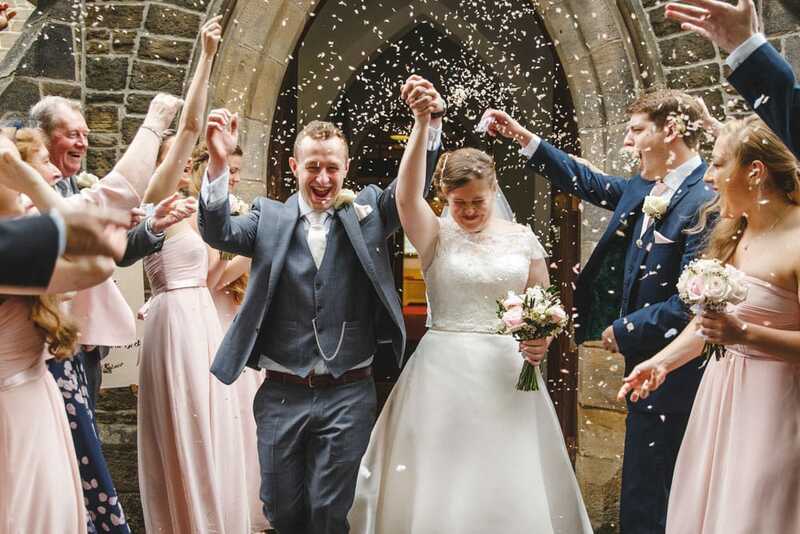 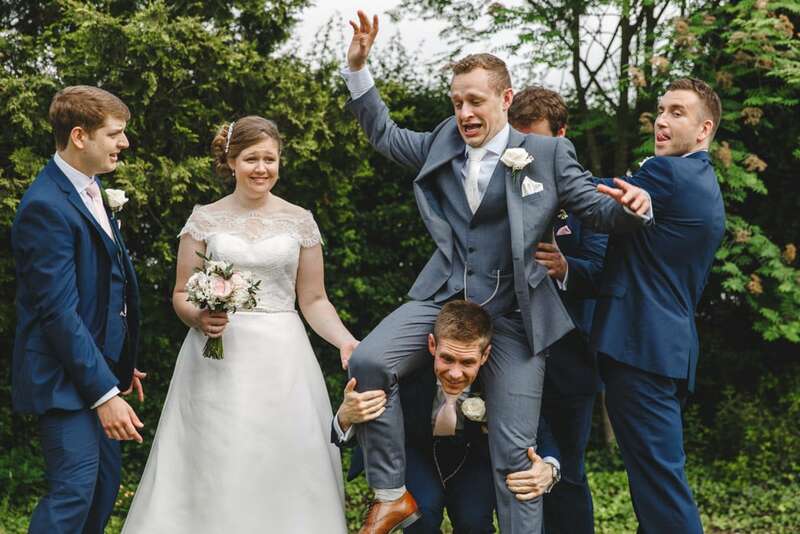 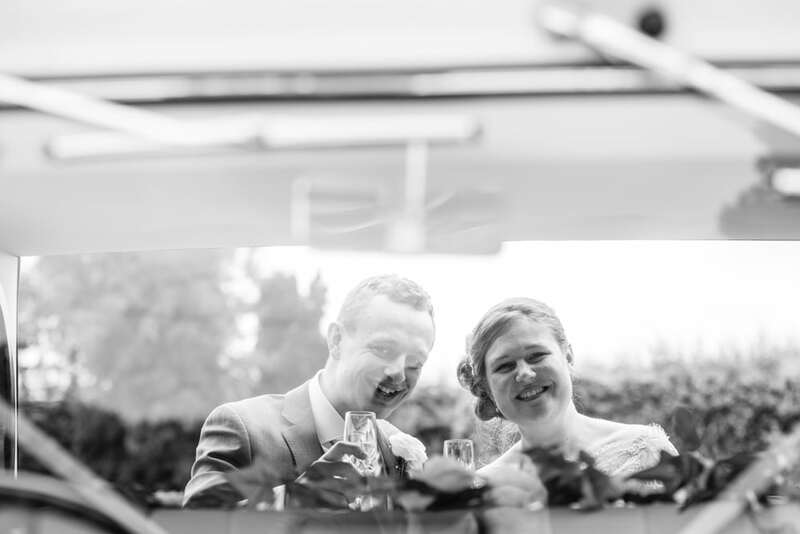 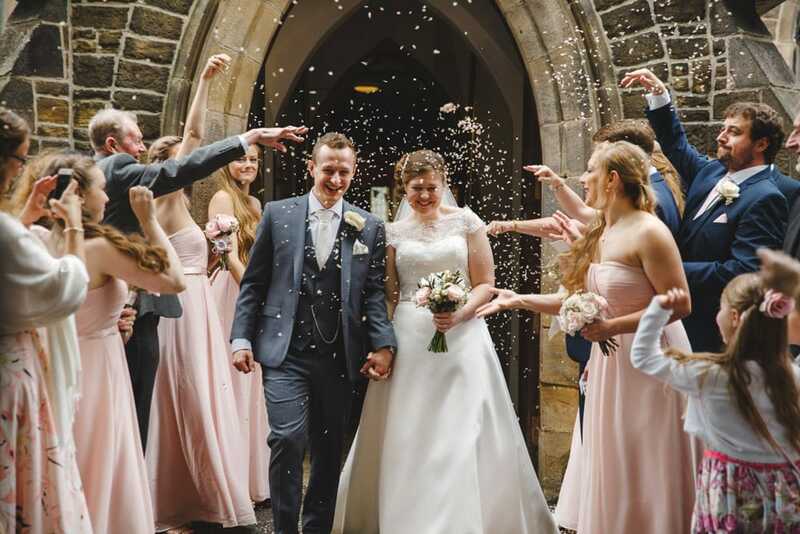 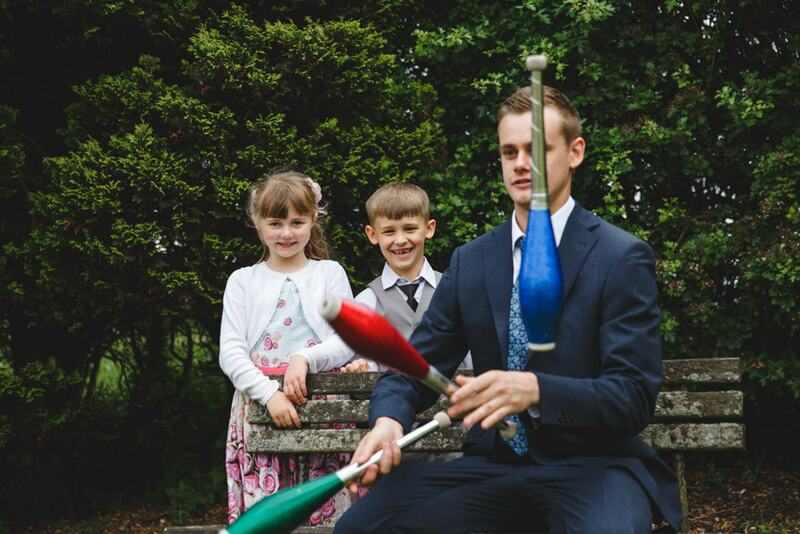 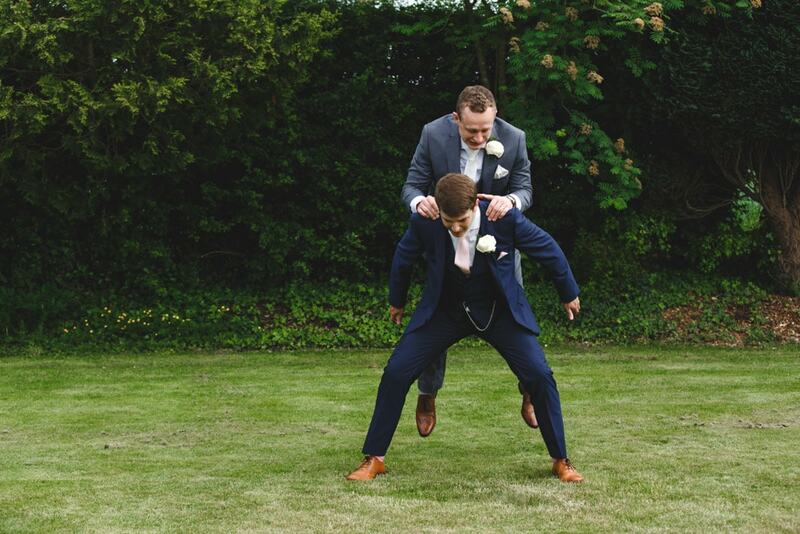 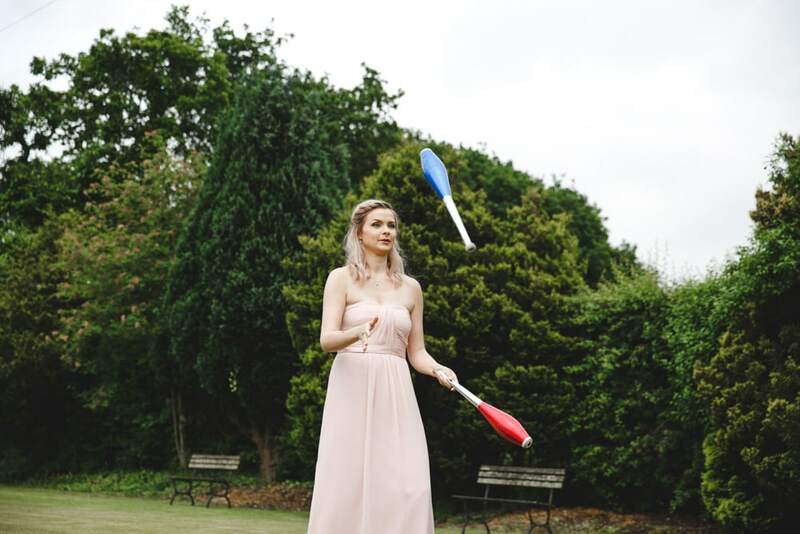 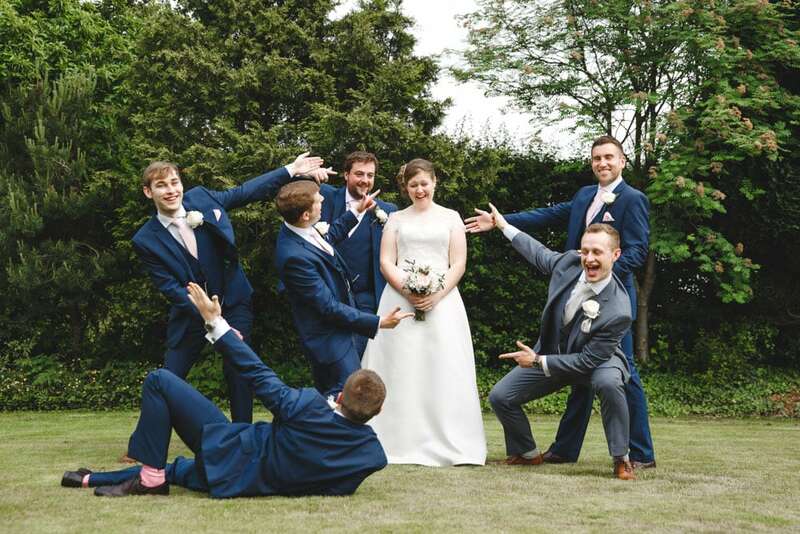 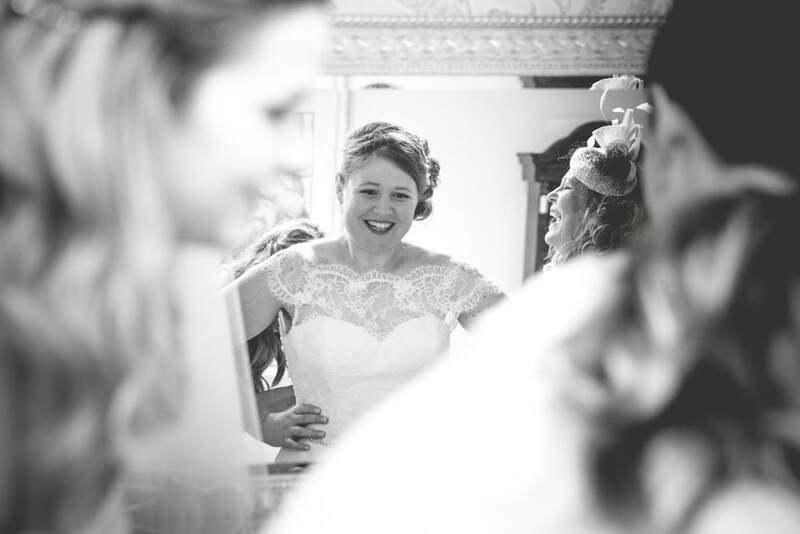 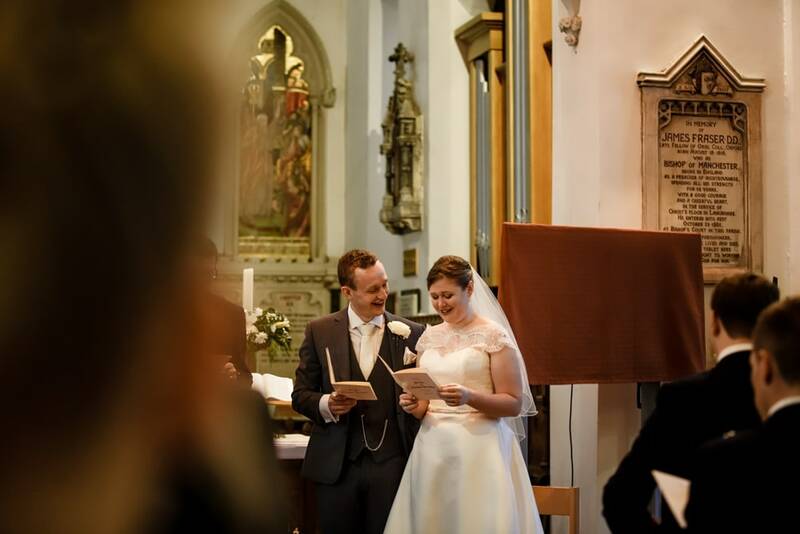 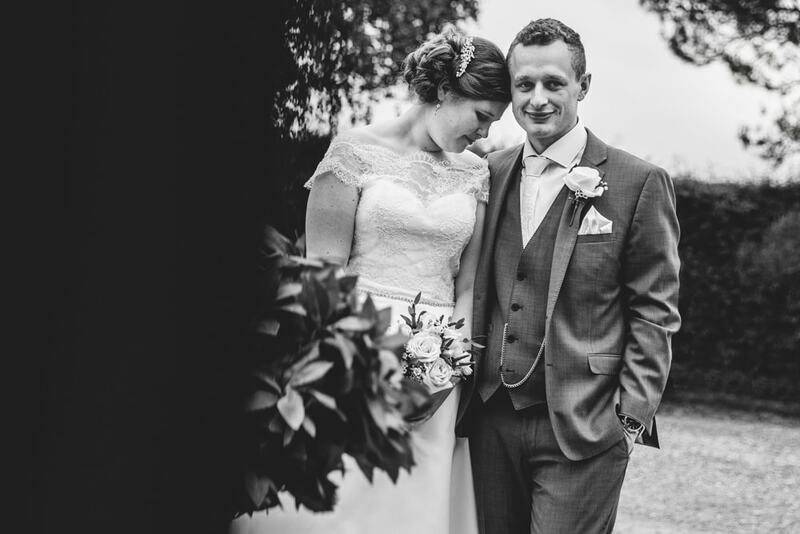 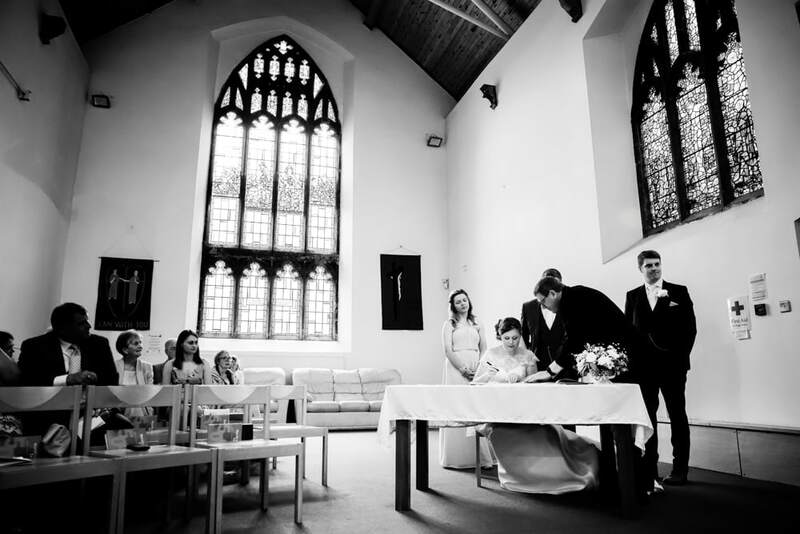 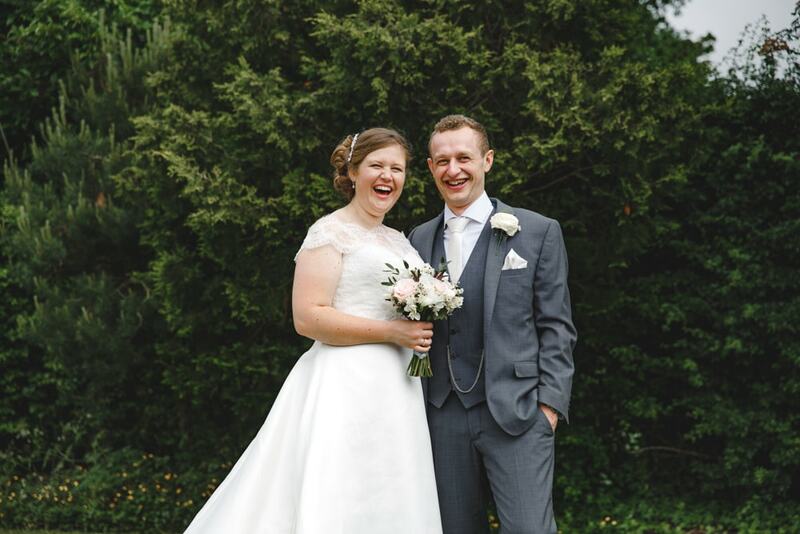 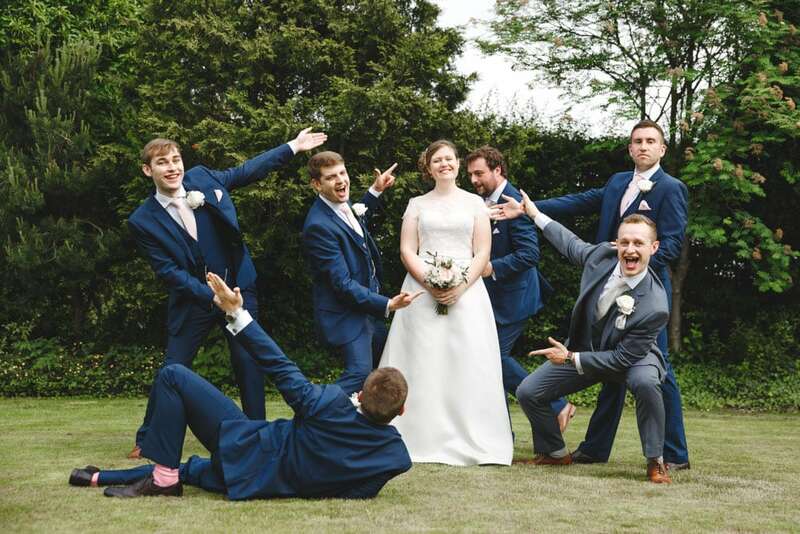 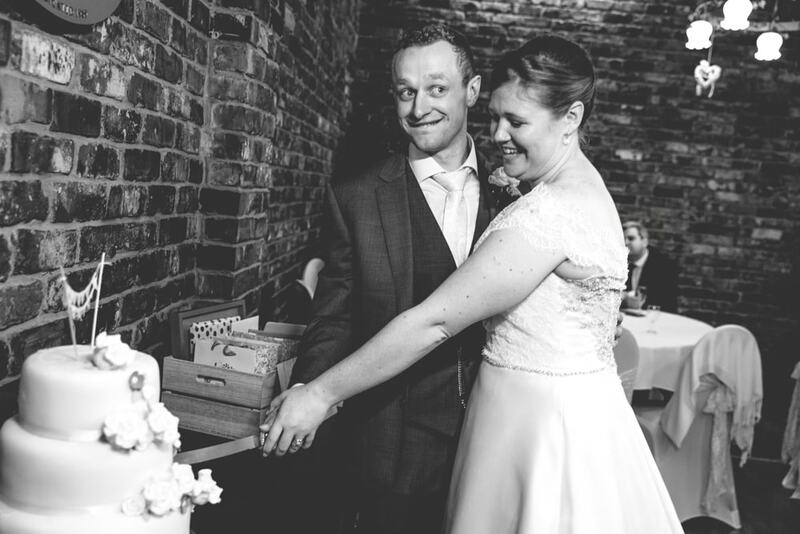 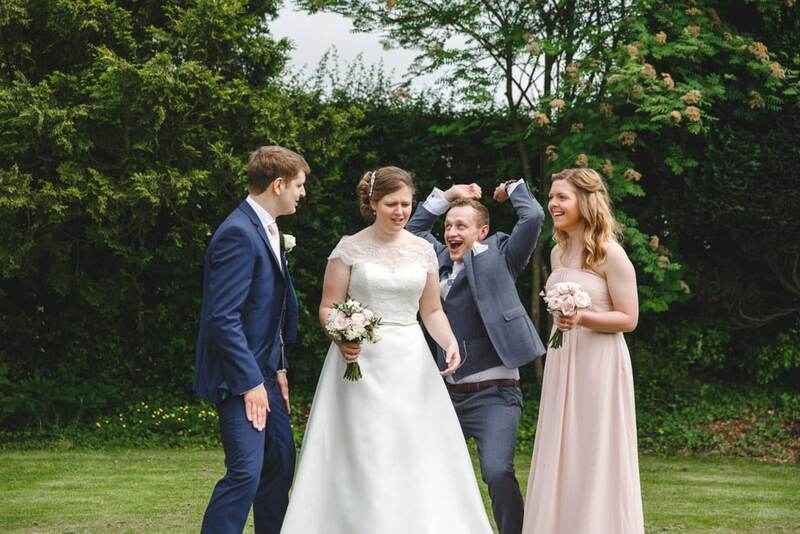 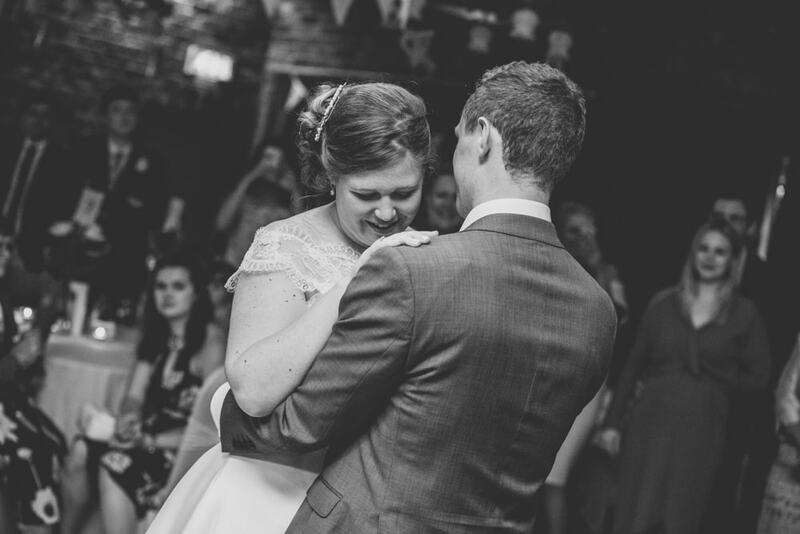 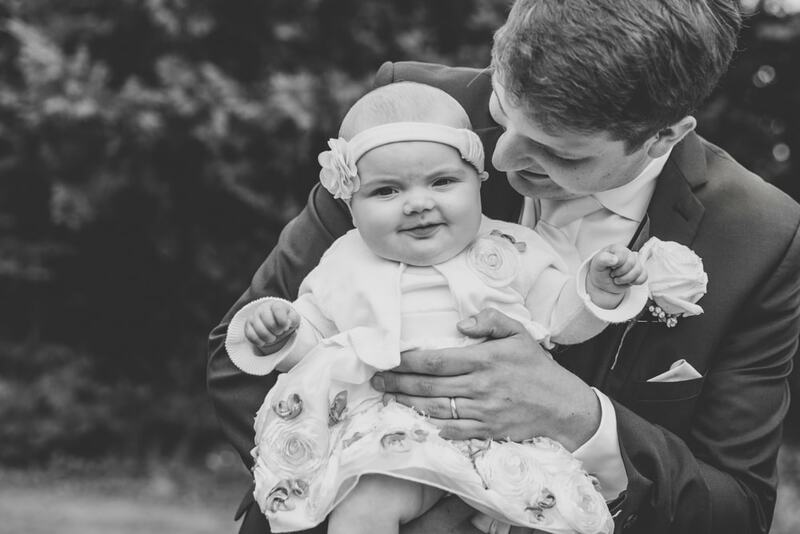 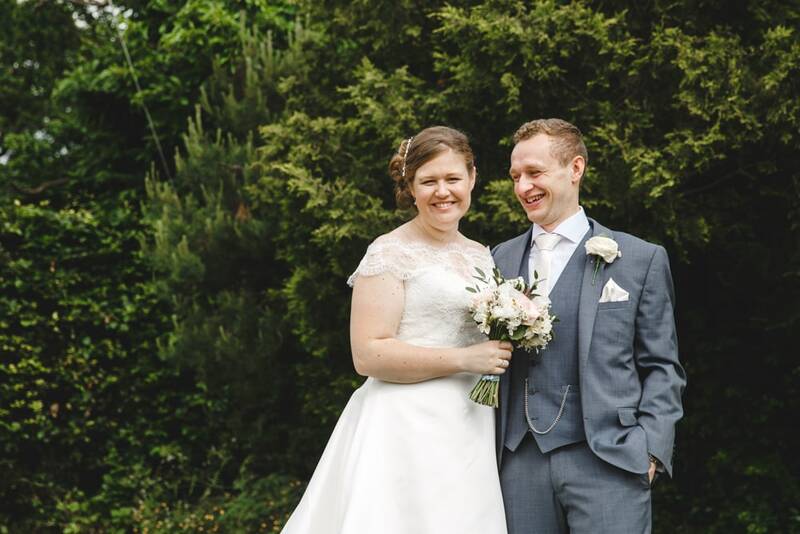 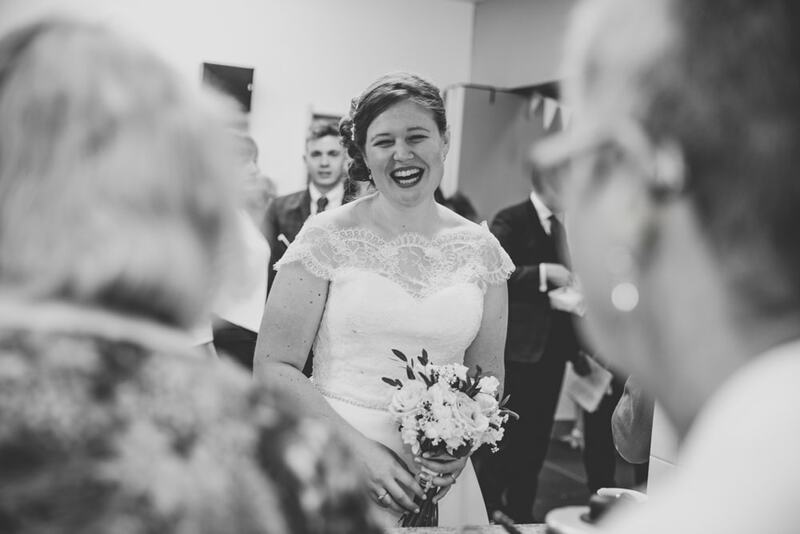 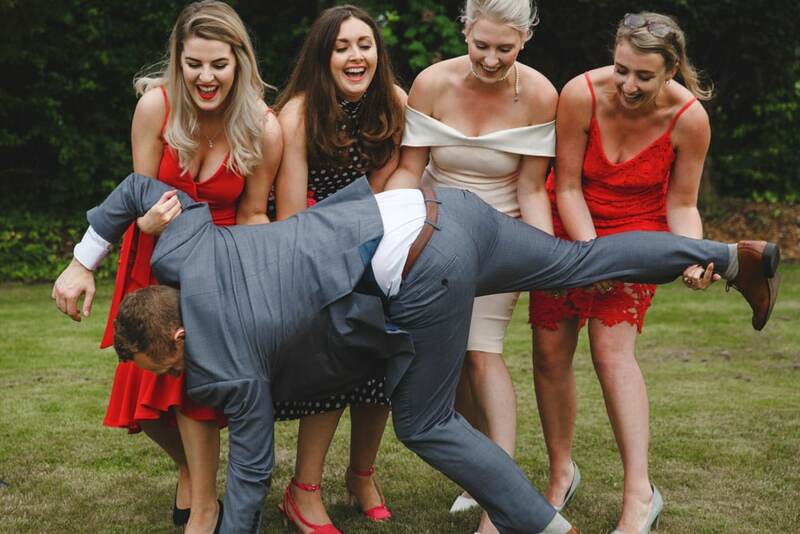 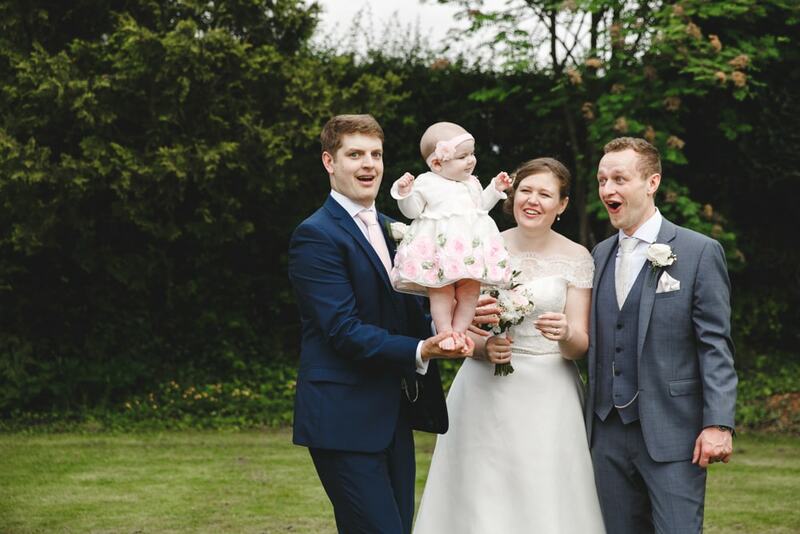 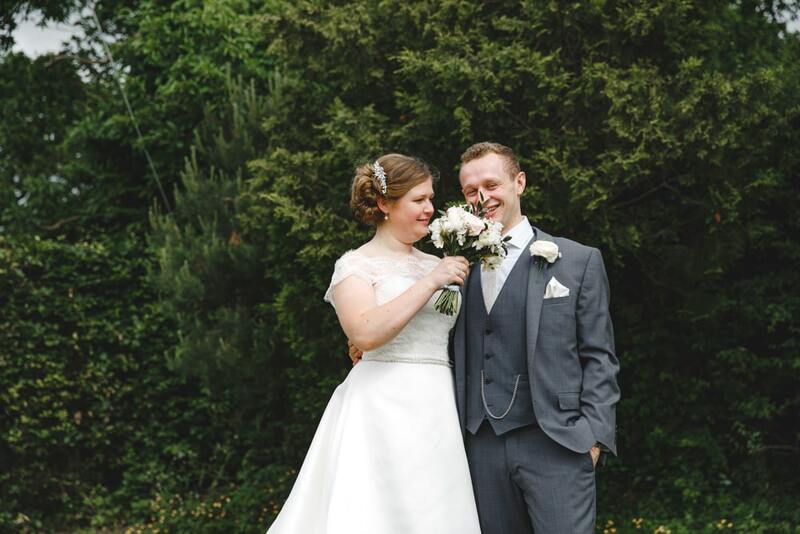 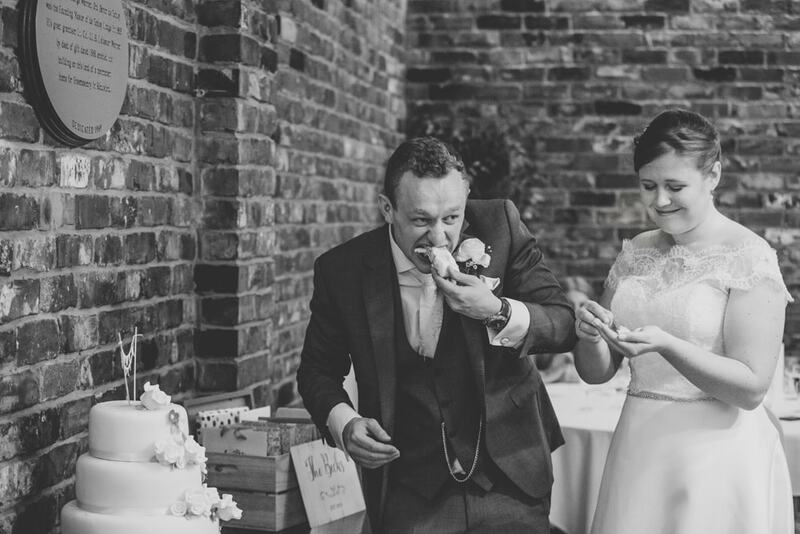 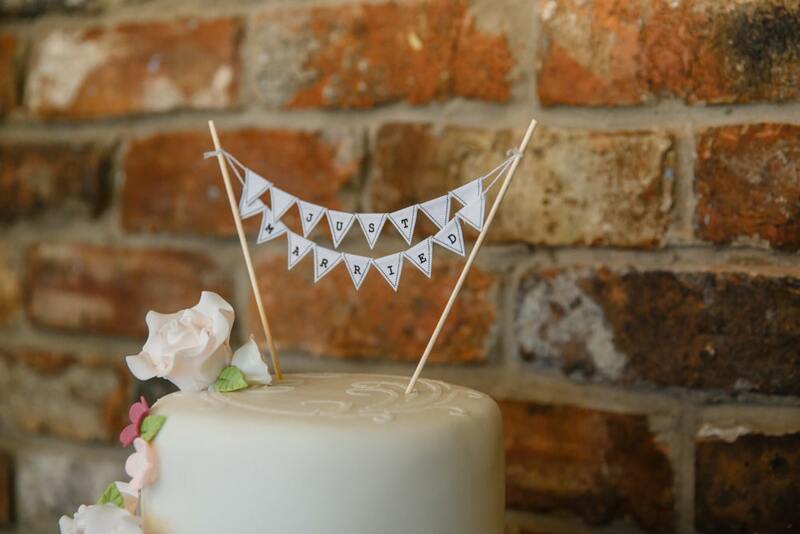 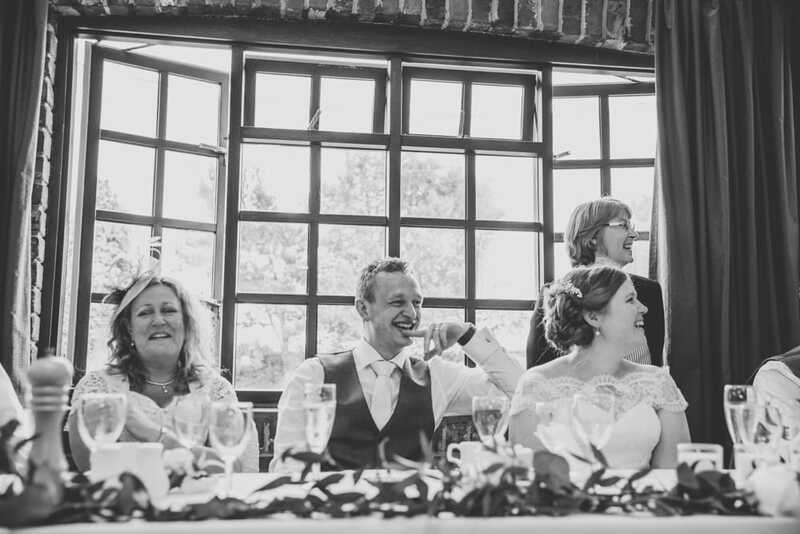 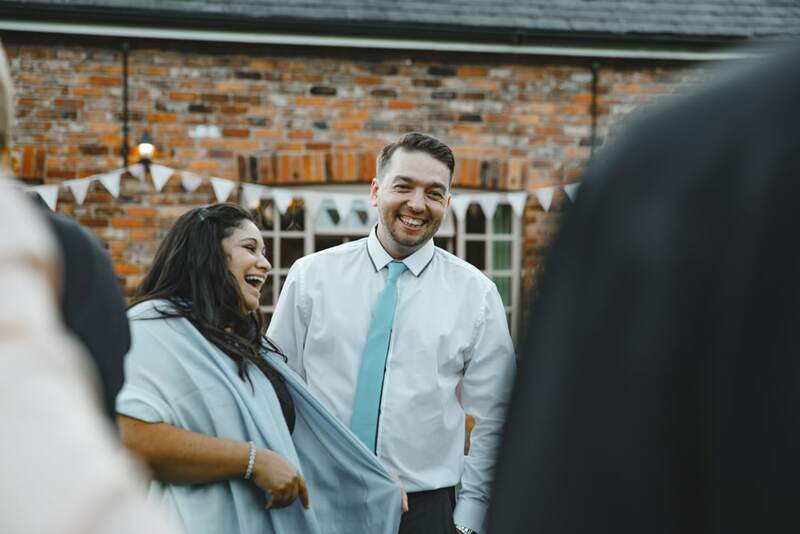 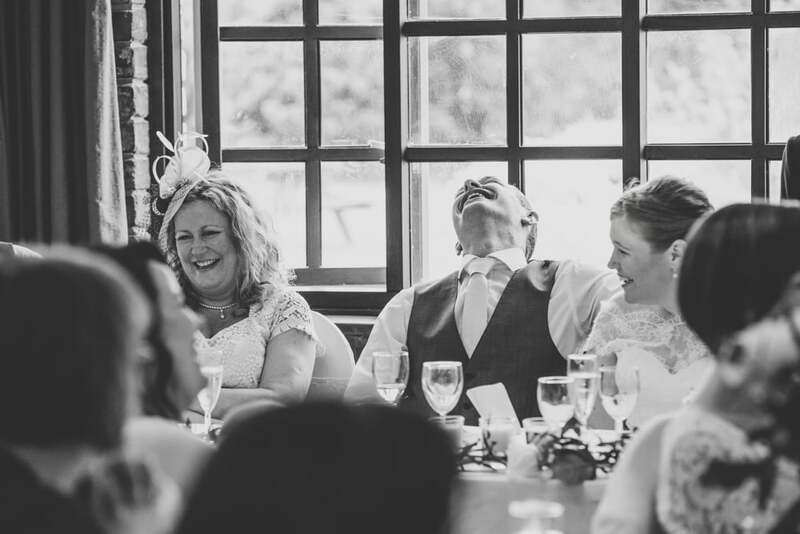 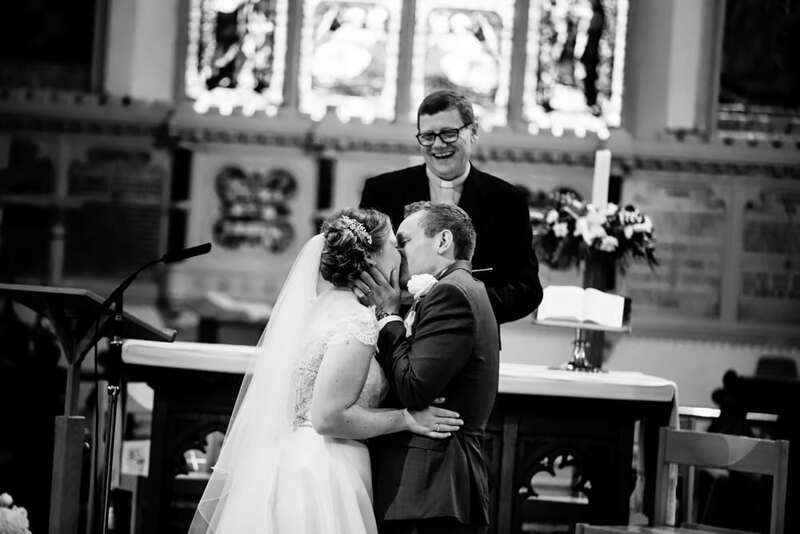 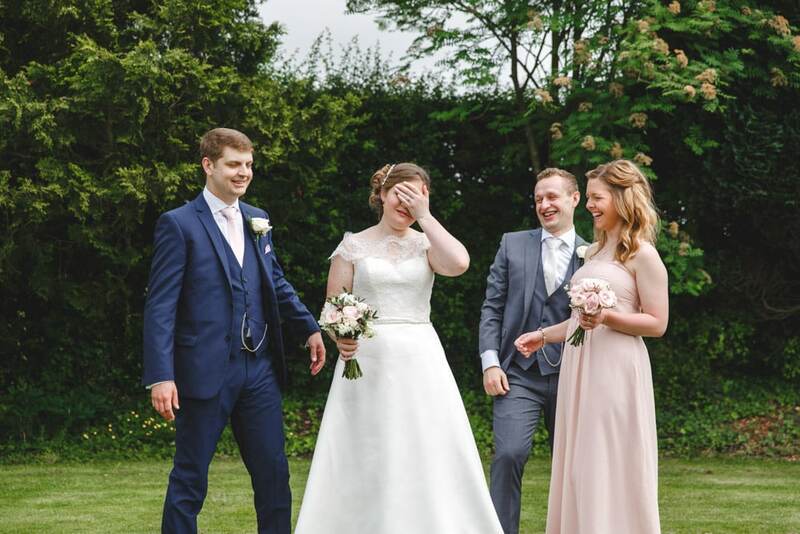 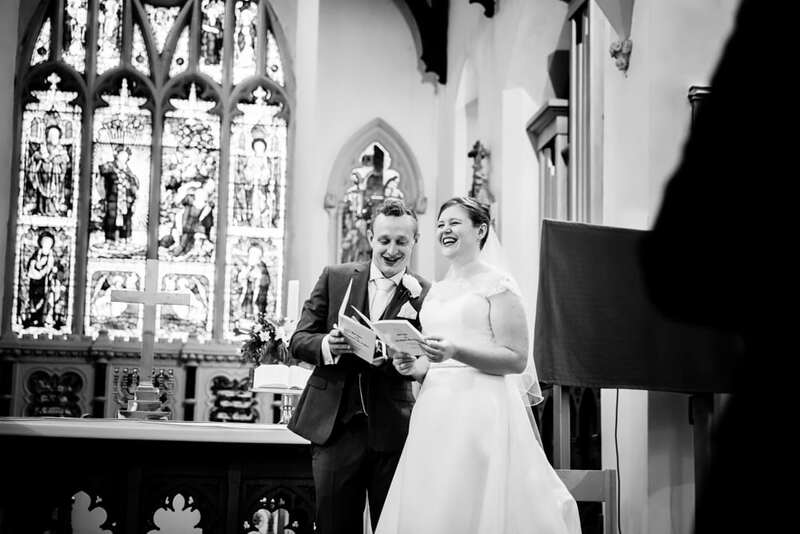 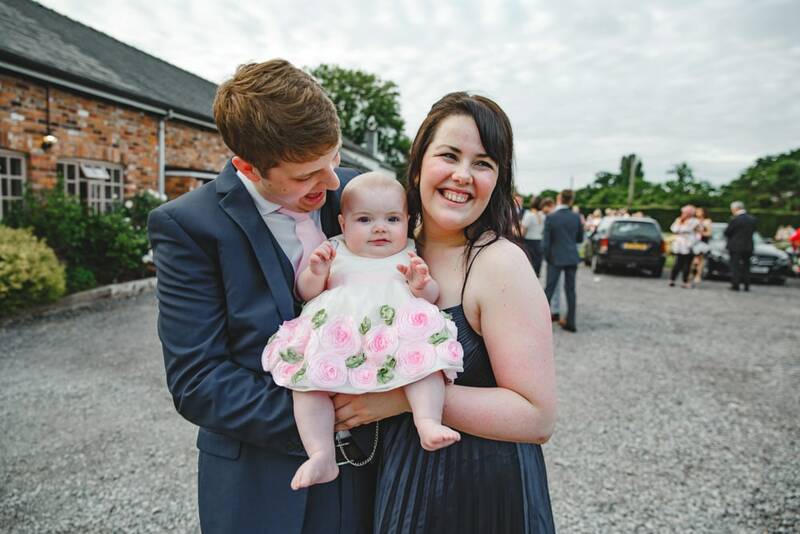 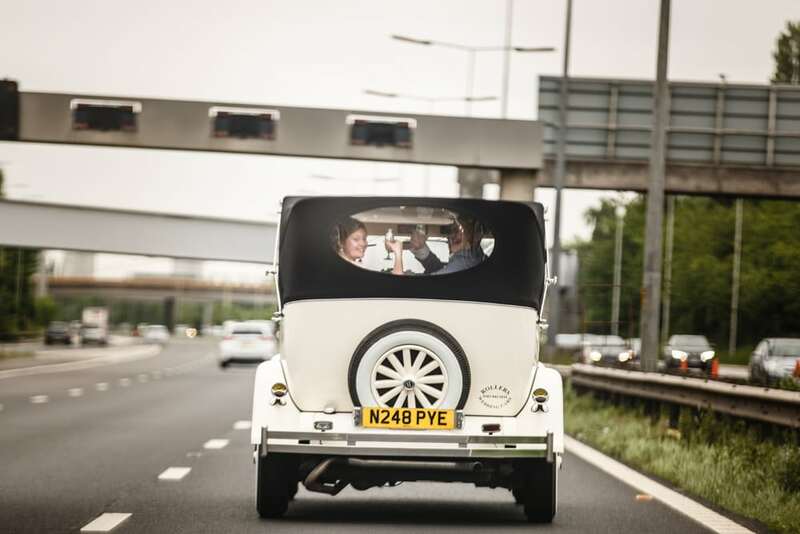 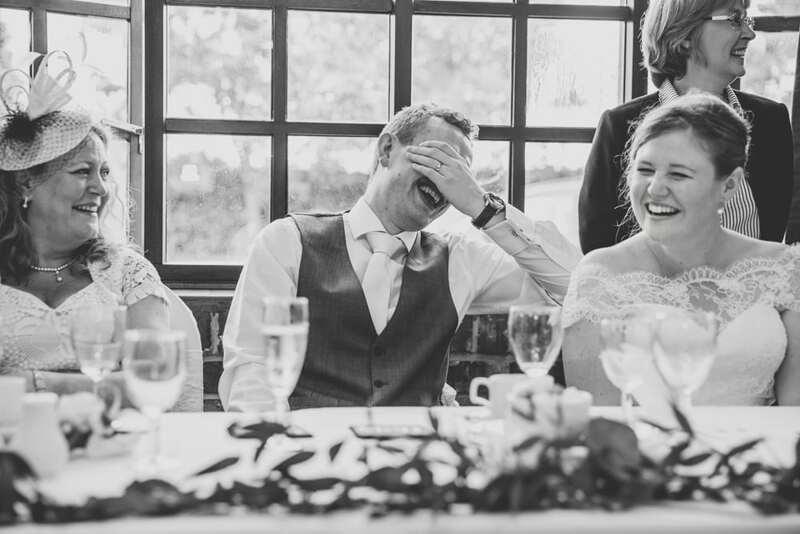 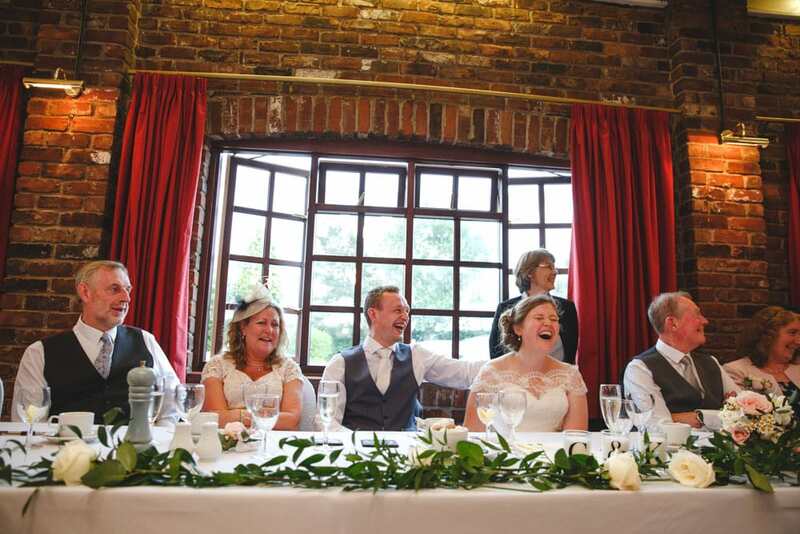 When we first meet Kate + Chris we knew straight away that their wedding was going to reflect them perfectly, loads of fun, pranks, laughs and giggles. 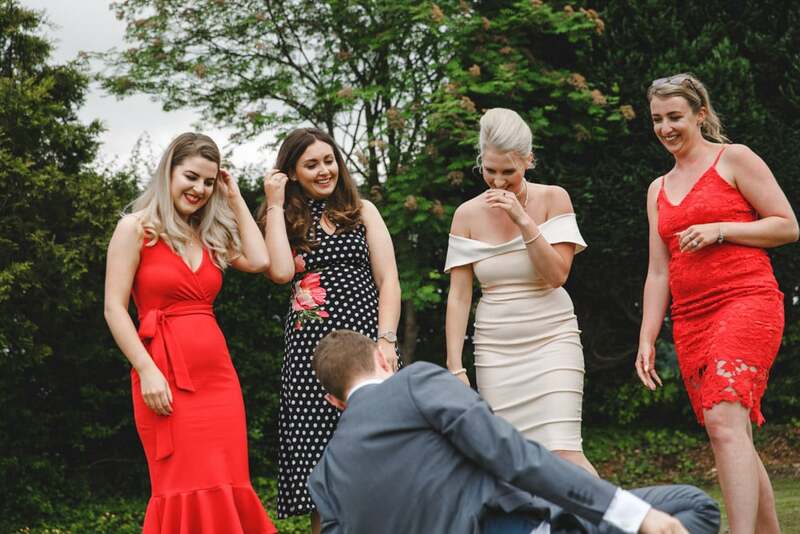 On the day Chris and his pals kept us both entertained and all the moves you see in the images below reflect what actually happened “masses of fun”. 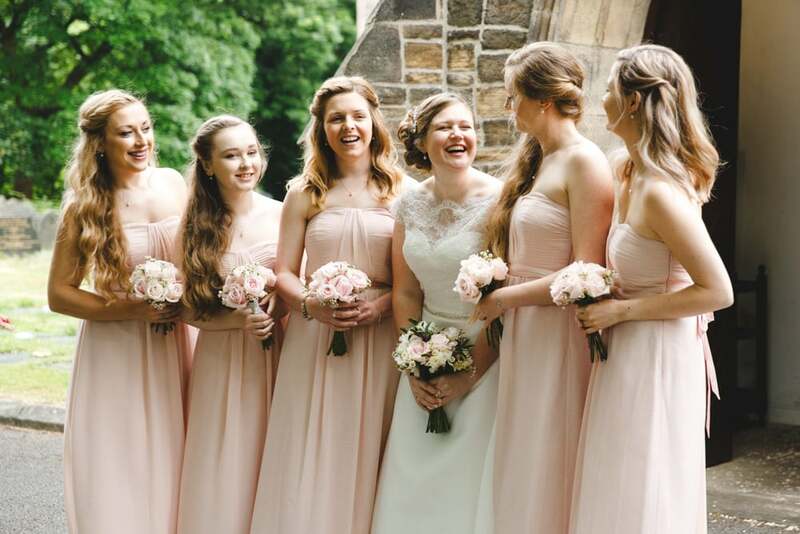 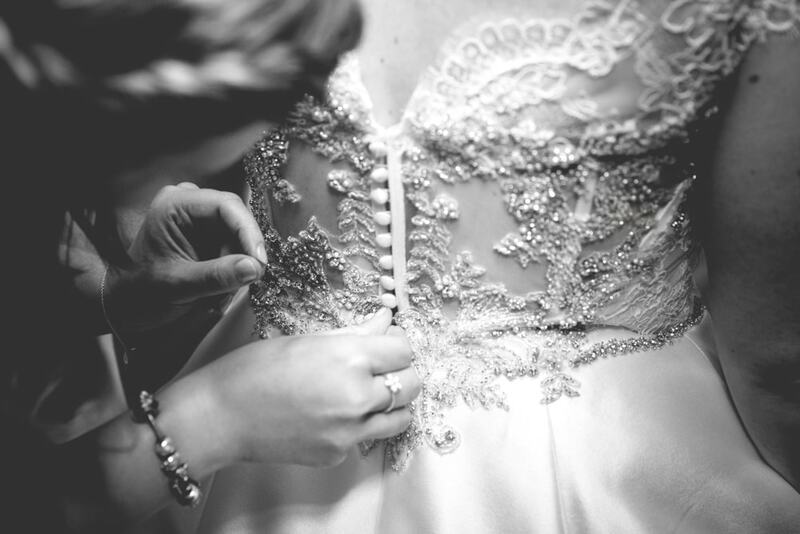 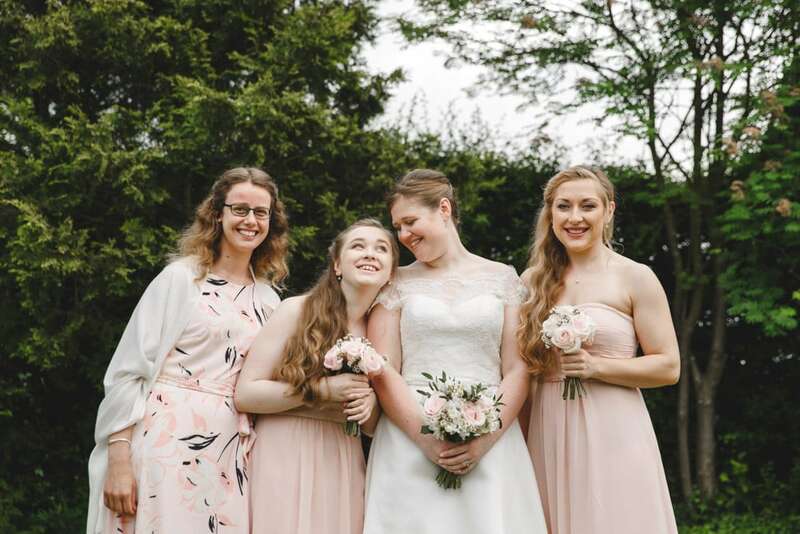 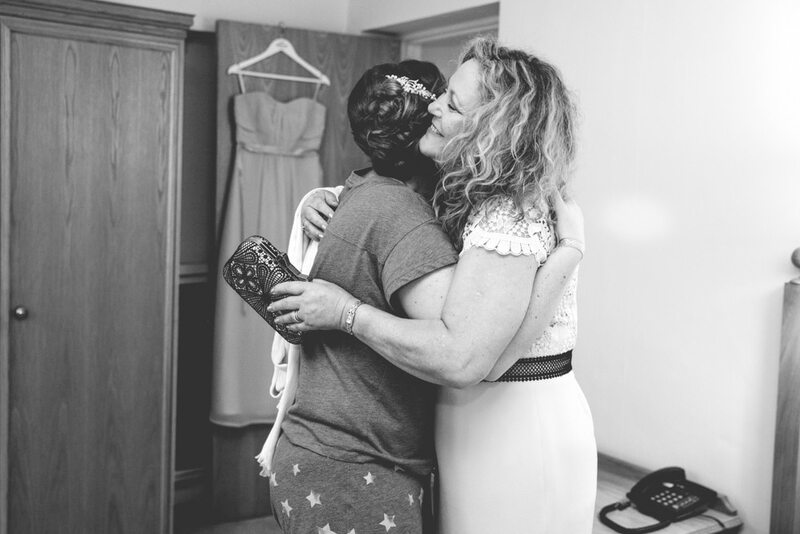 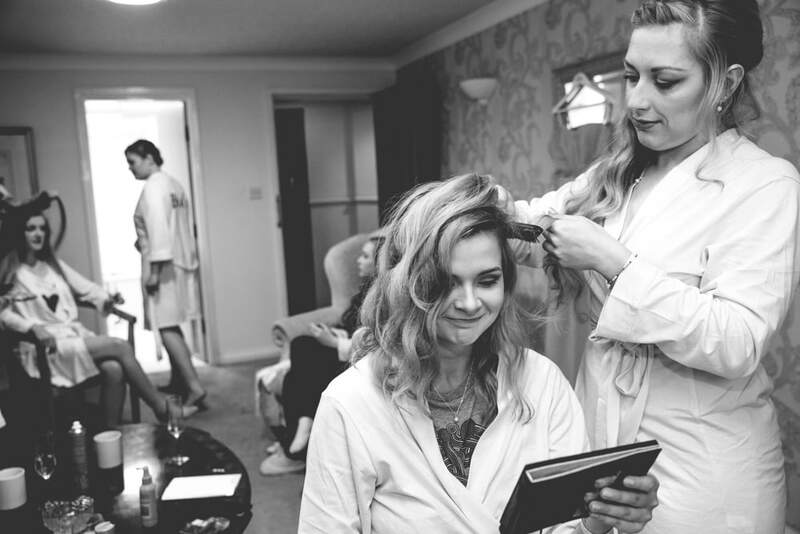 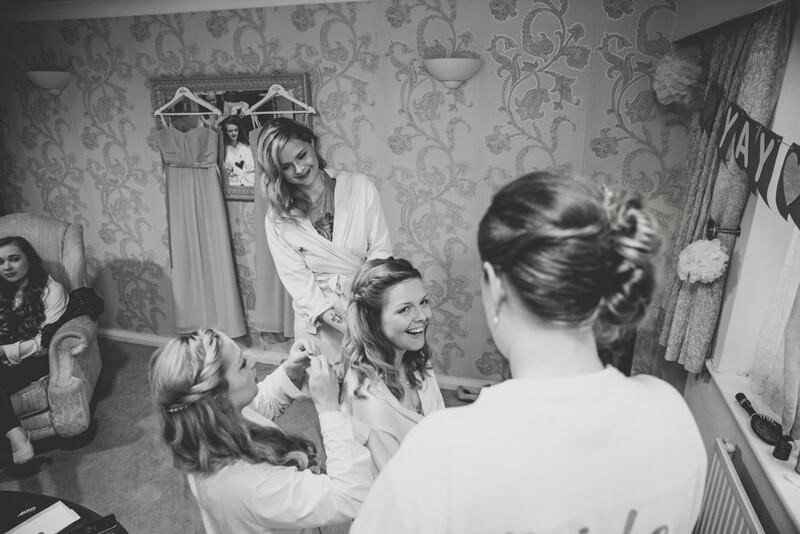 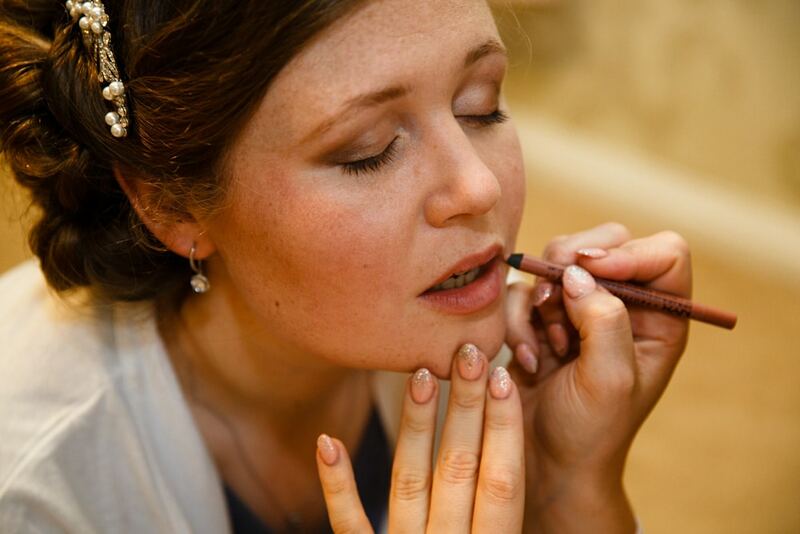 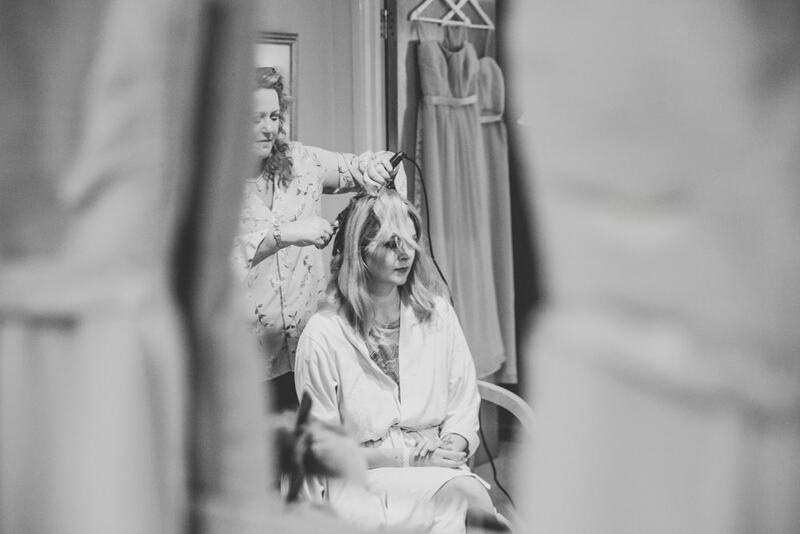 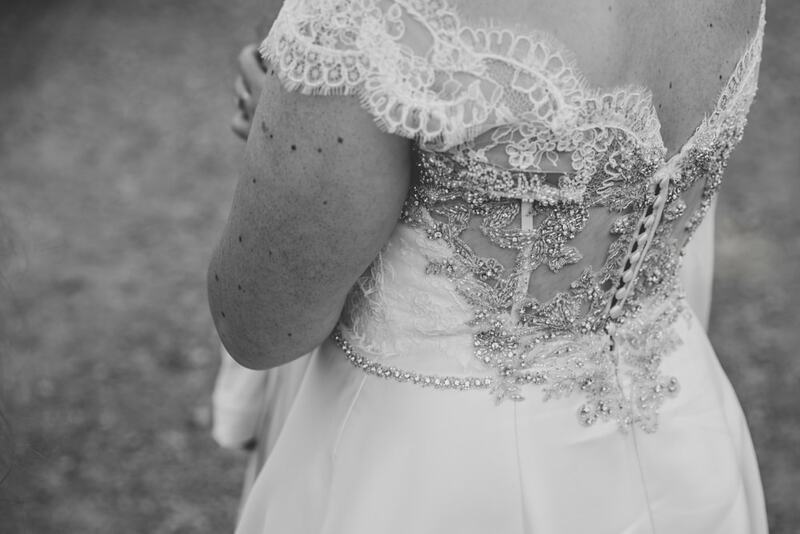 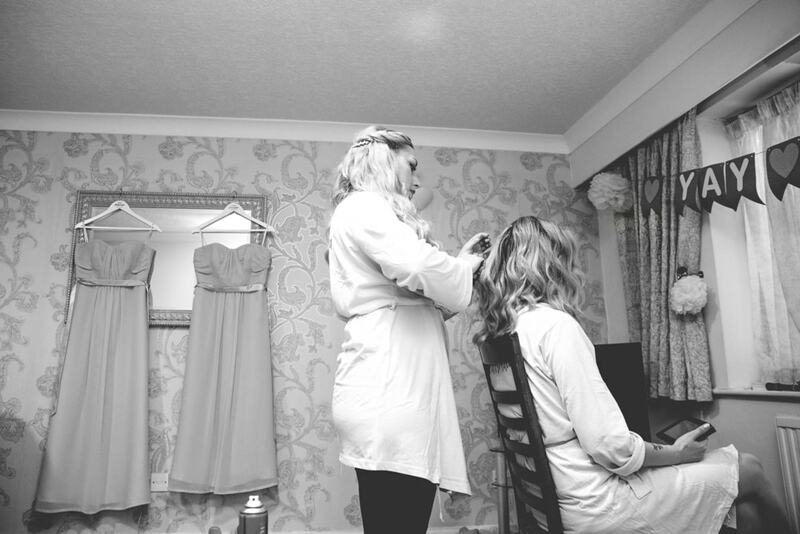 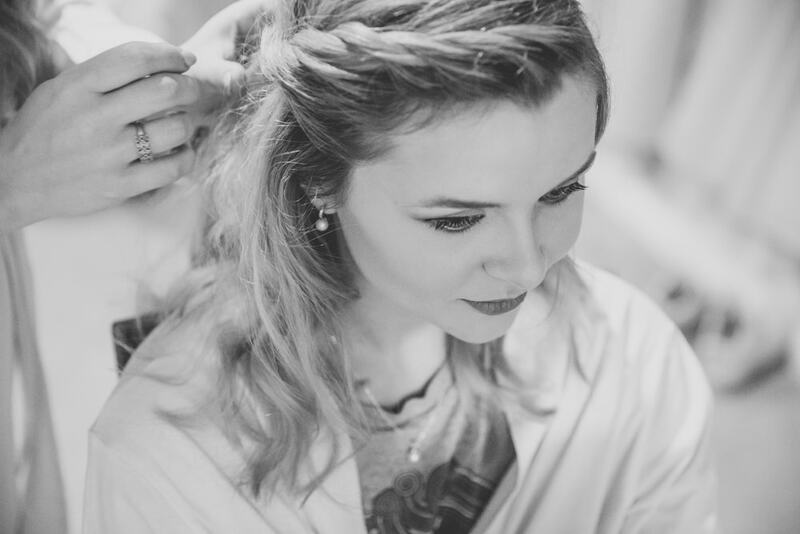 The day started with a very relaxed bridal prep until everyone realised it was nearly time to leave and mum was still curling hair, she did an amazing job of getting everyone looking stunning on time, a big shout out to mum. 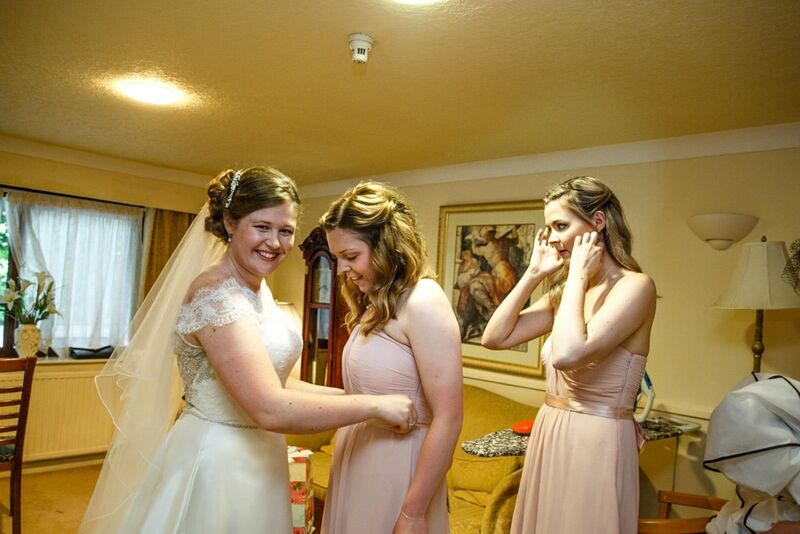 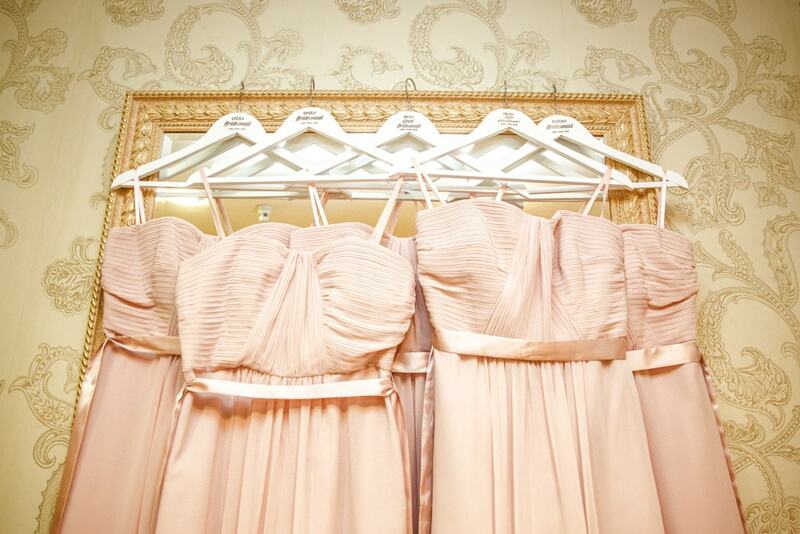 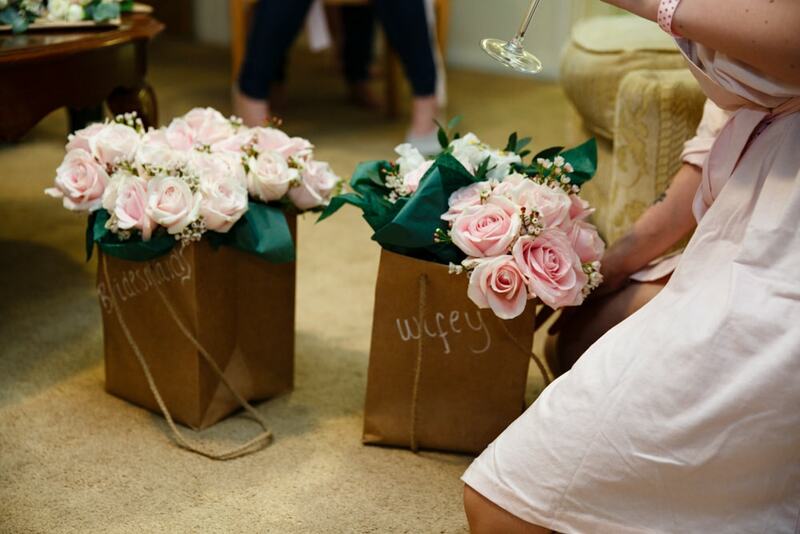 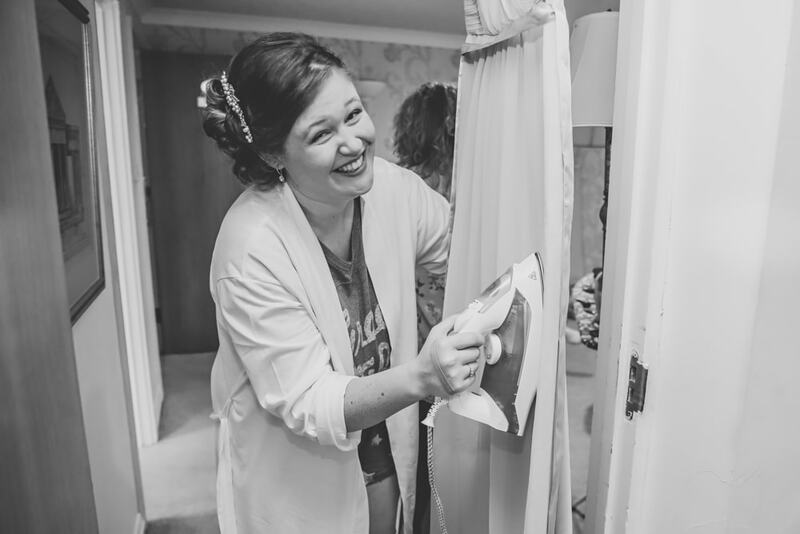 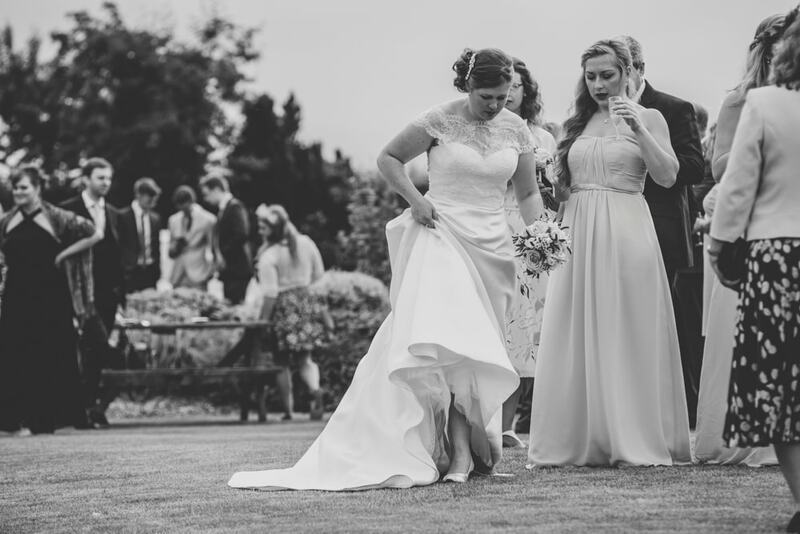 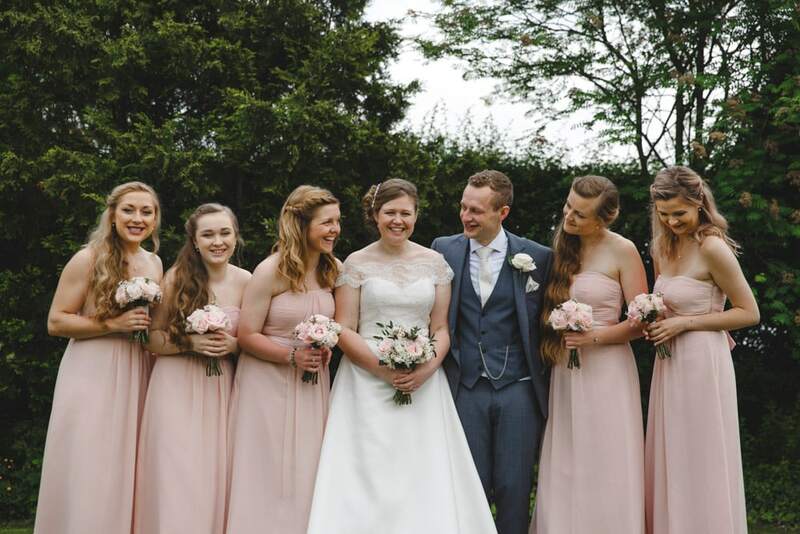 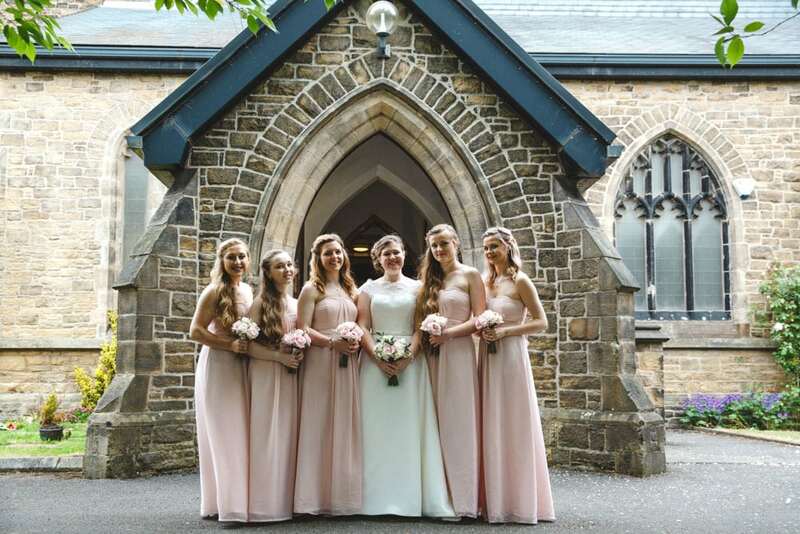 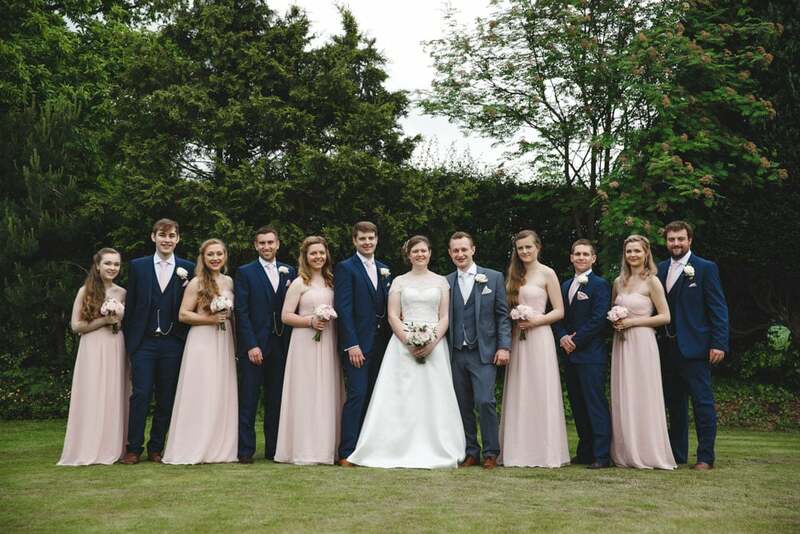 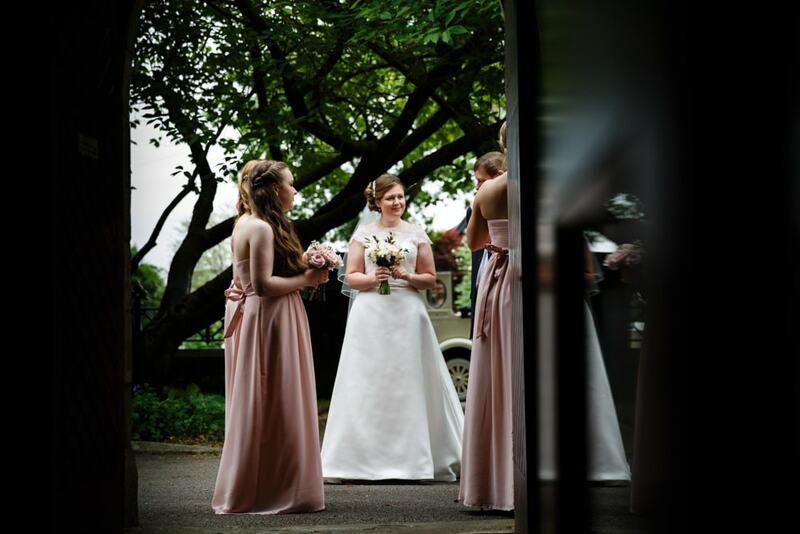 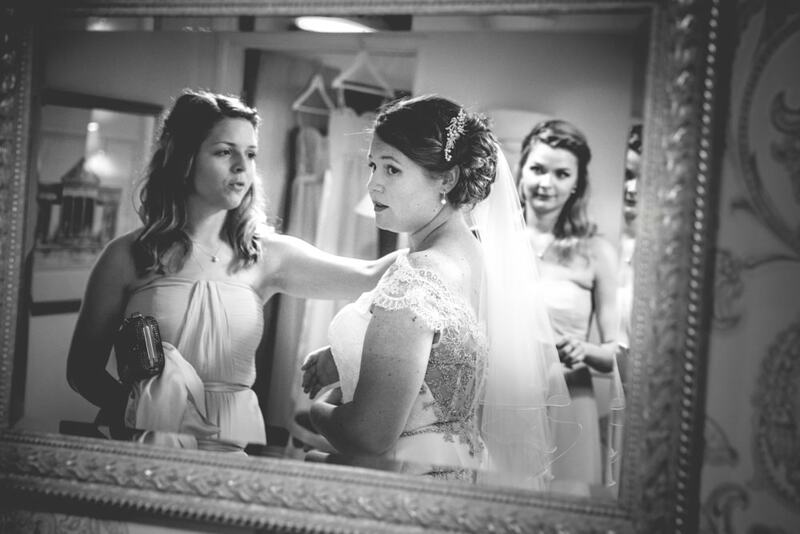 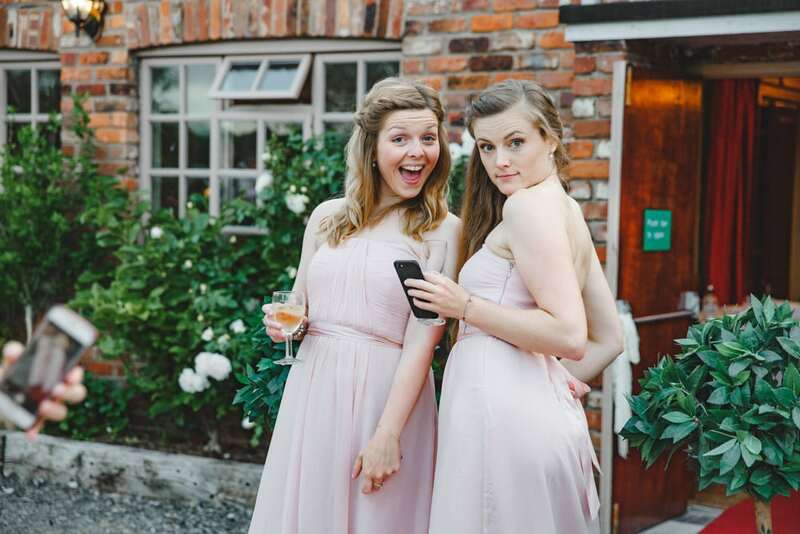 You may also catch Kate (the bride) steaming the bridesmaid’s dresses in one or two of the photos, loved the teamwork. 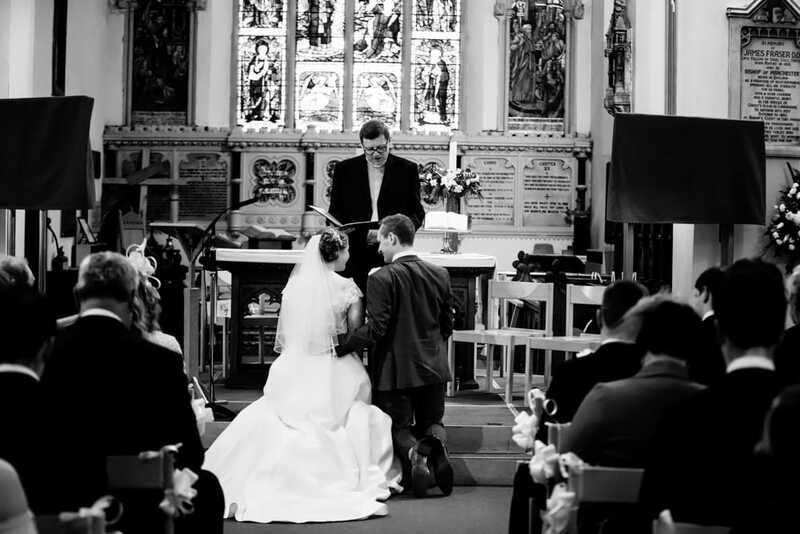 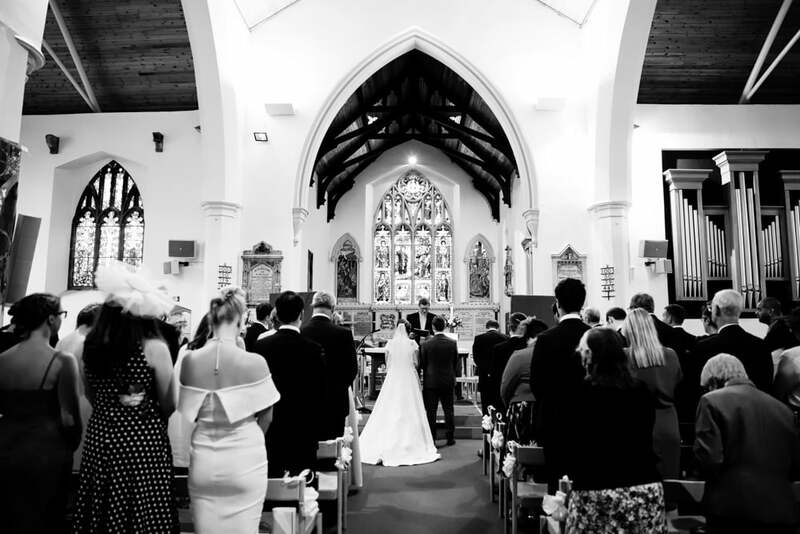 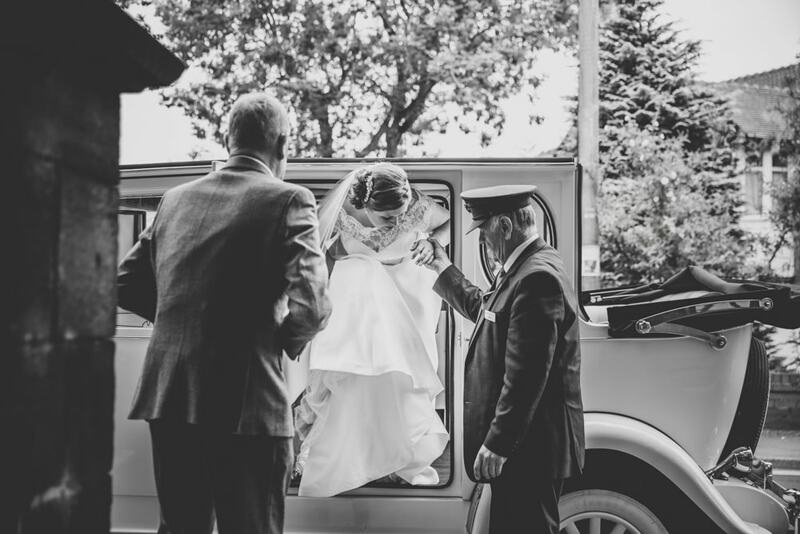 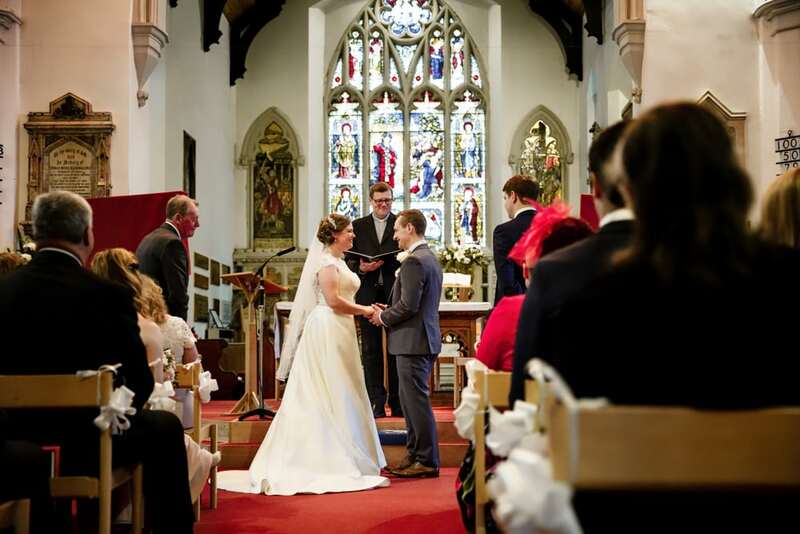 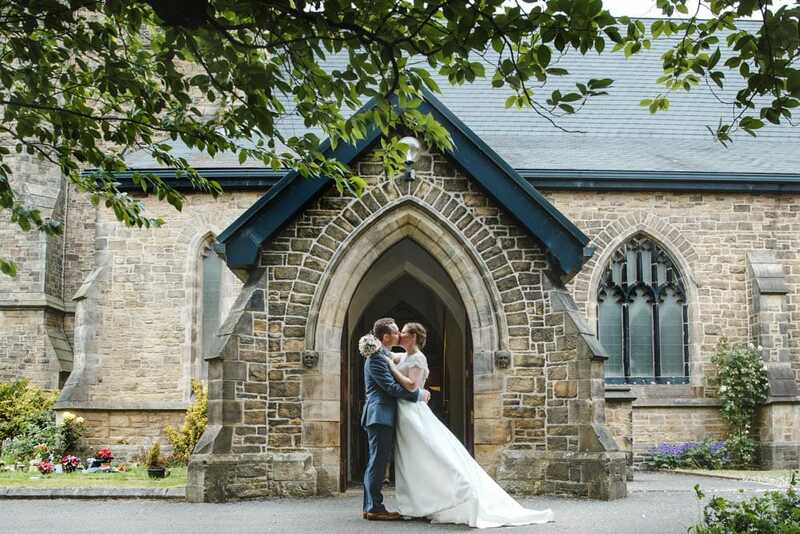 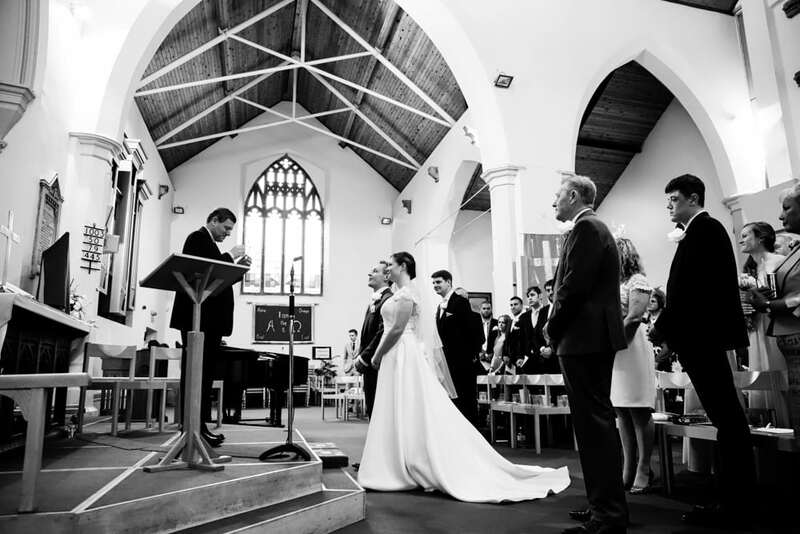 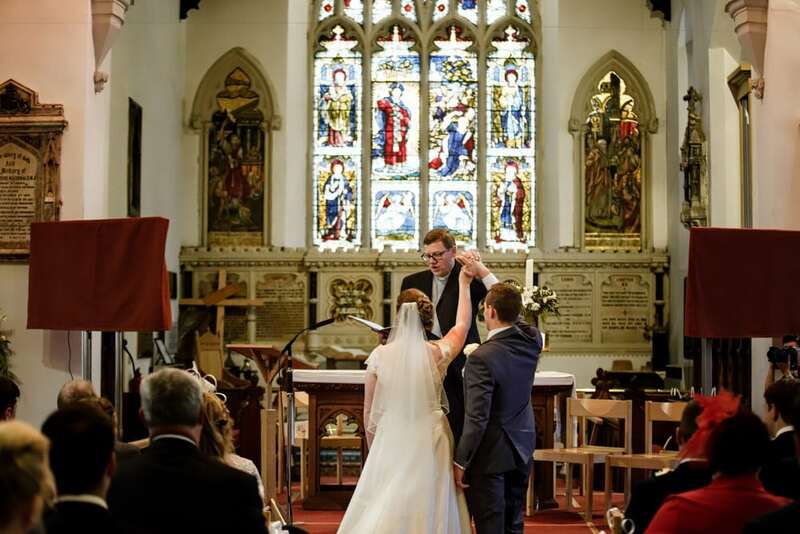 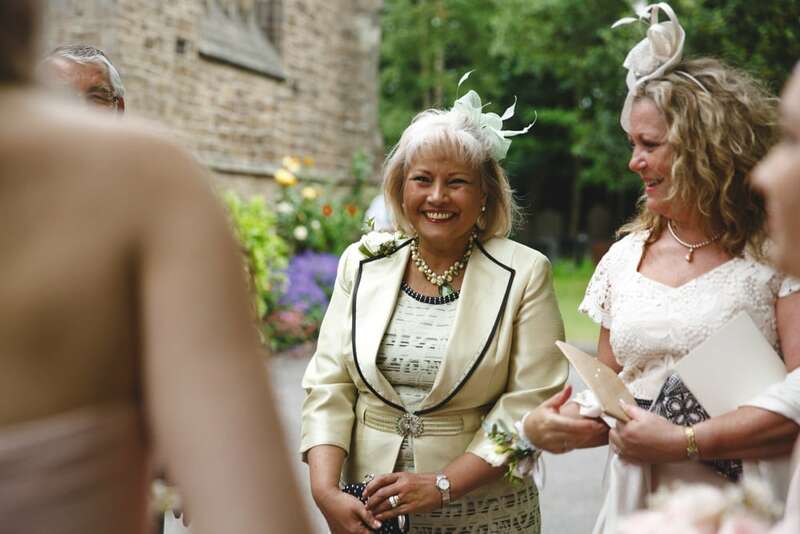 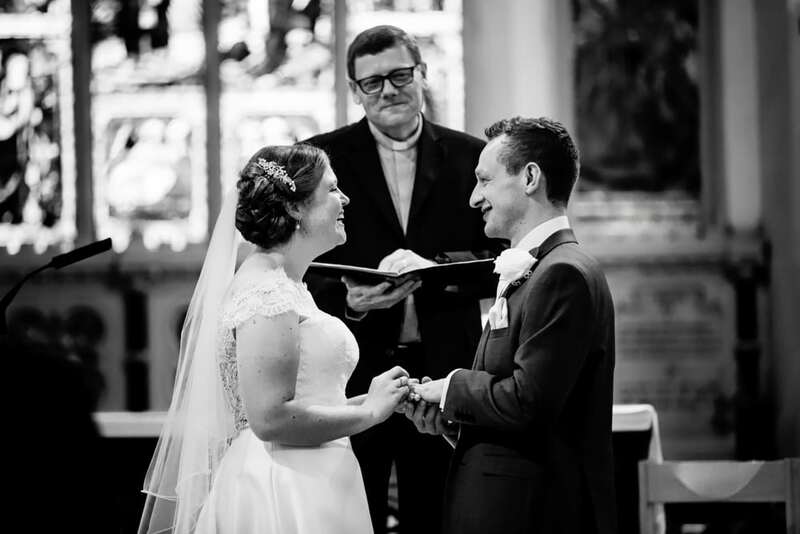 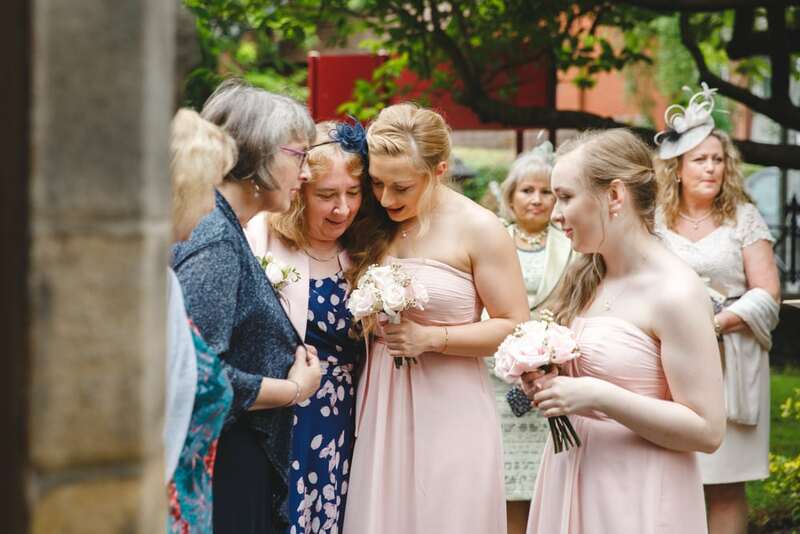 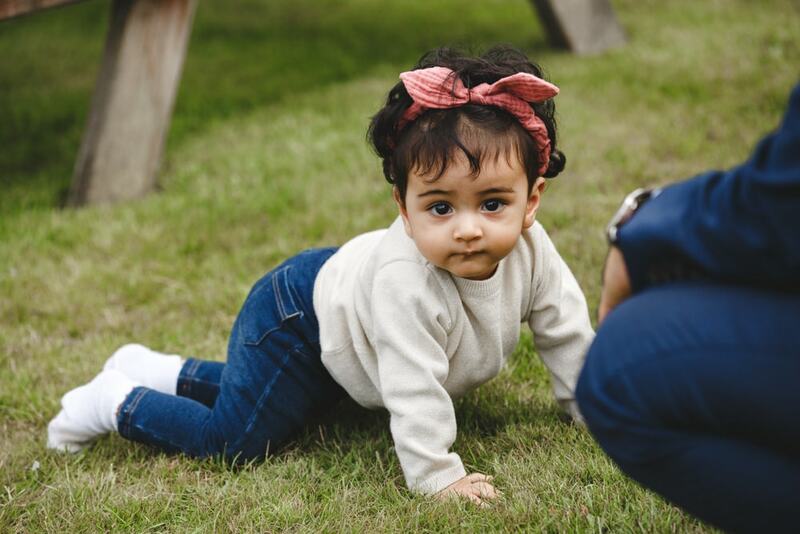 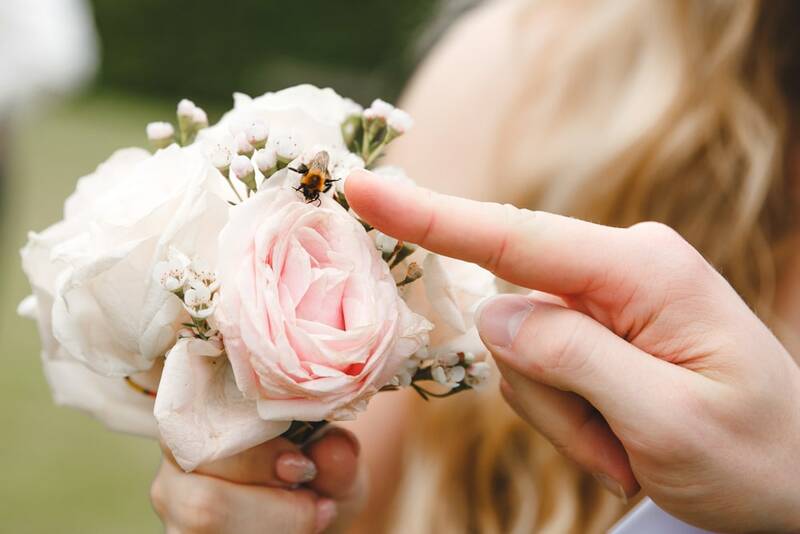 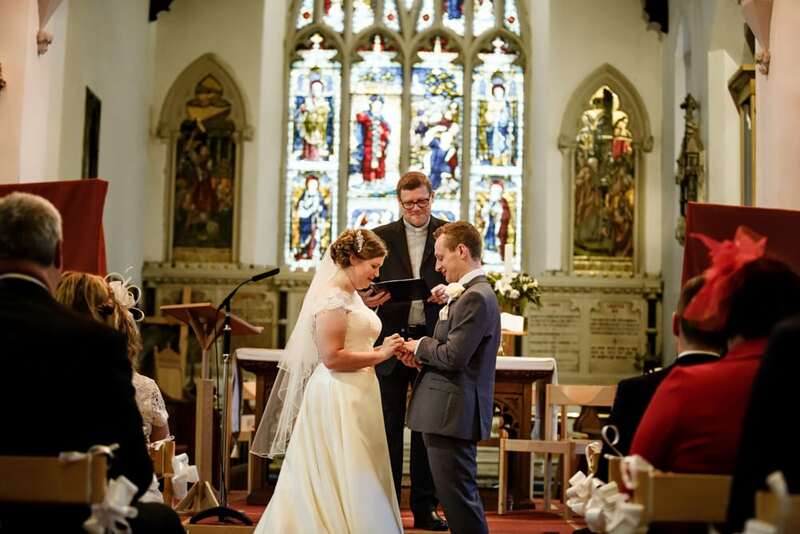 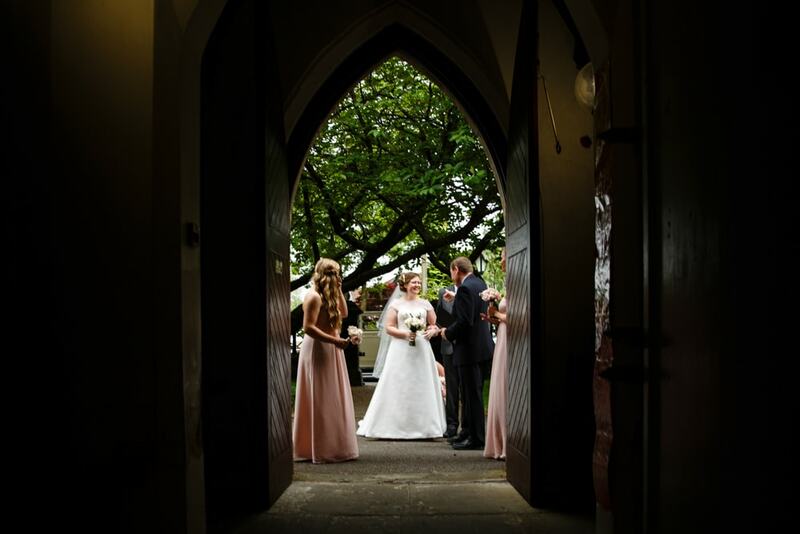 Once Kate and her Dad arrived at their family church it was all systems go, it was such a personal service with their family friend as a vicar, he took the service and invited members of the family to come up and say a prayer for the couple, such a lovely touch. 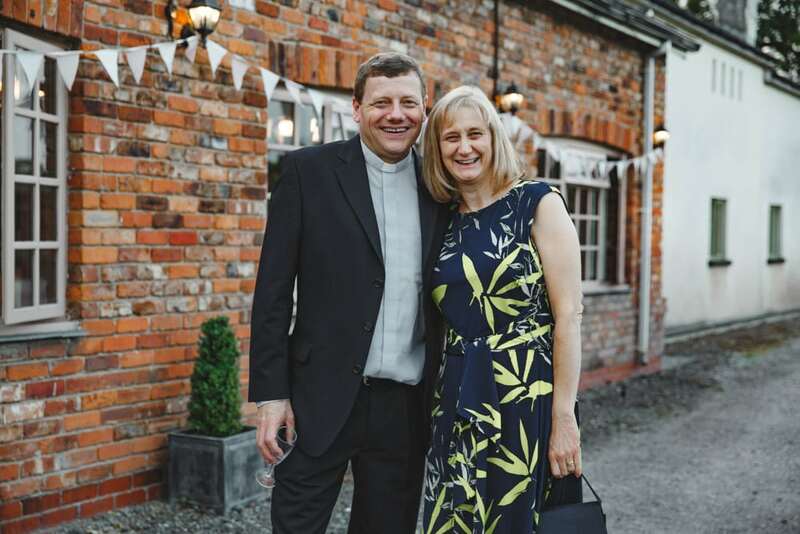 After the service it was afternoon tea and cake served by the congregation, the ladies in the kitchen did a fantastic job of making sure everyone was fed and watered, including us. 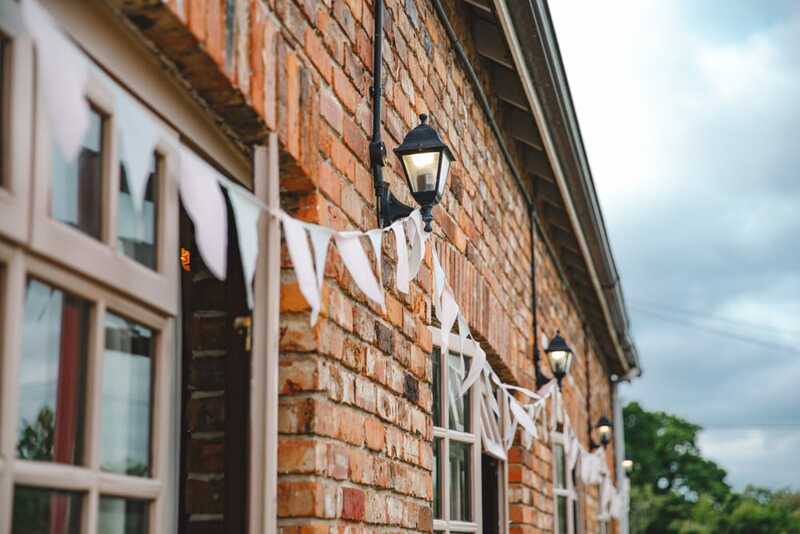 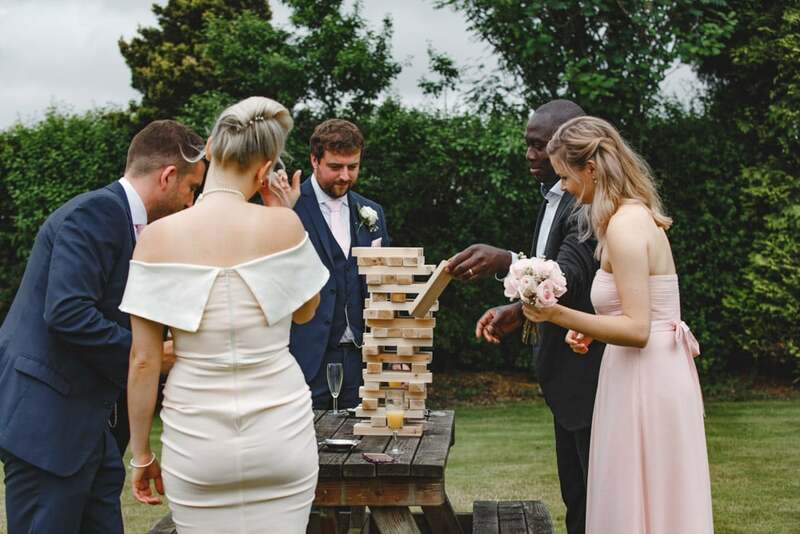 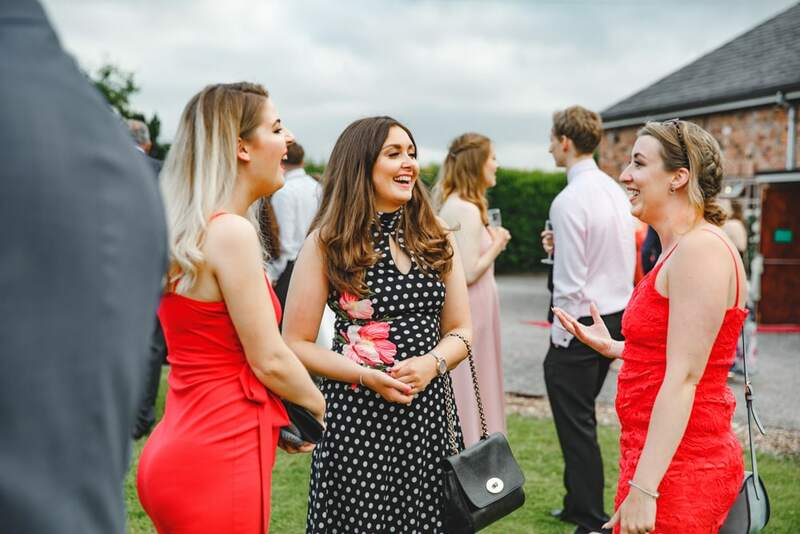 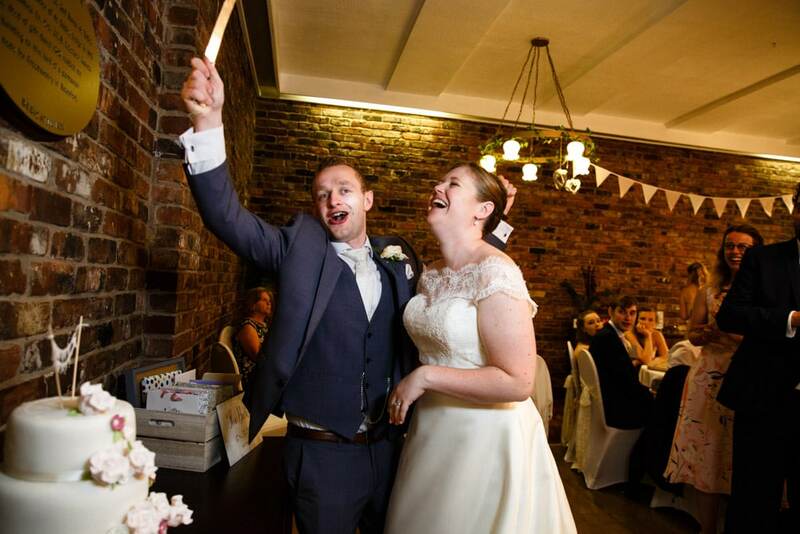 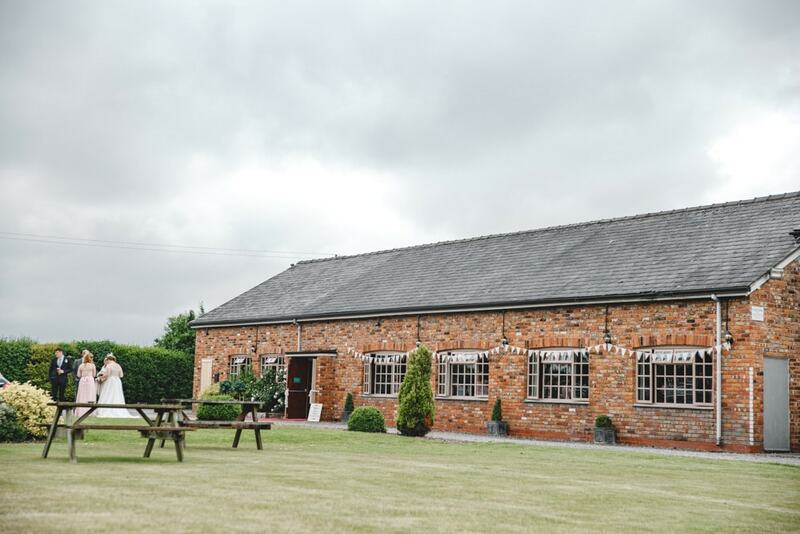 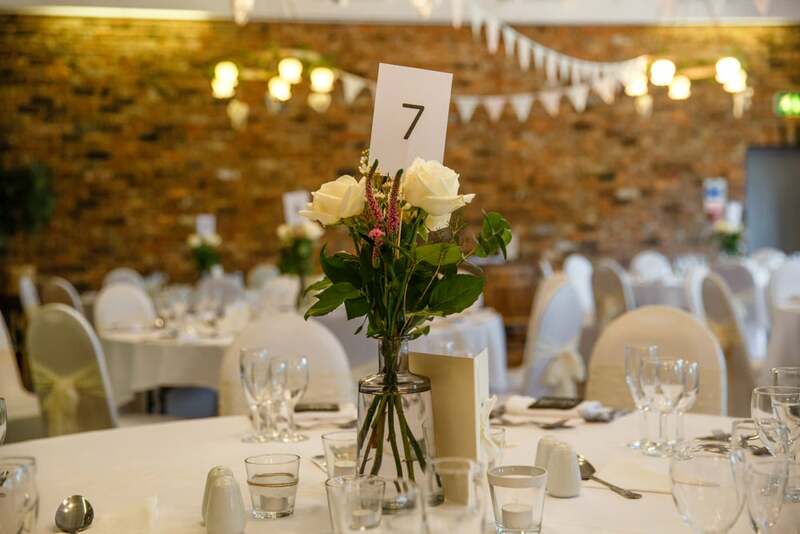 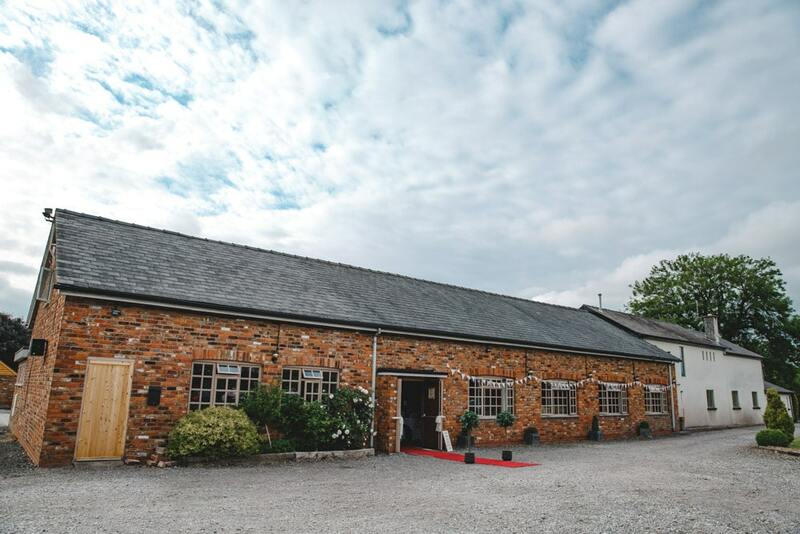 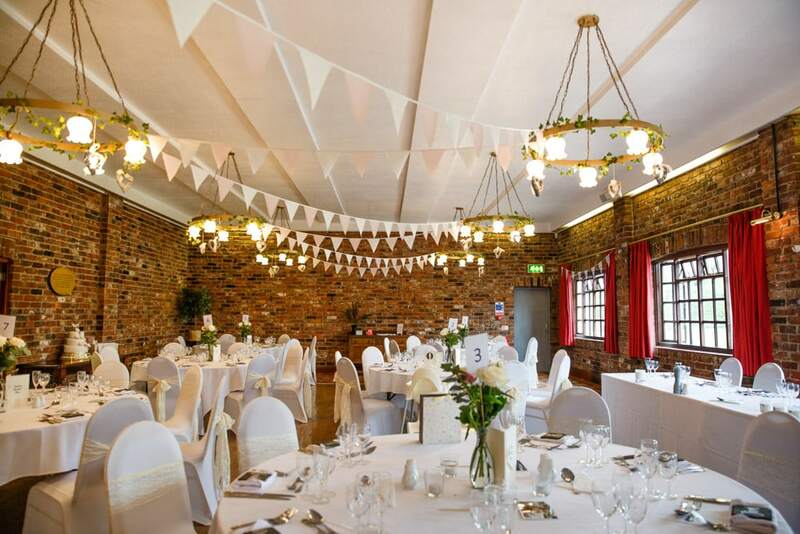 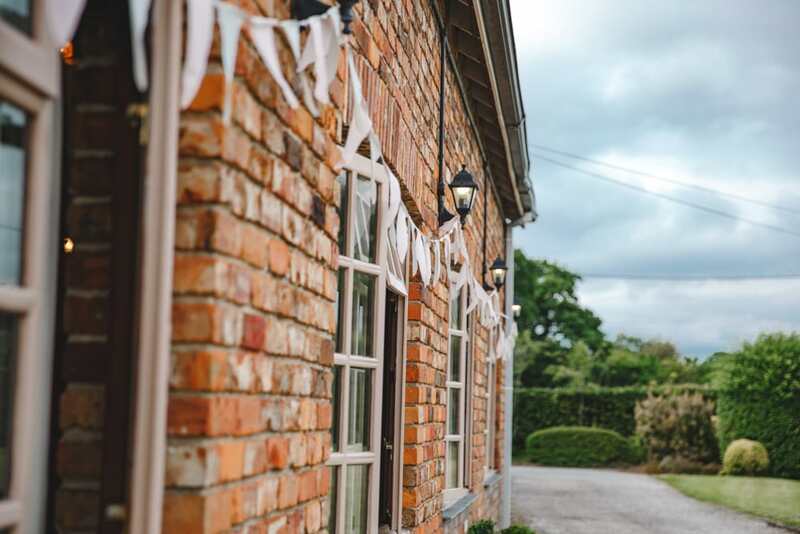 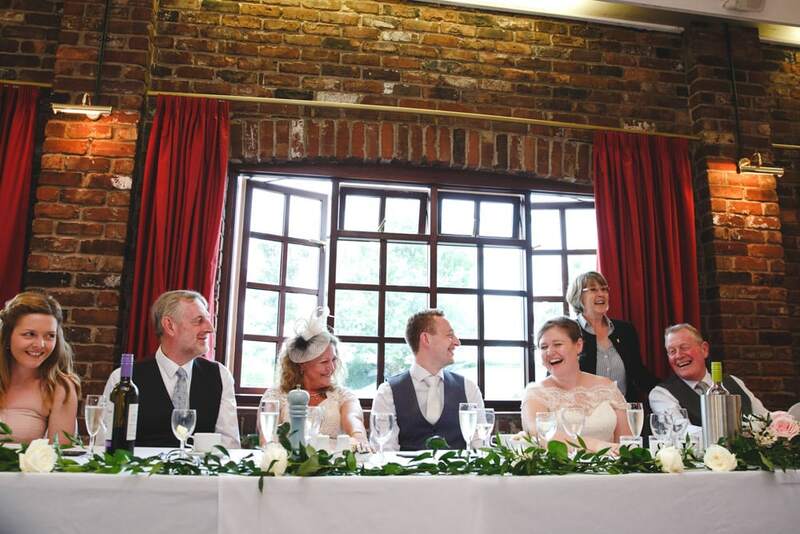 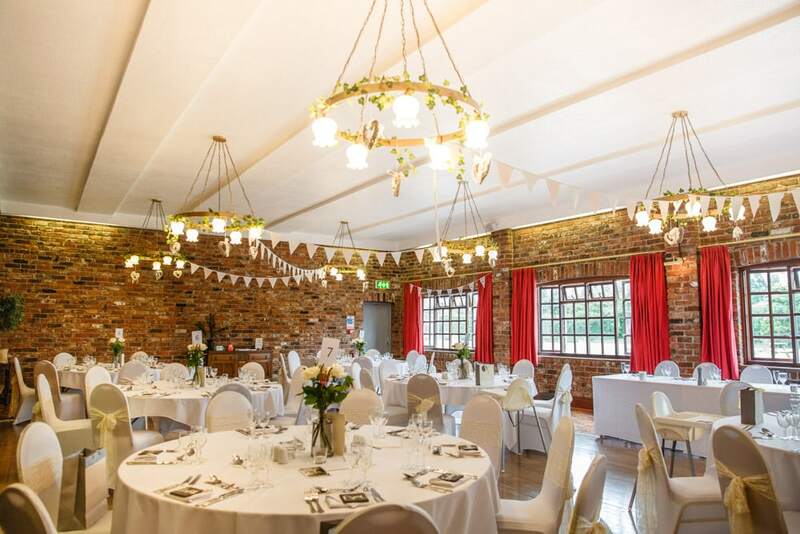 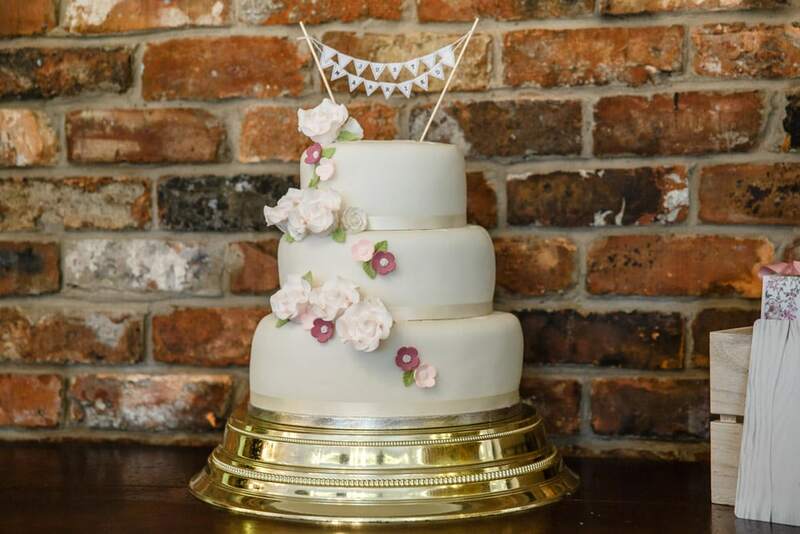 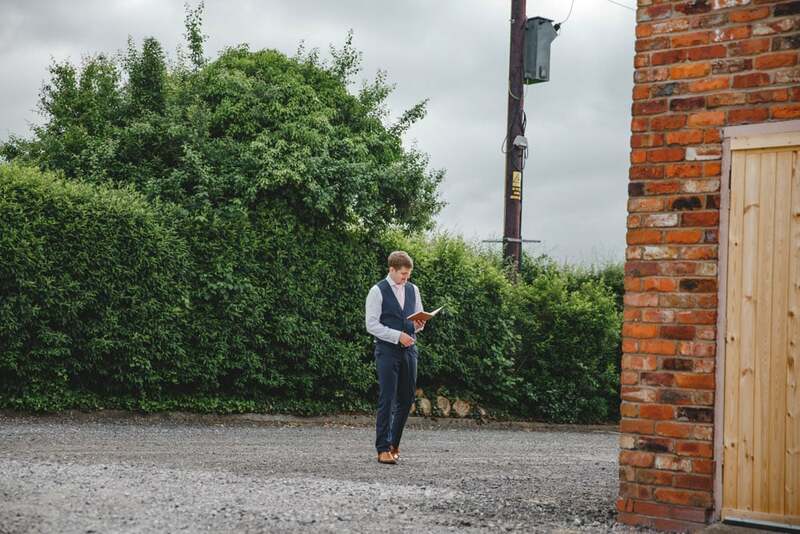 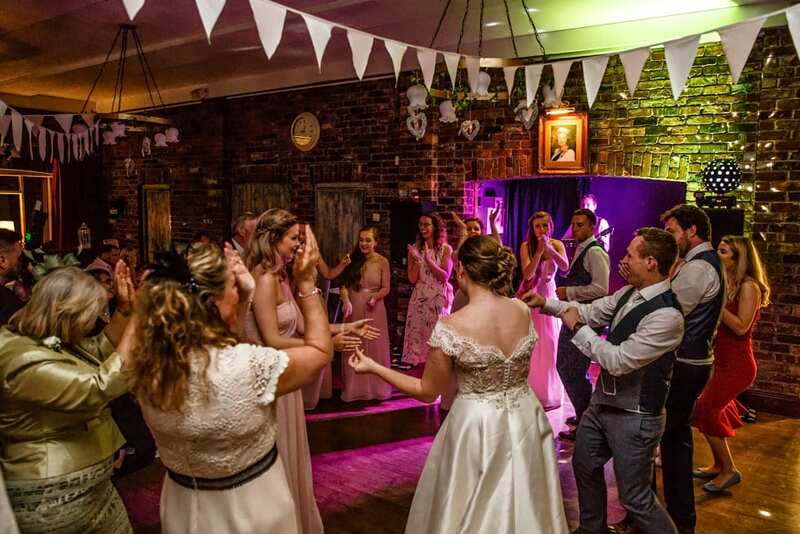 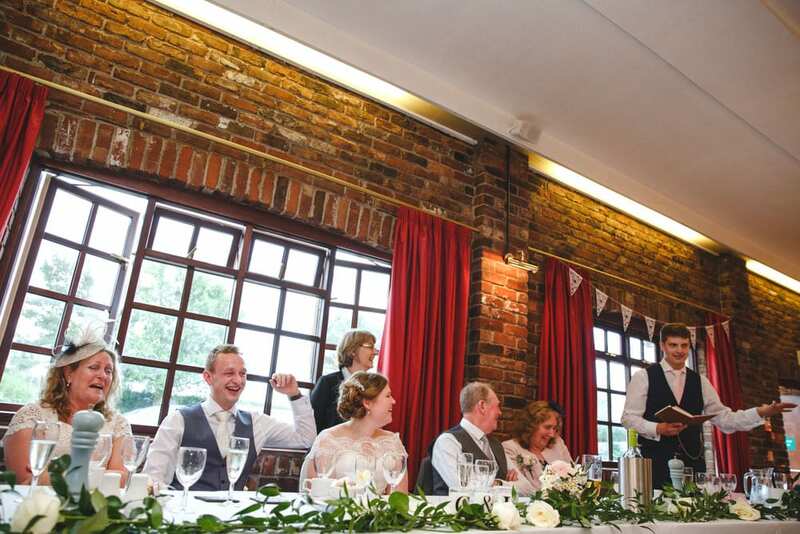 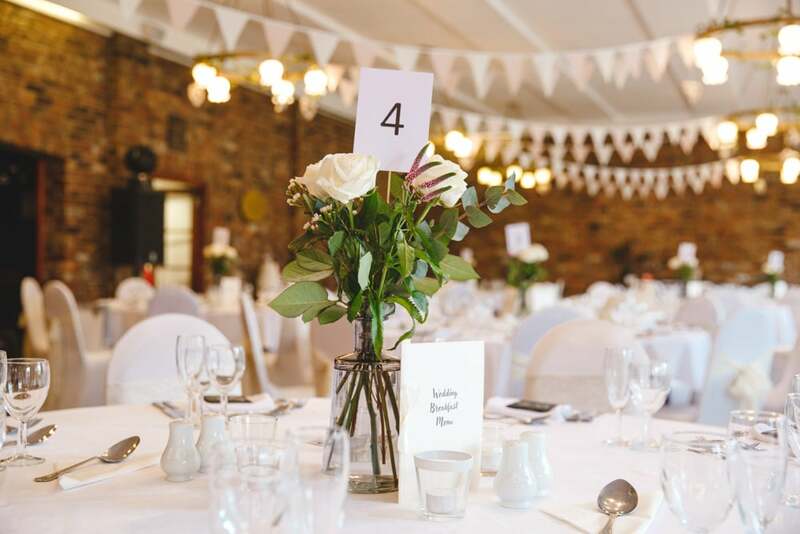 Onto Leicester Warren Hall Weddings in Knutsford where the reception as taking place, this cute barn-style building is perfect for a wedding reception or event. 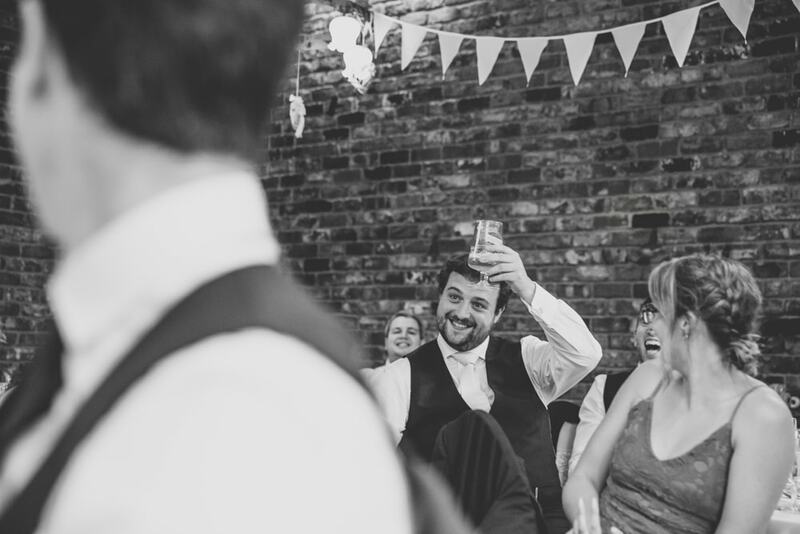 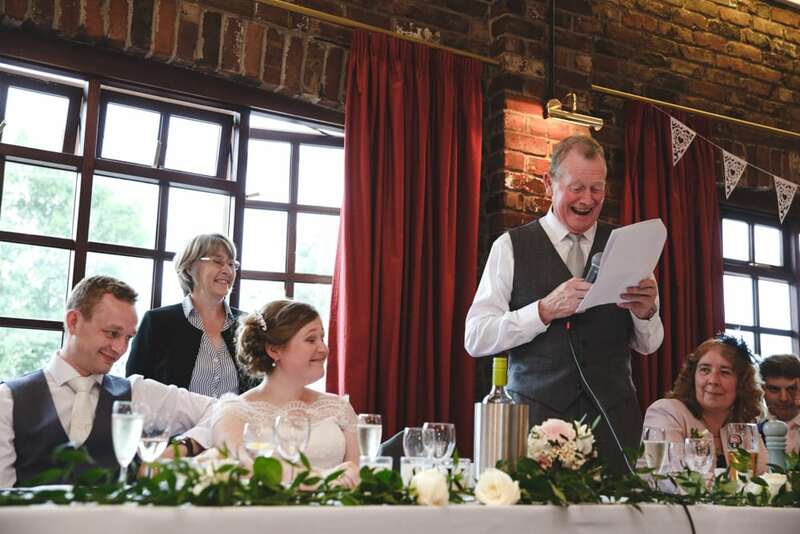 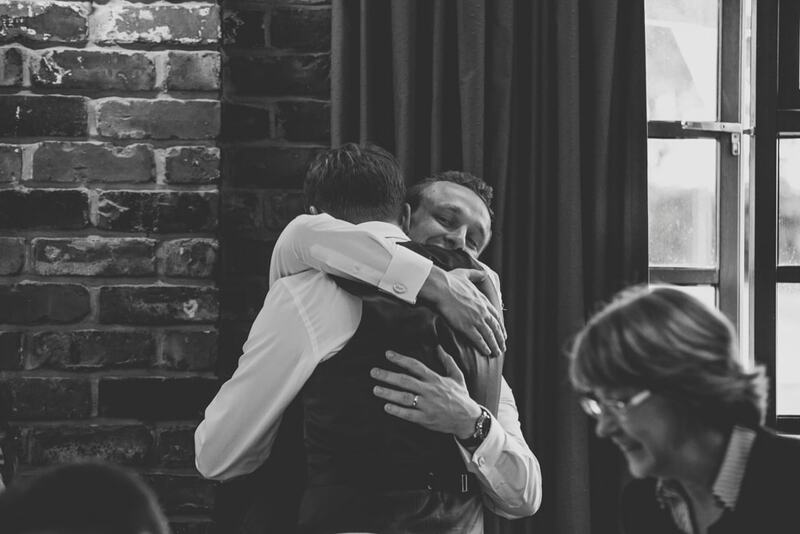 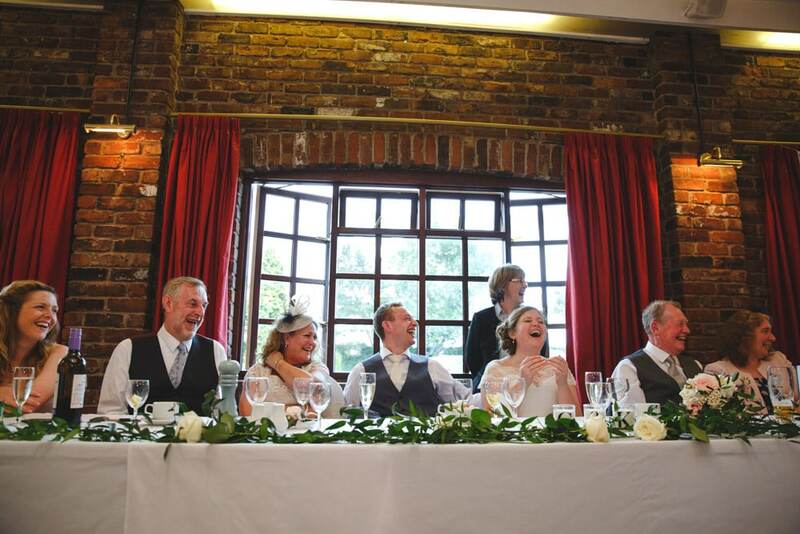 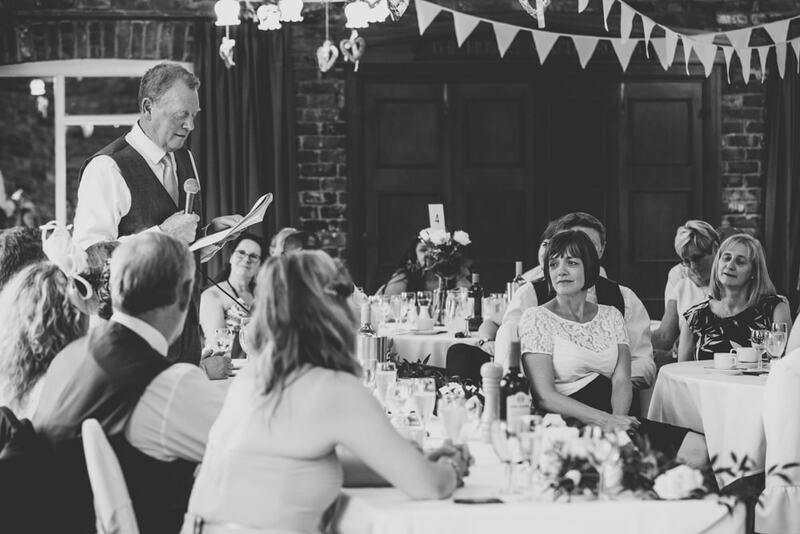 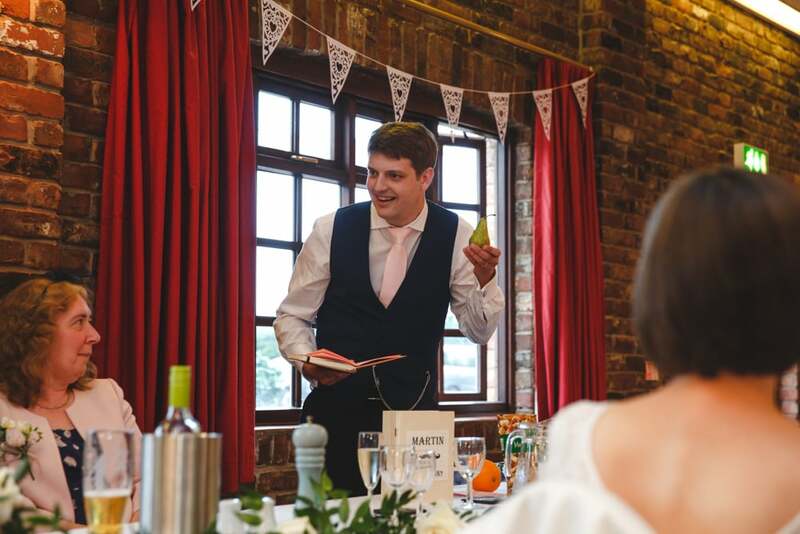 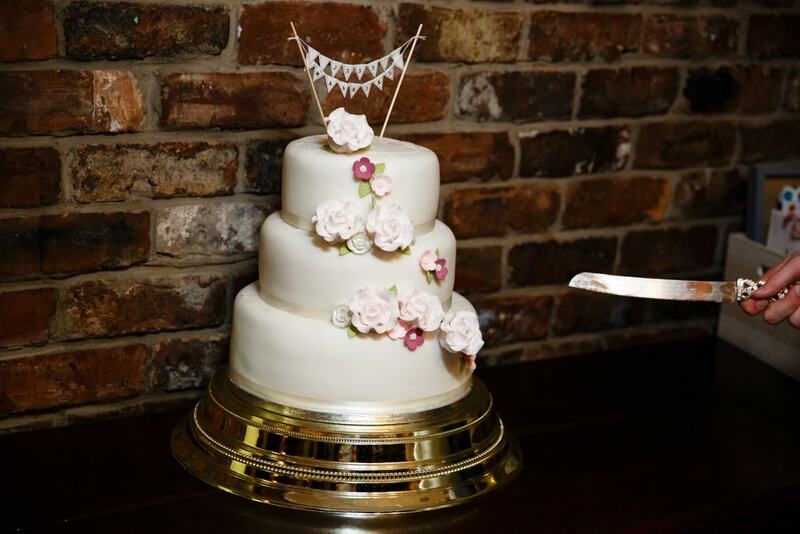 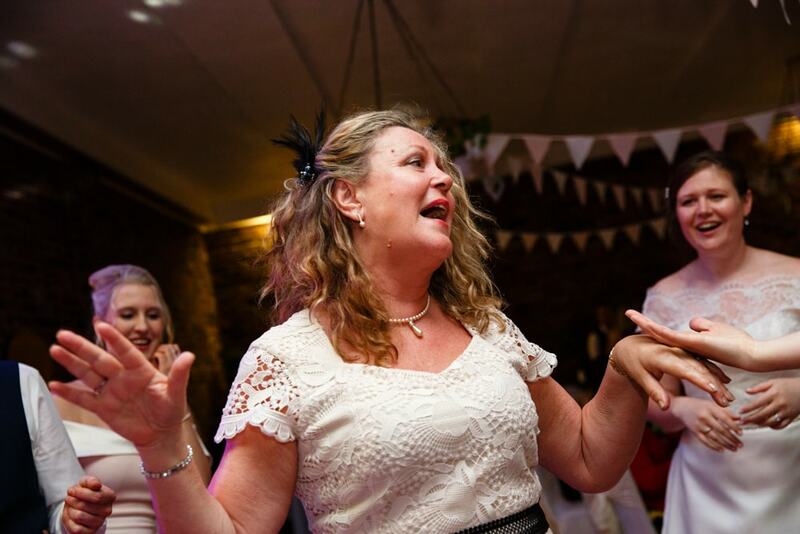 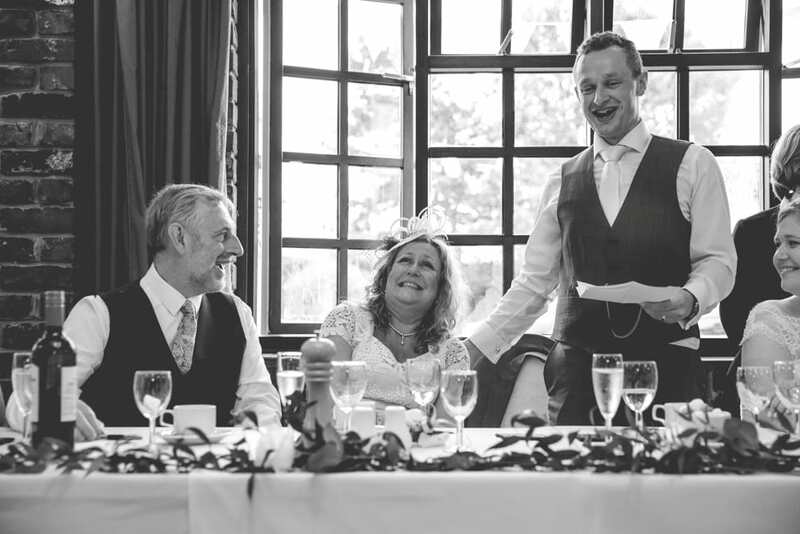 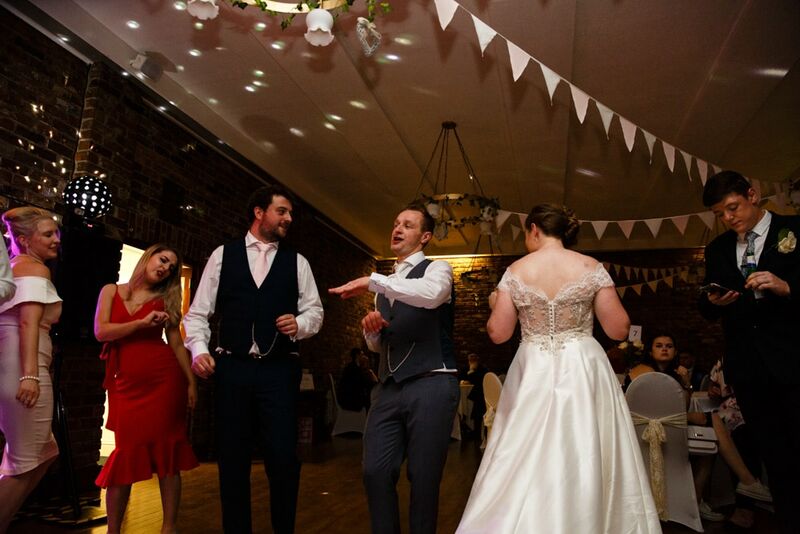 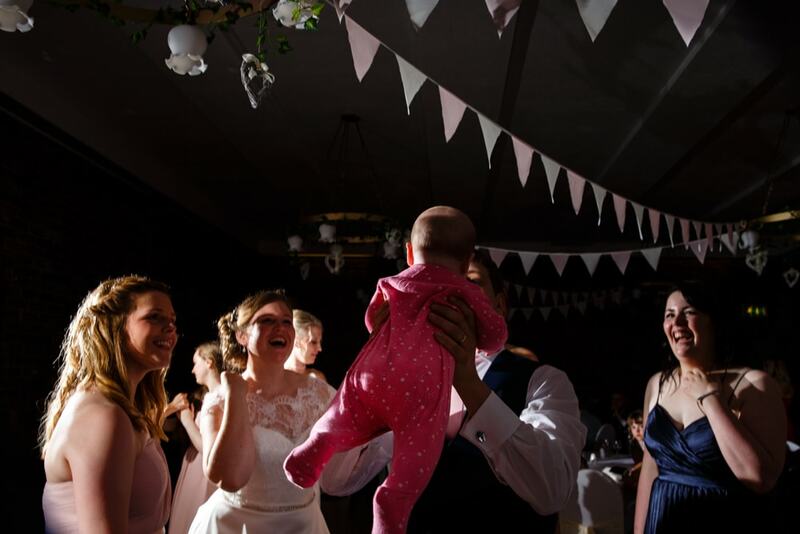 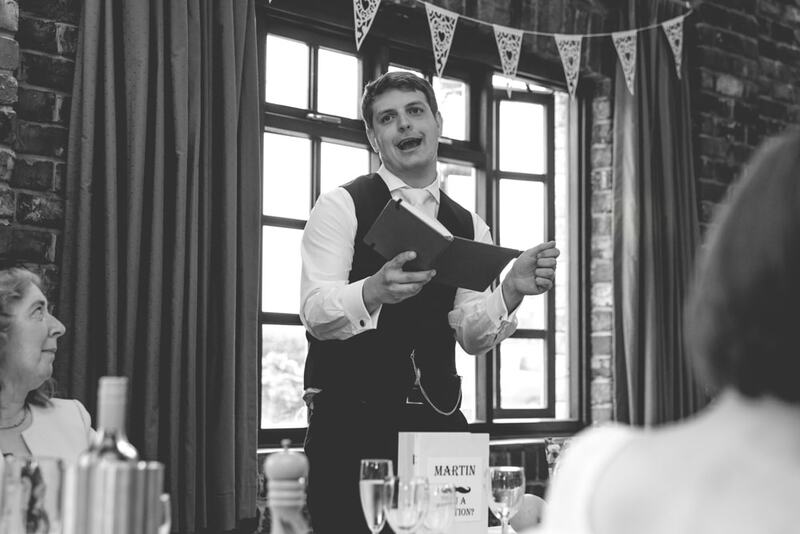 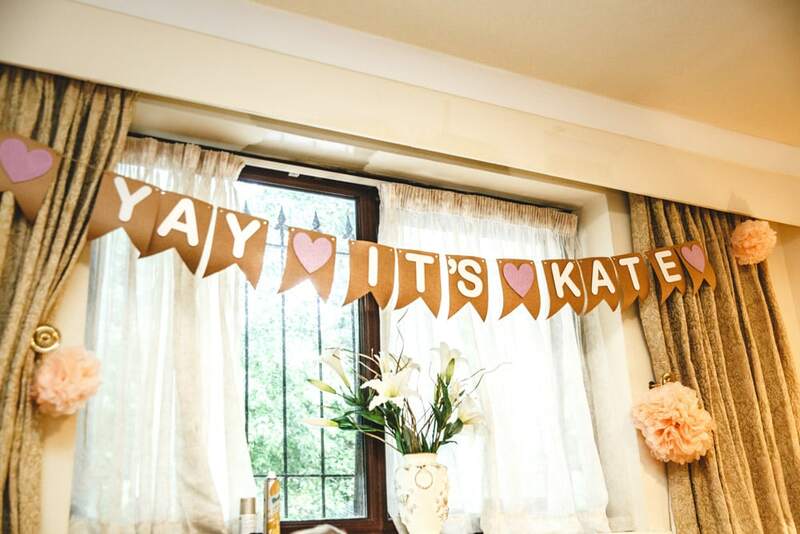 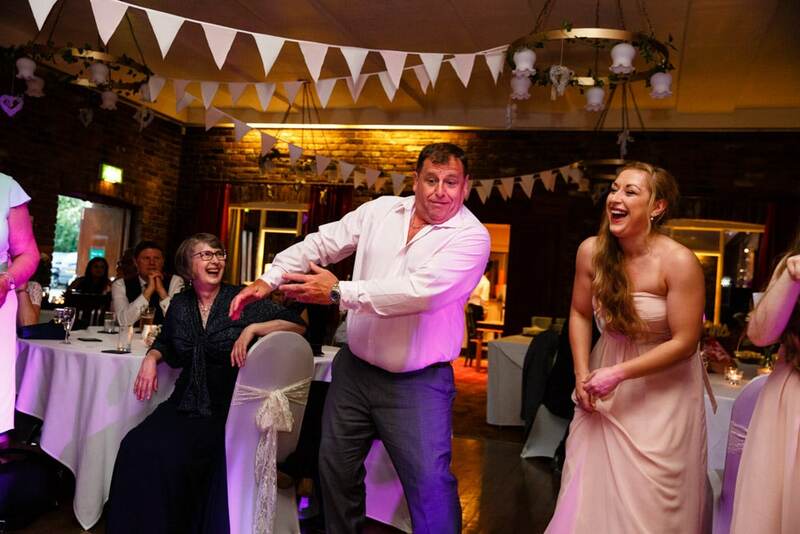 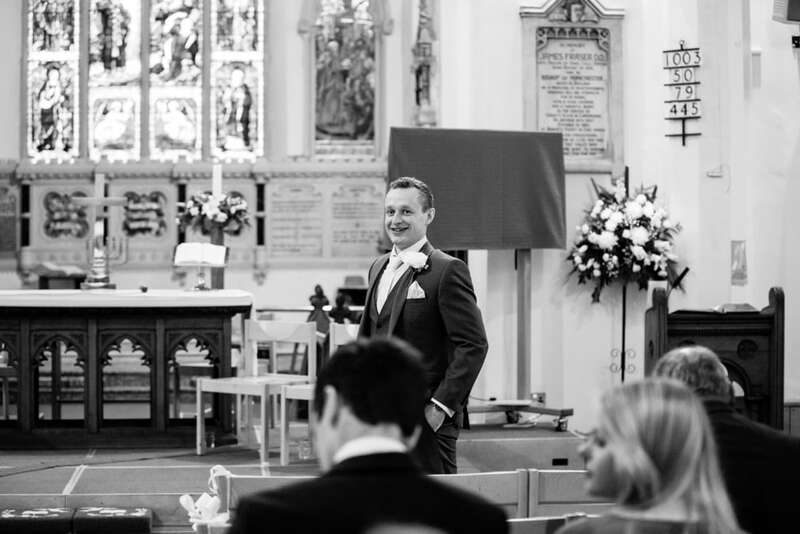 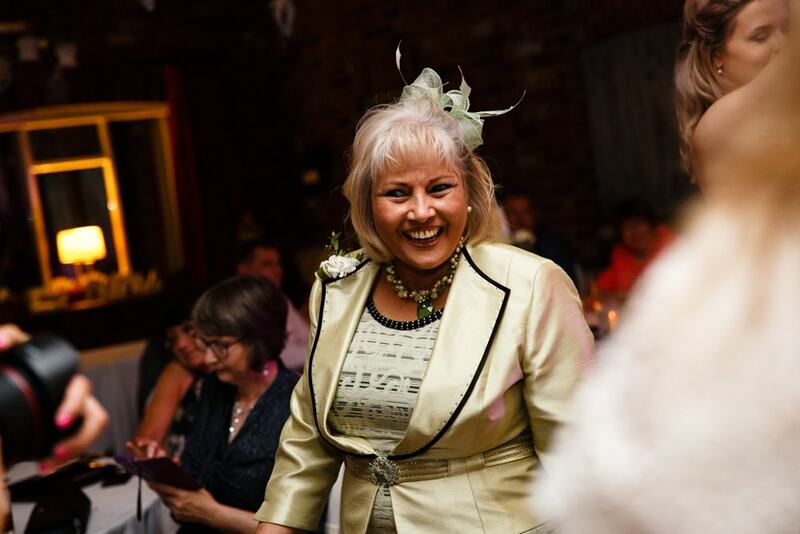 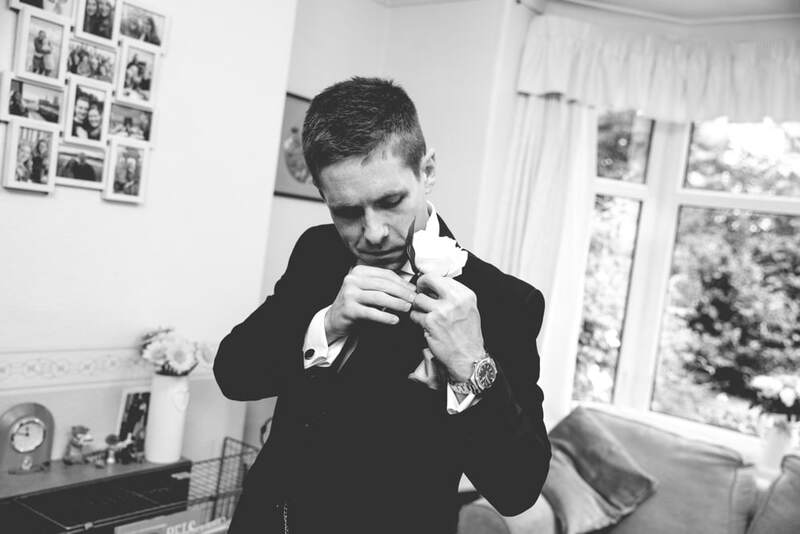 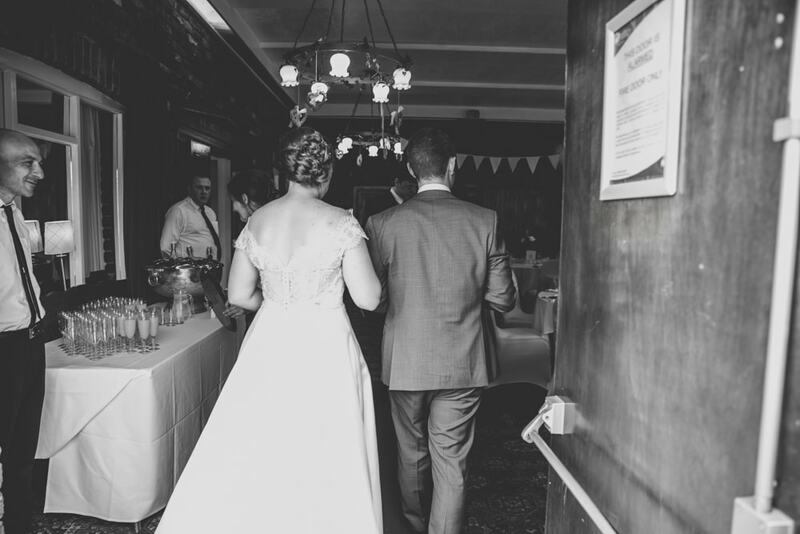 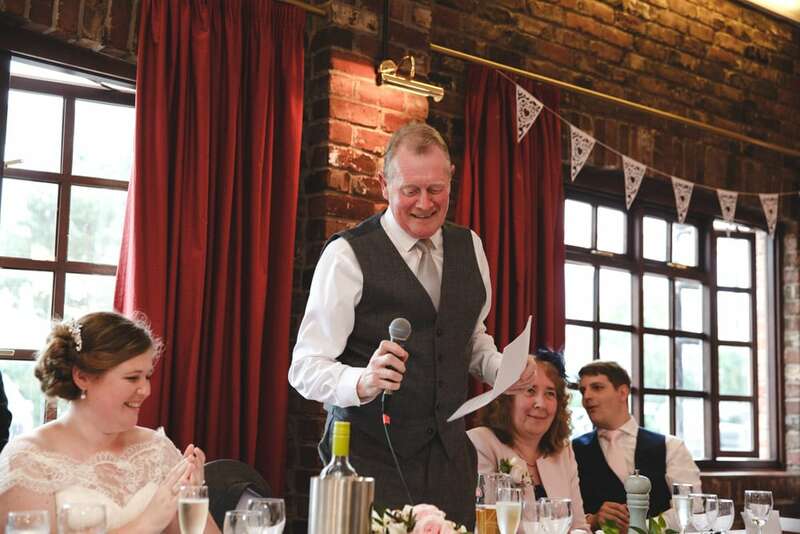 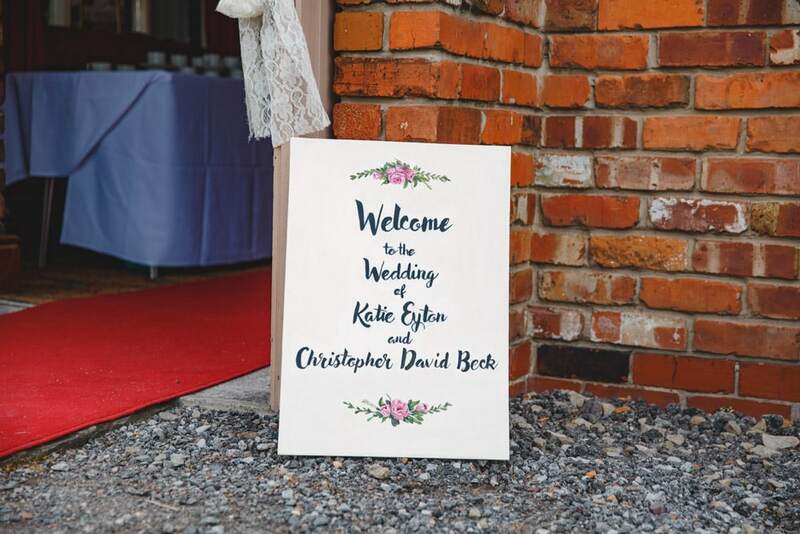 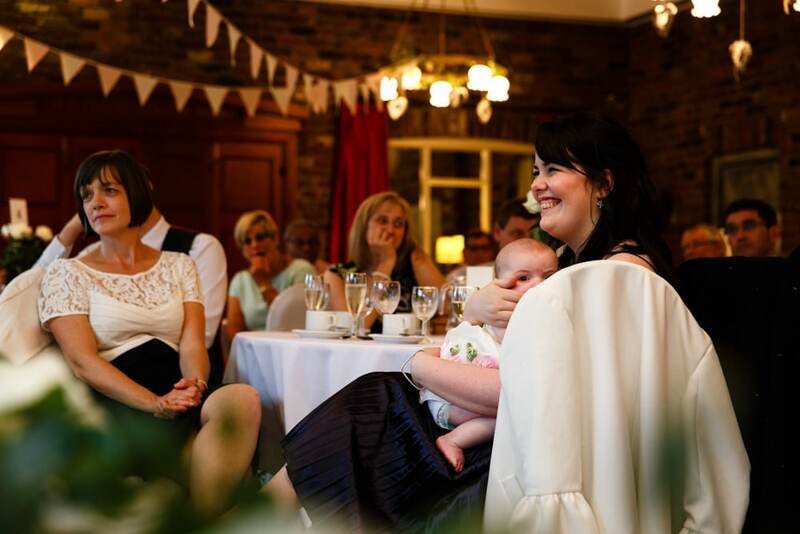 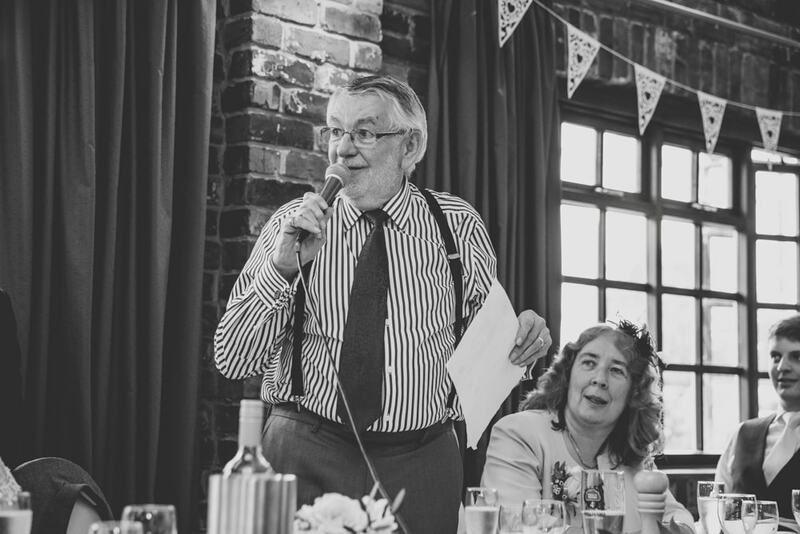 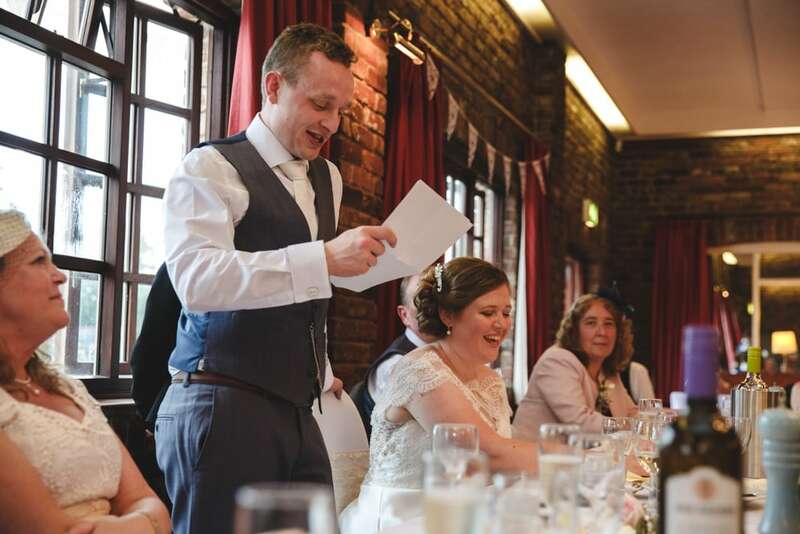 Kate + Chris entered the room to a huge round of applause and we have to say that the best man’s speech was one of the best we’d heard for a while….hat’s off….perfection. 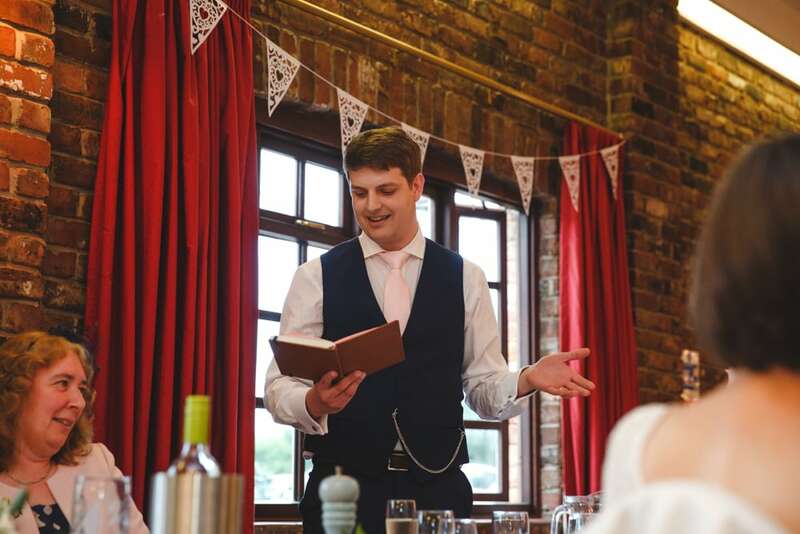 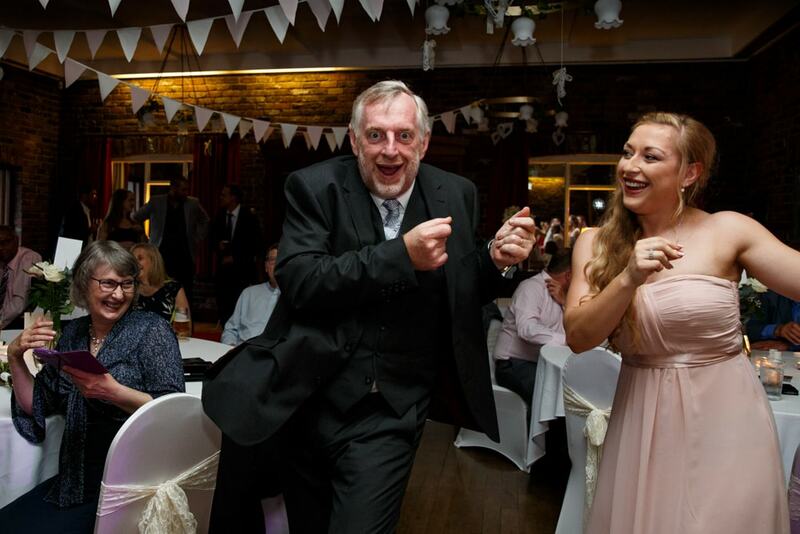 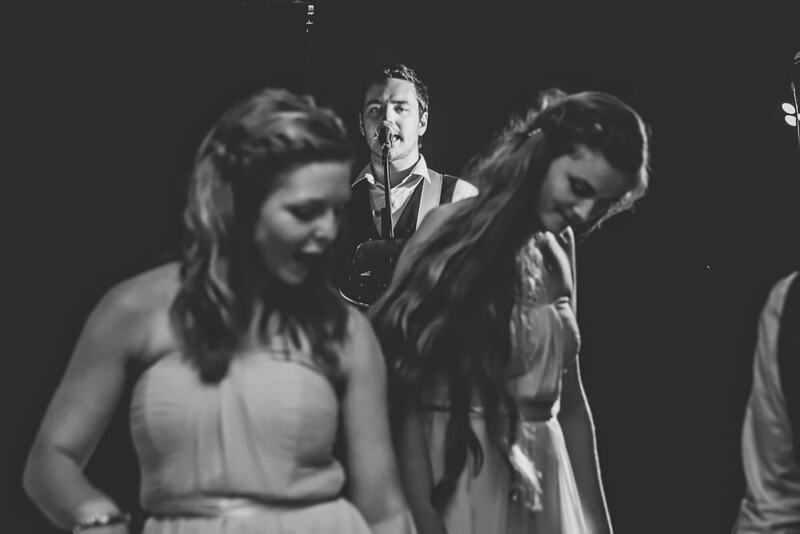 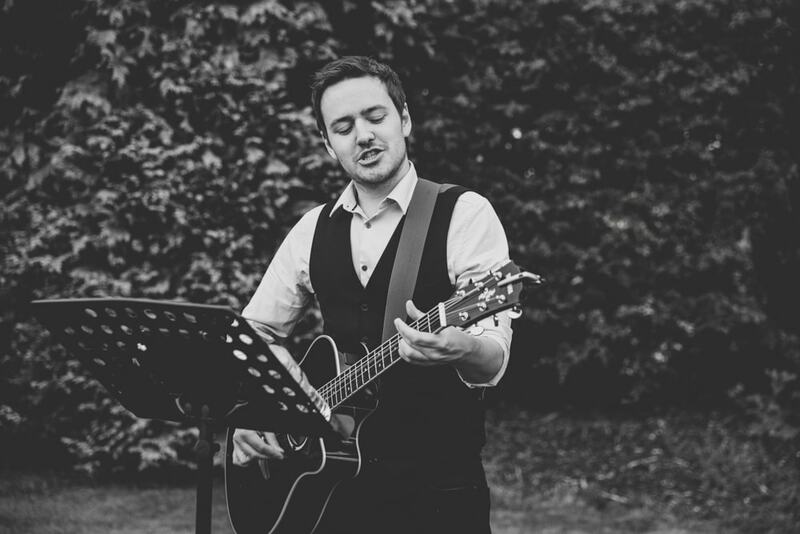 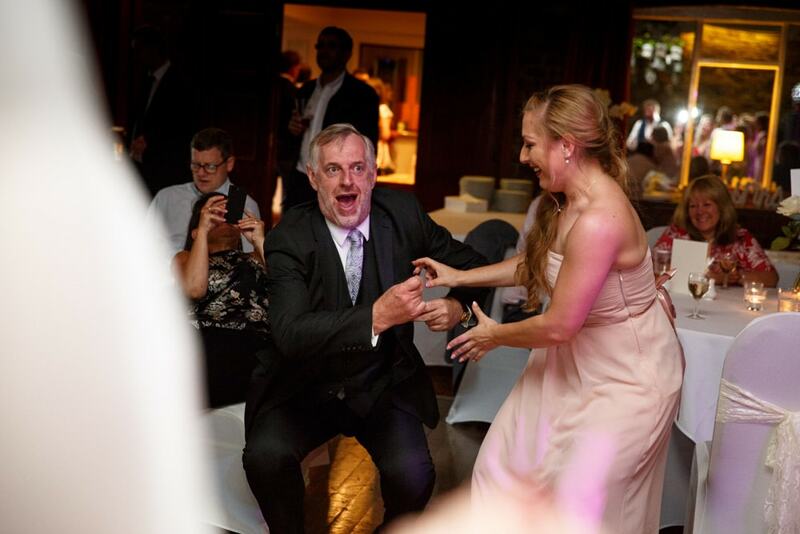 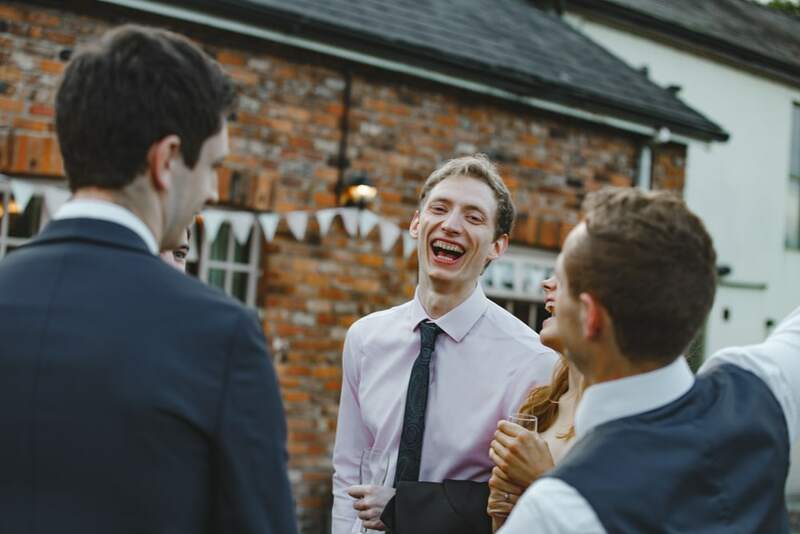 Onto the end of the night with Joe Bailey Wedding Singer, who sang their 1st dance beautifully and entertained not only during the drinks reception but the evening and was DJ between sets, he’s a really lovely voice and a great guy too, so we’d highly recommend. 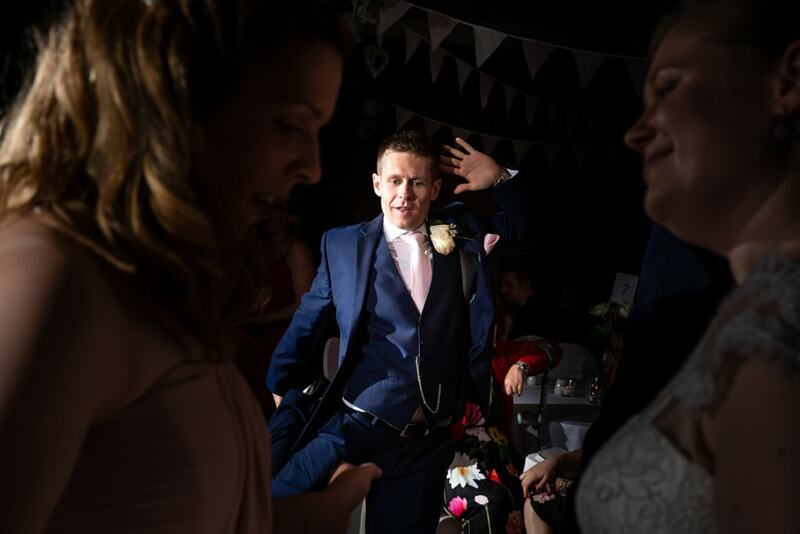 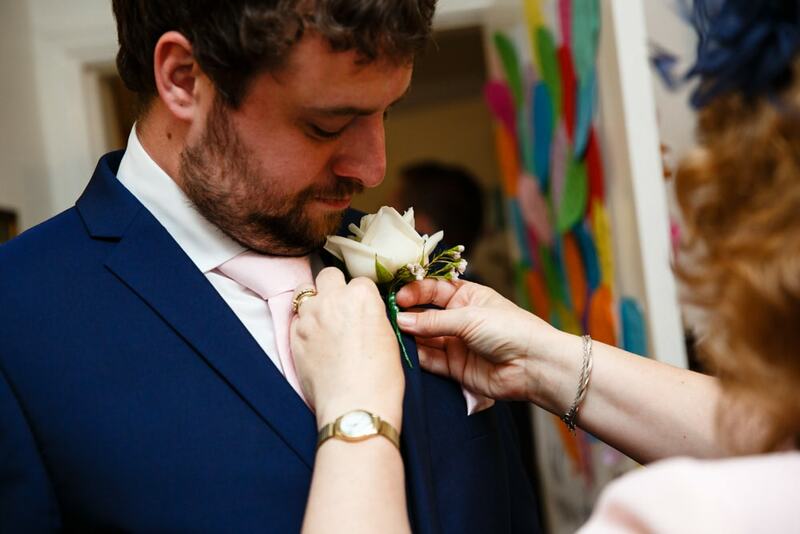 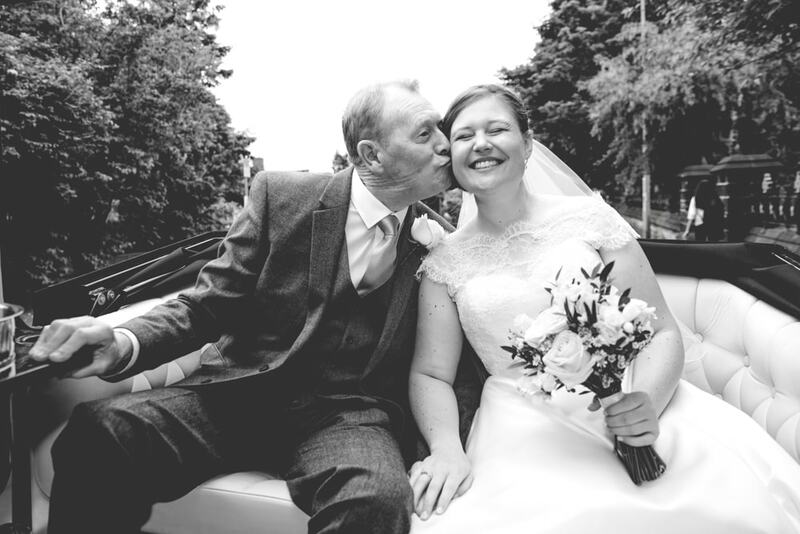 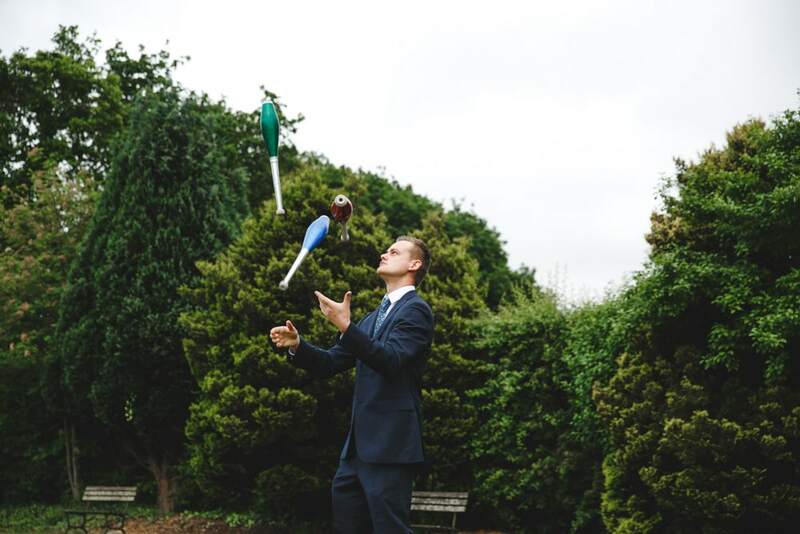 We absolutely loved this wedding and had such a great time, thanks to Kate + Chris for trusting us to capture your big day and we can’t wait to meet up again soon.